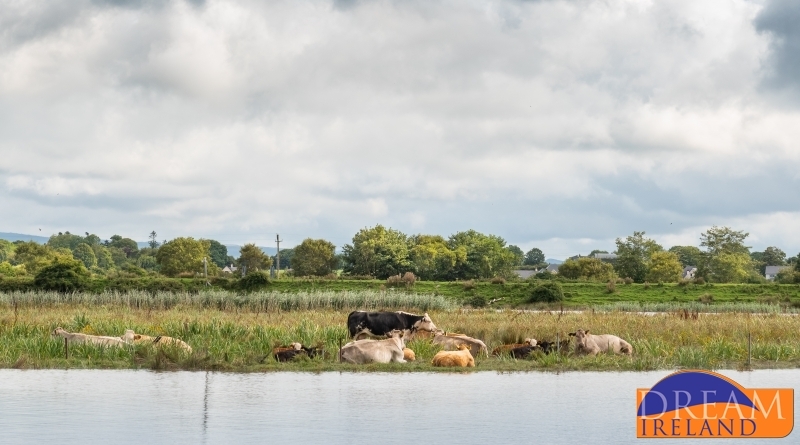 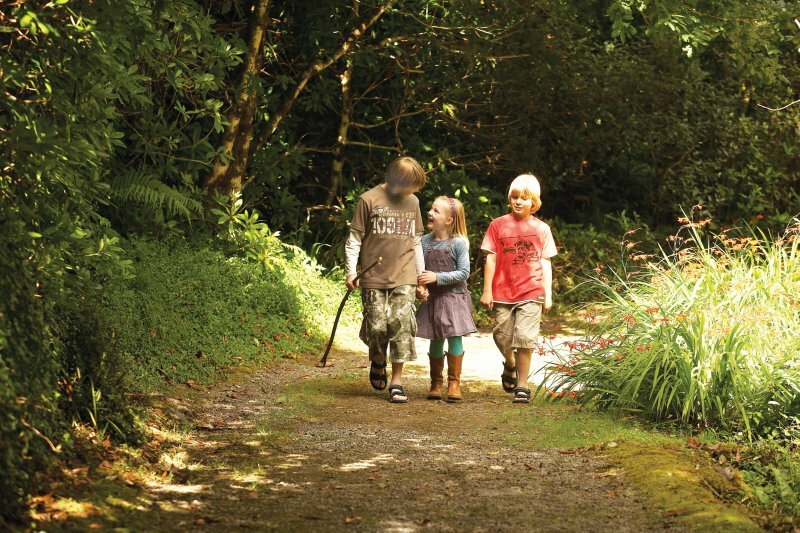 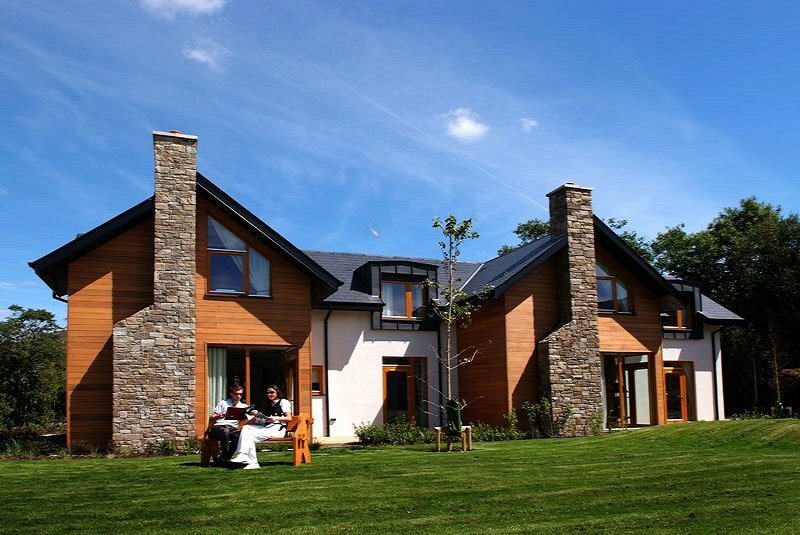 Dream Ireland Holiday Homes have a host of elegant Irish homes on private grounds consisting of native woodlands and meadows offering truly unique and breath-taking views with total tranquility. 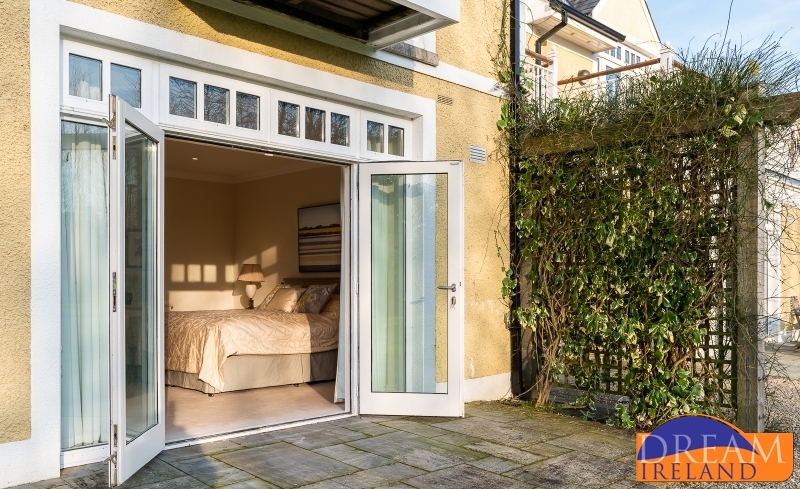 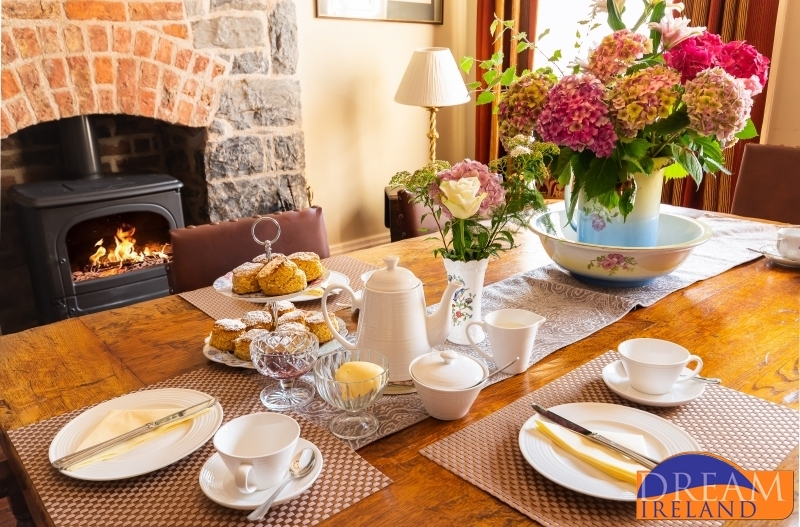 We provide the best luxury self catering Ireland has to offer in some of the most sought-after destinations throughout the country. 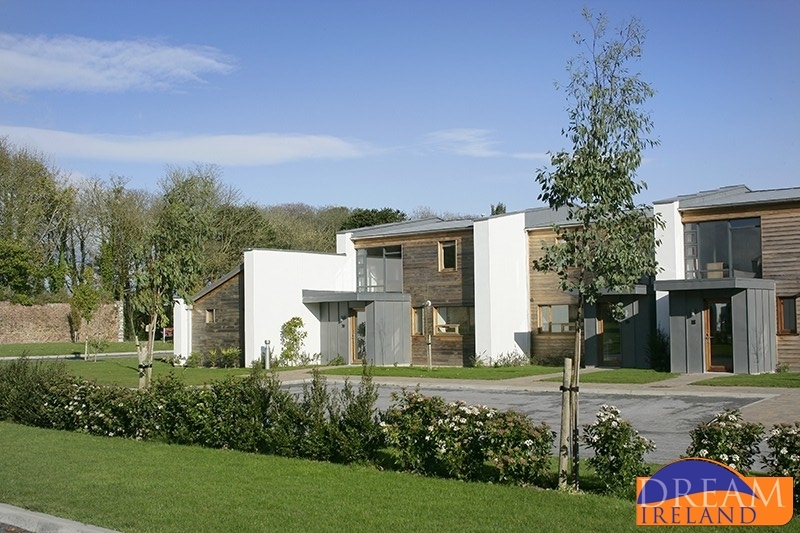 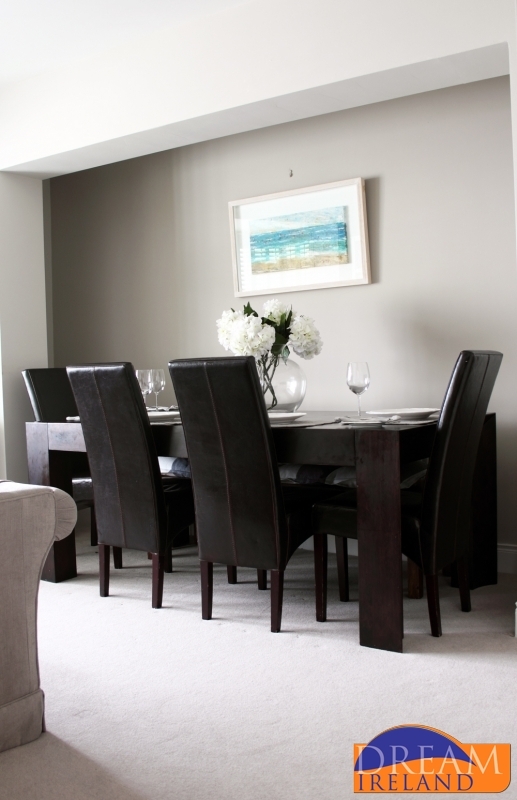 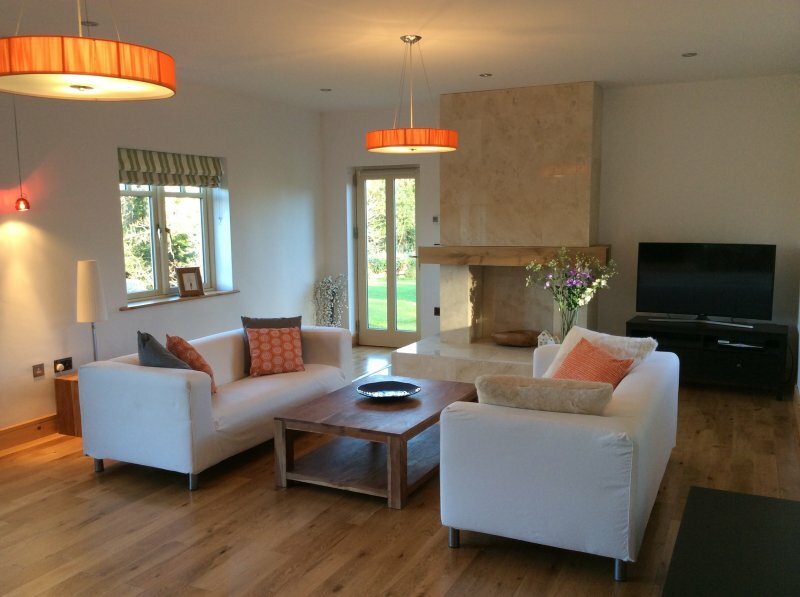 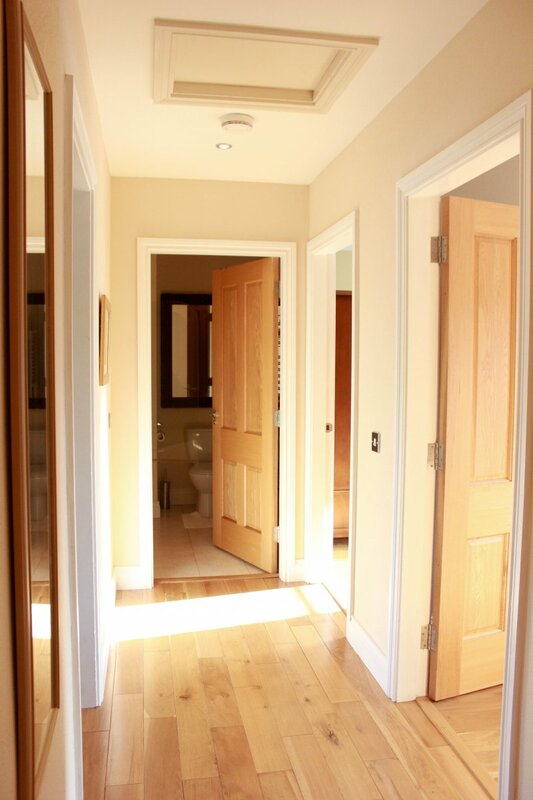 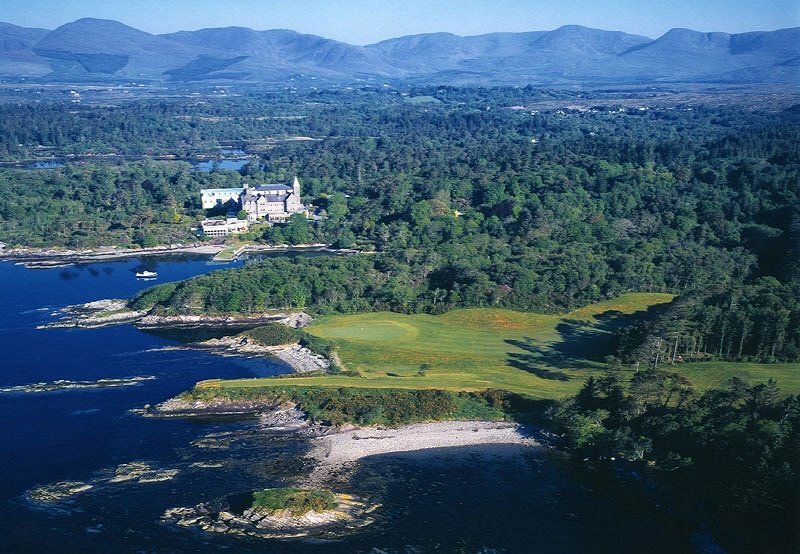 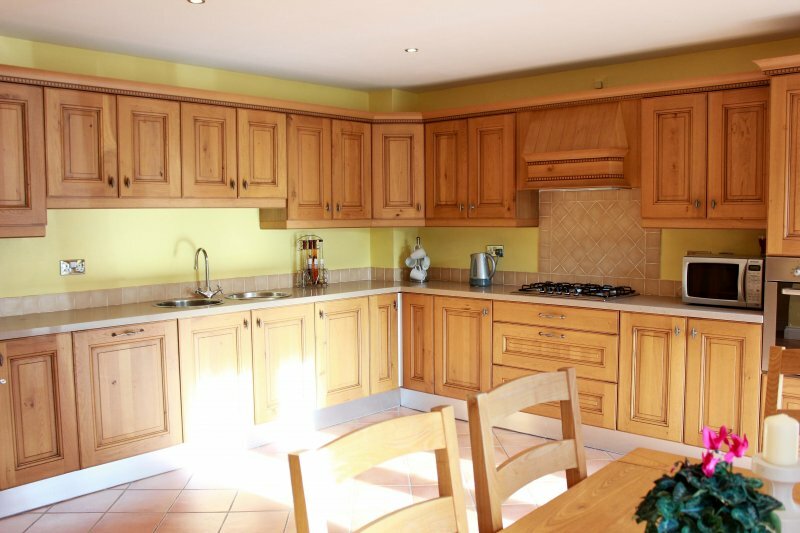 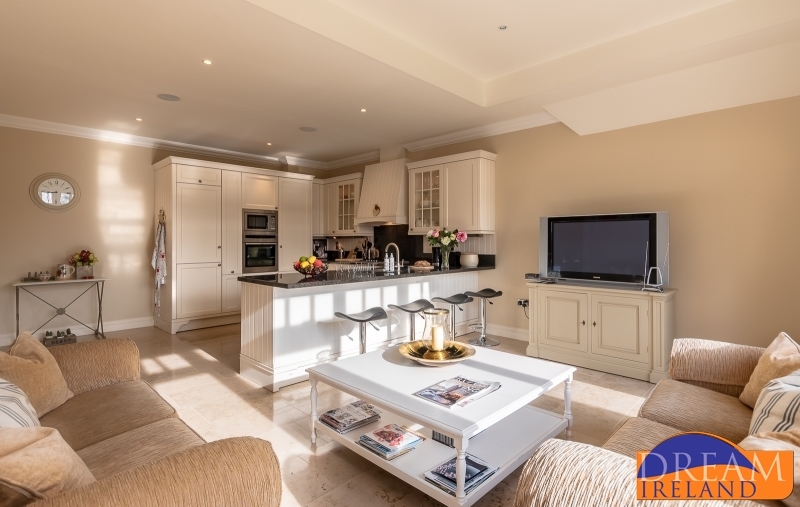 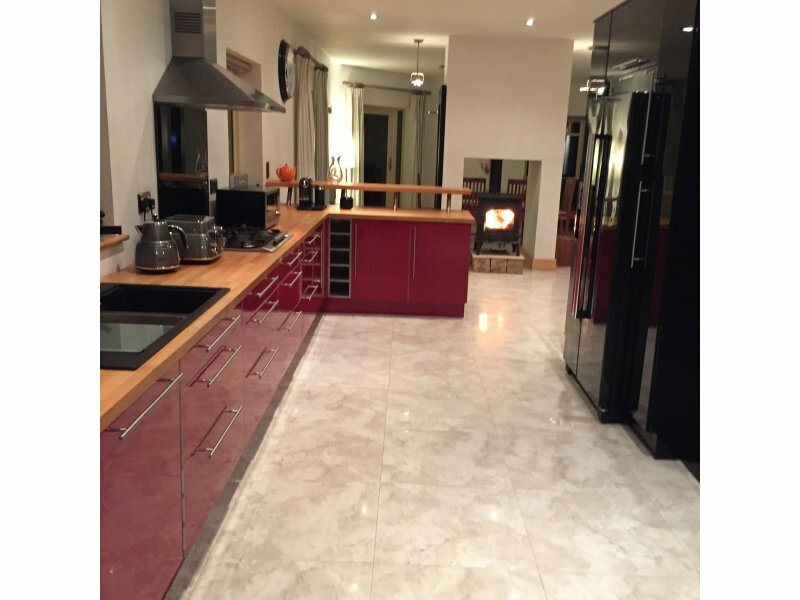 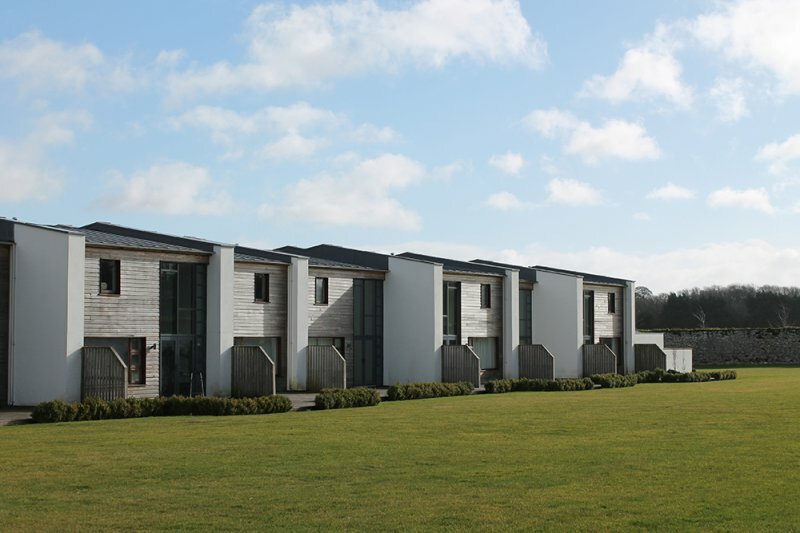 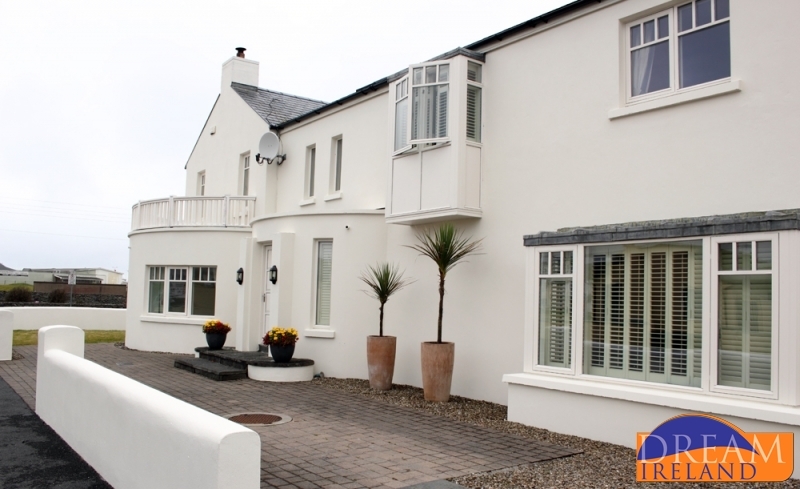 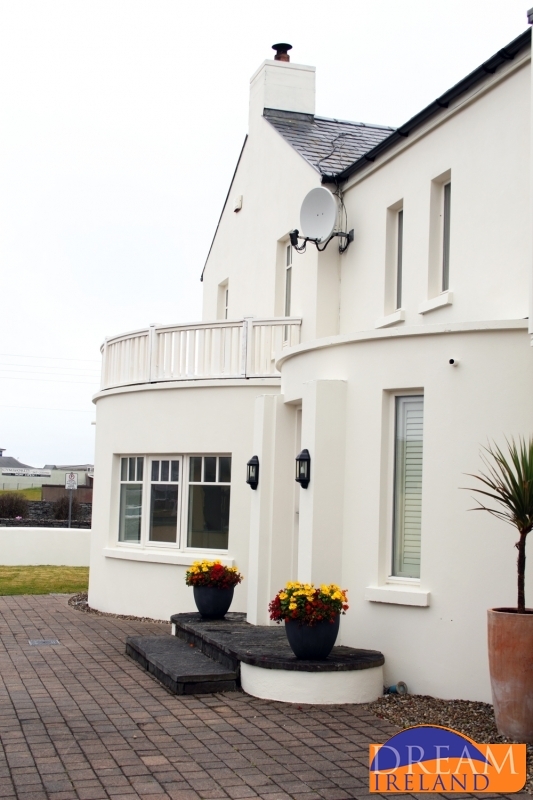 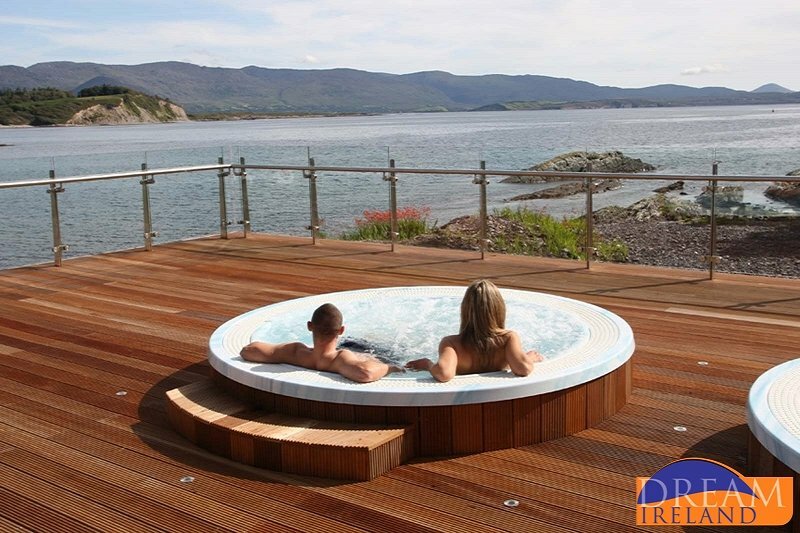 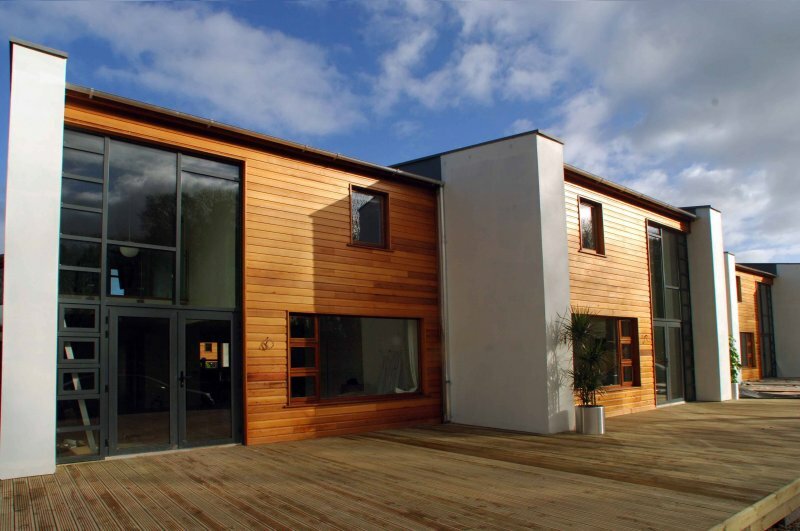 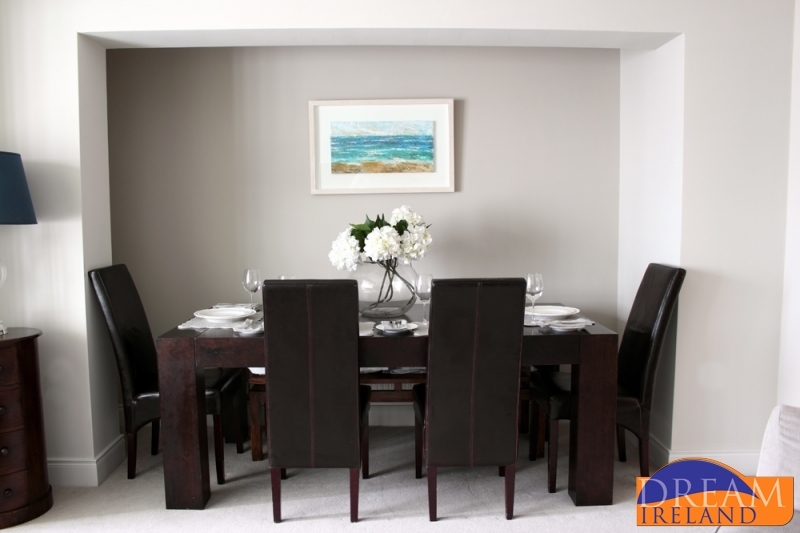 If you are looking for large, elegant luxury holiday homes in Ireland then look no further. 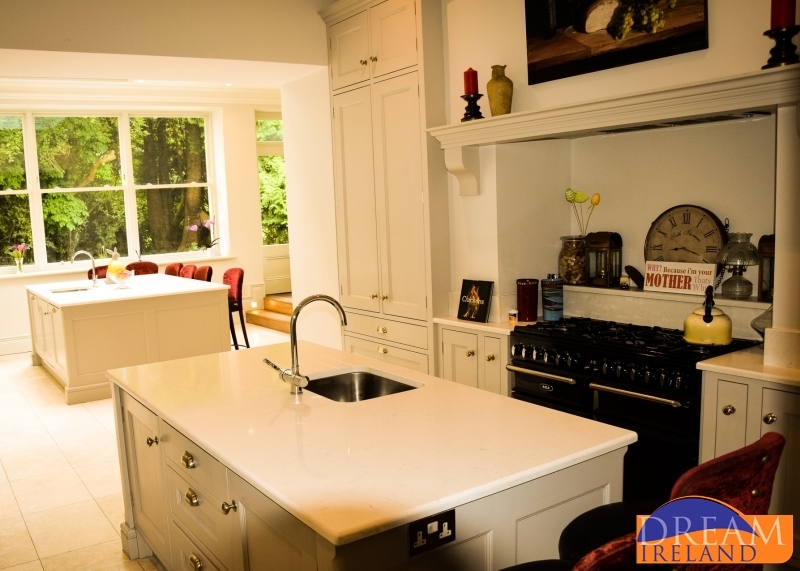 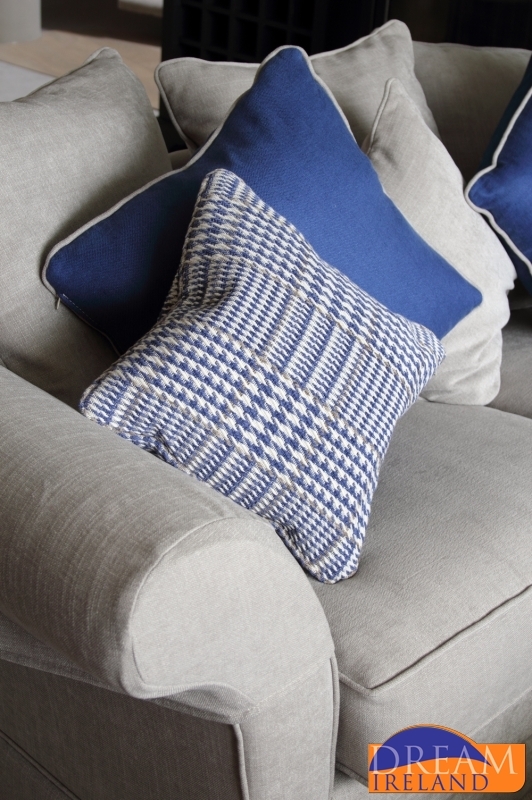 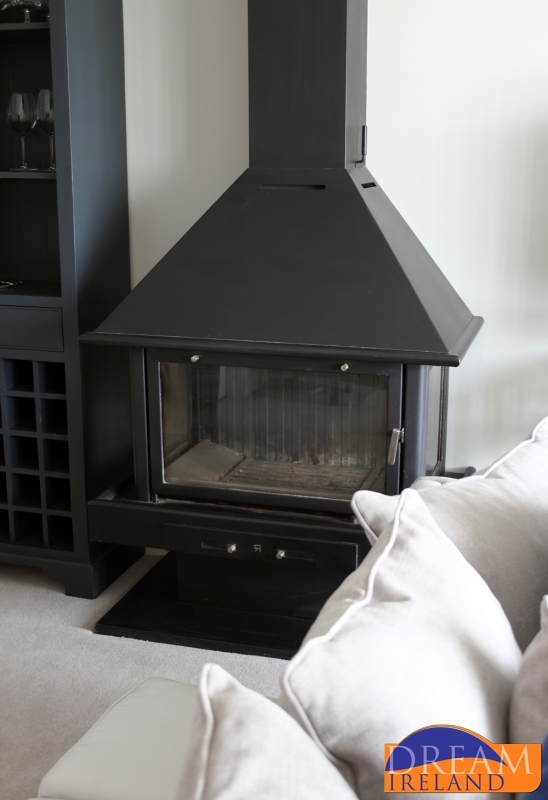 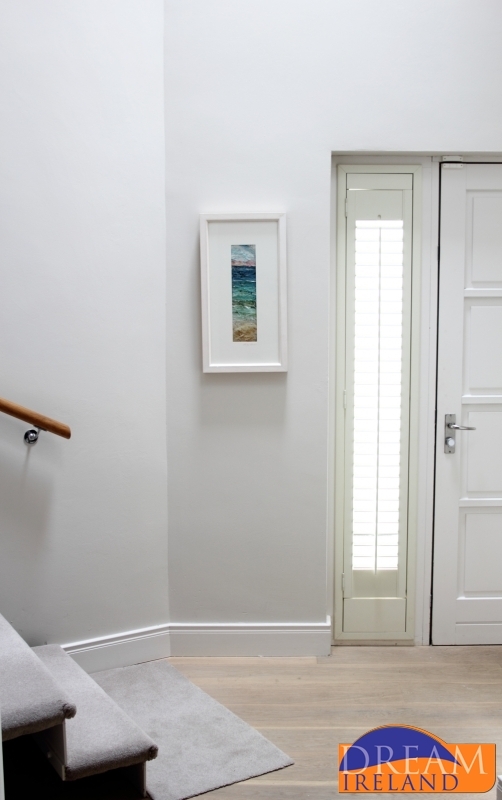 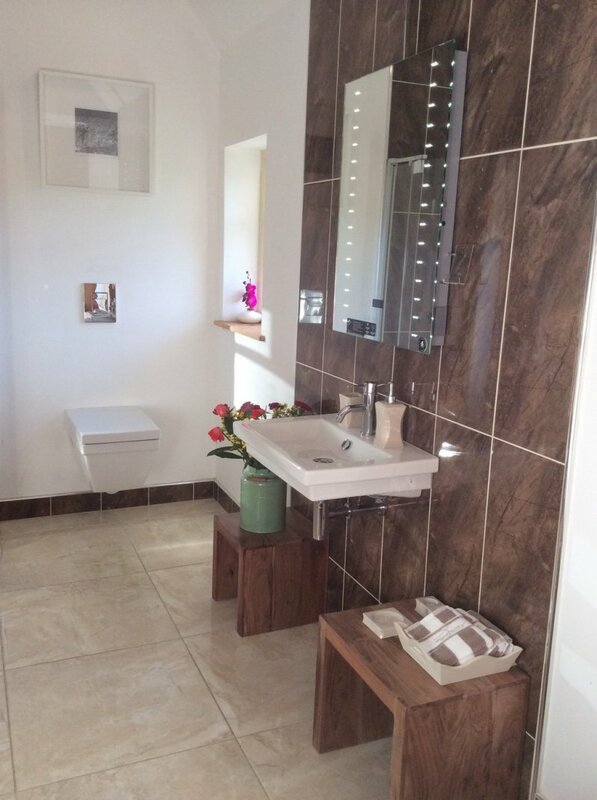 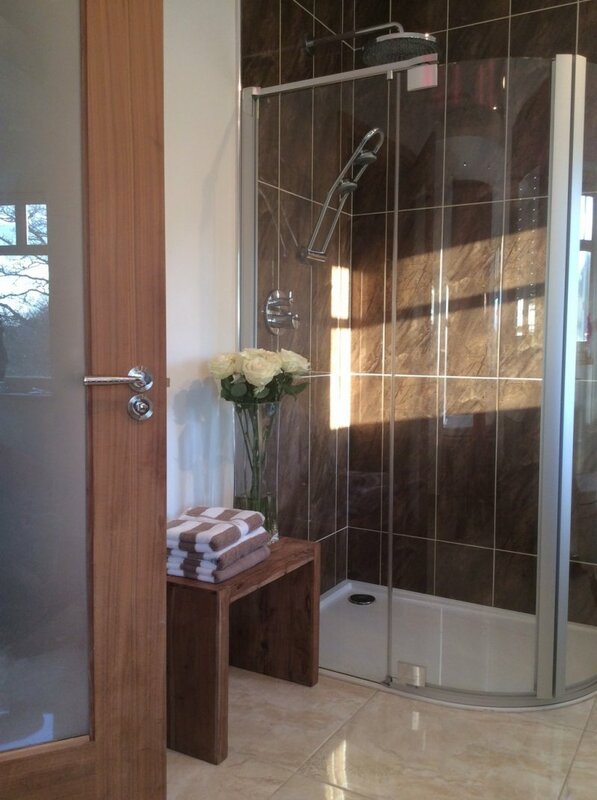 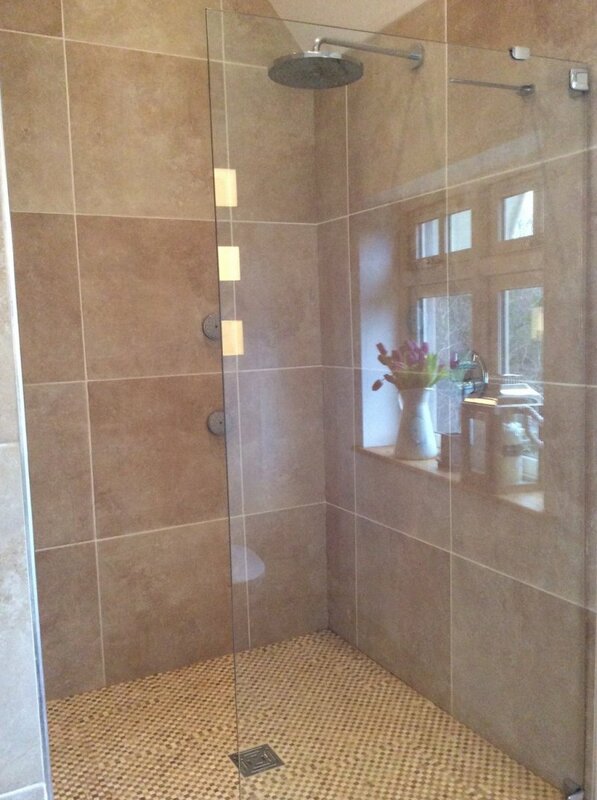 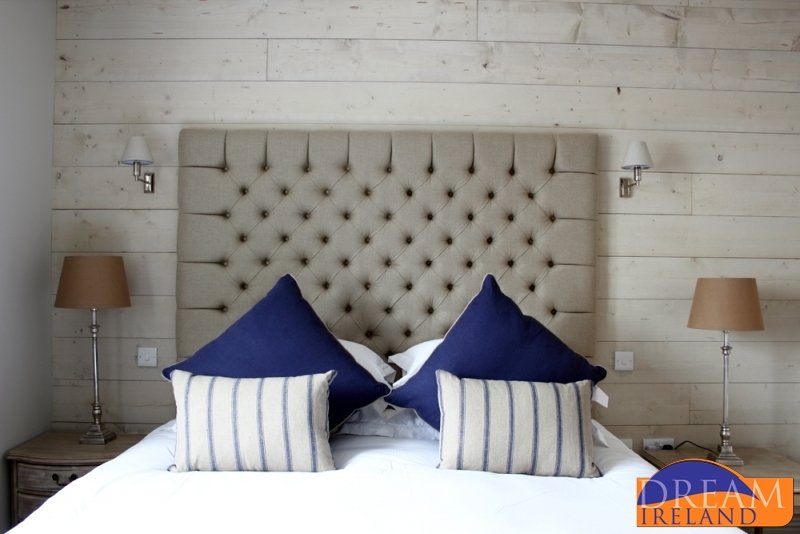 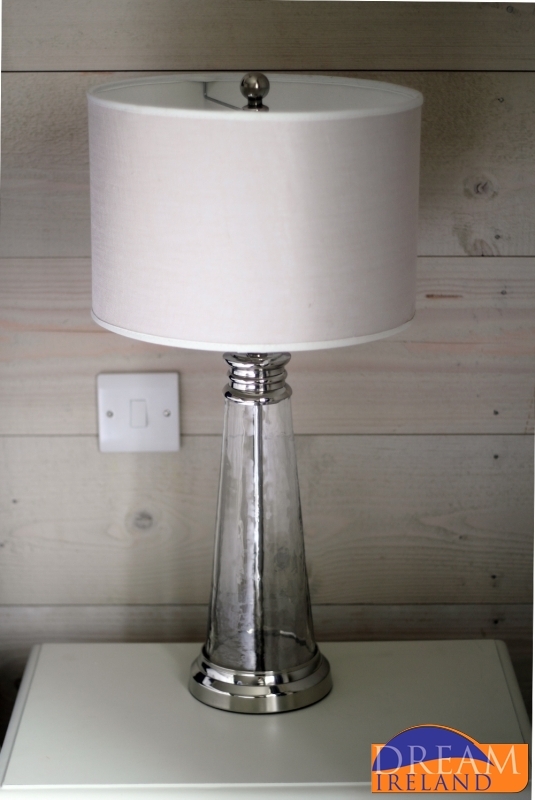 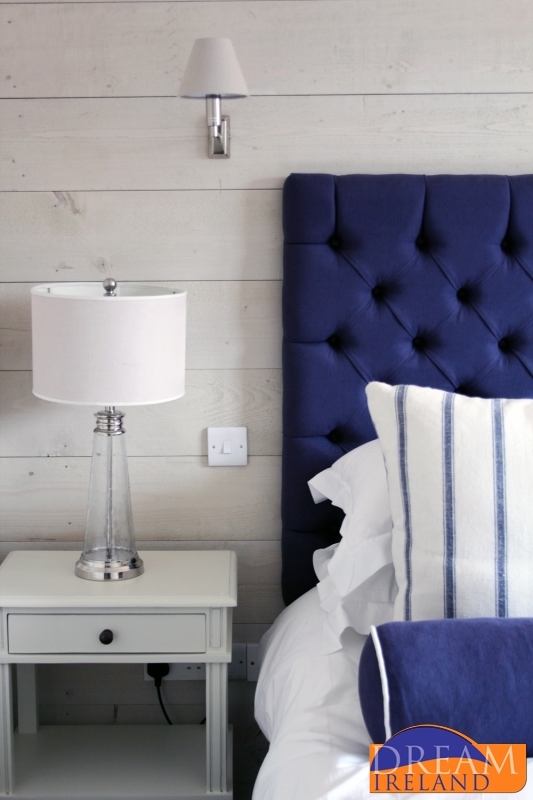 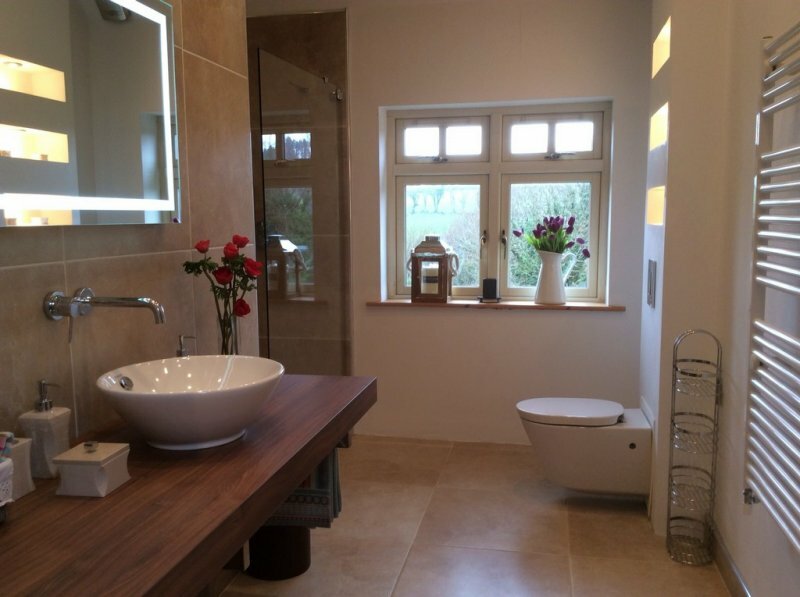 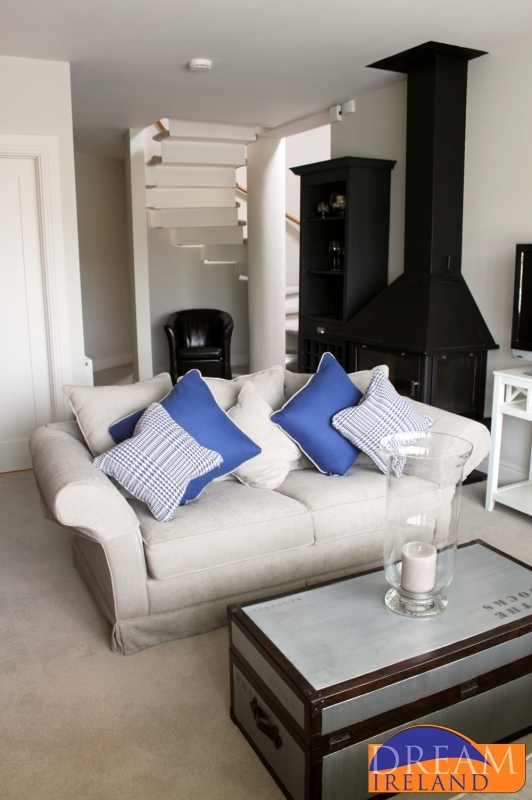 Luxury holiday homes are our speciality. 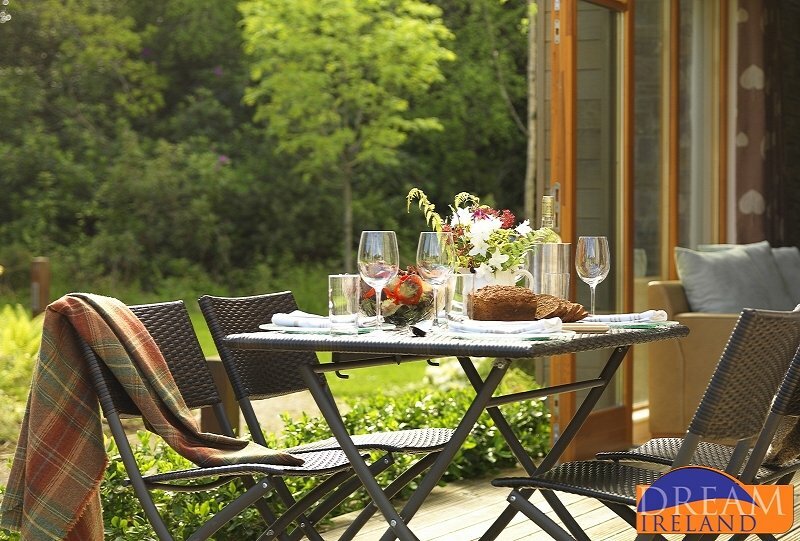 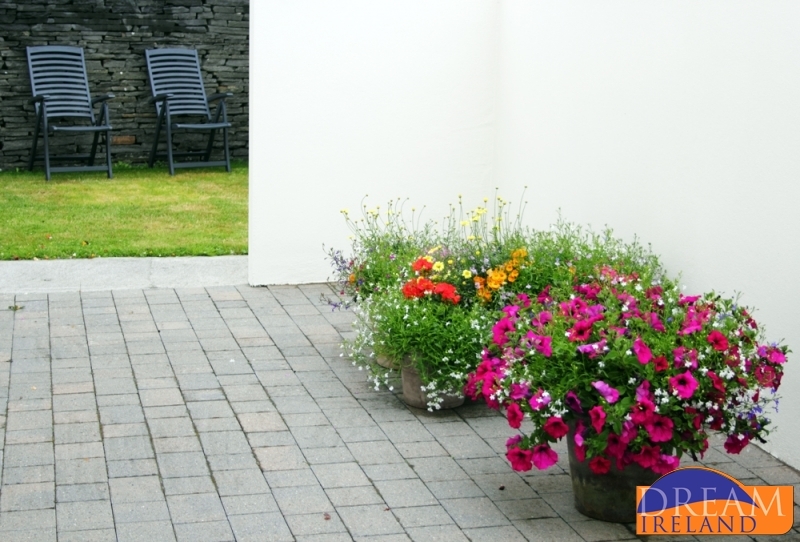 Dream Ireland Holiday Homes offer stunning homes where our valued guests can relax in peaceful settings. 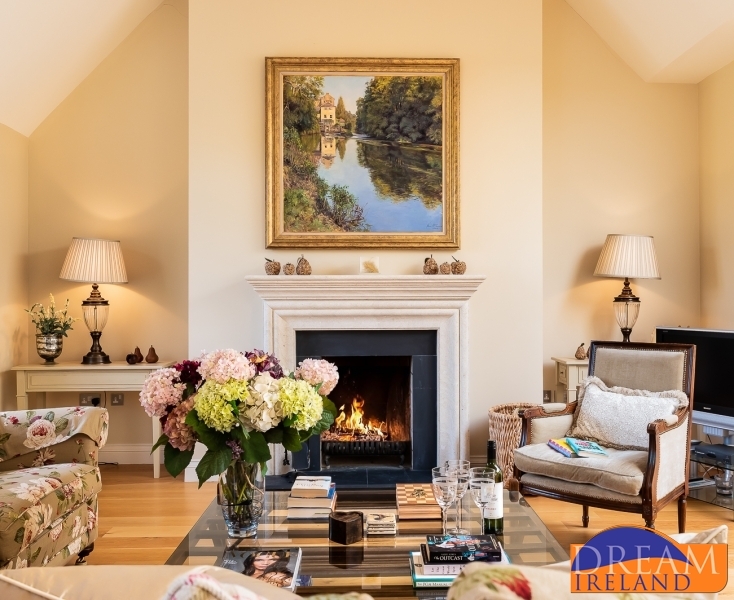 With everything you could possibly need during your exclusive stay at your fingertips, a Dream Ireland luxury holiday home is the perfect choice. 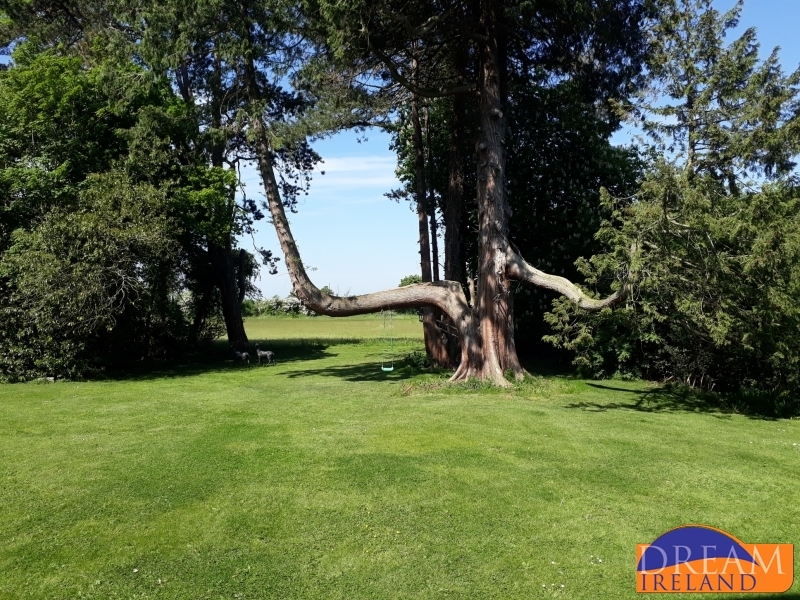 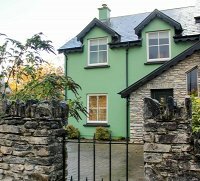 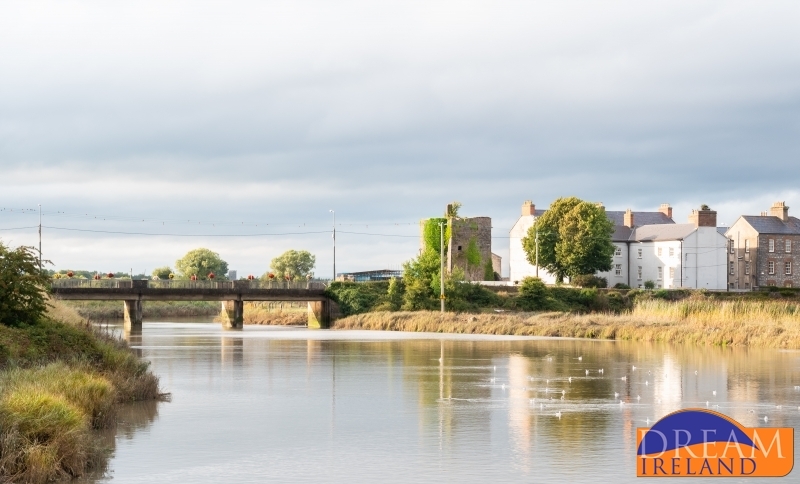 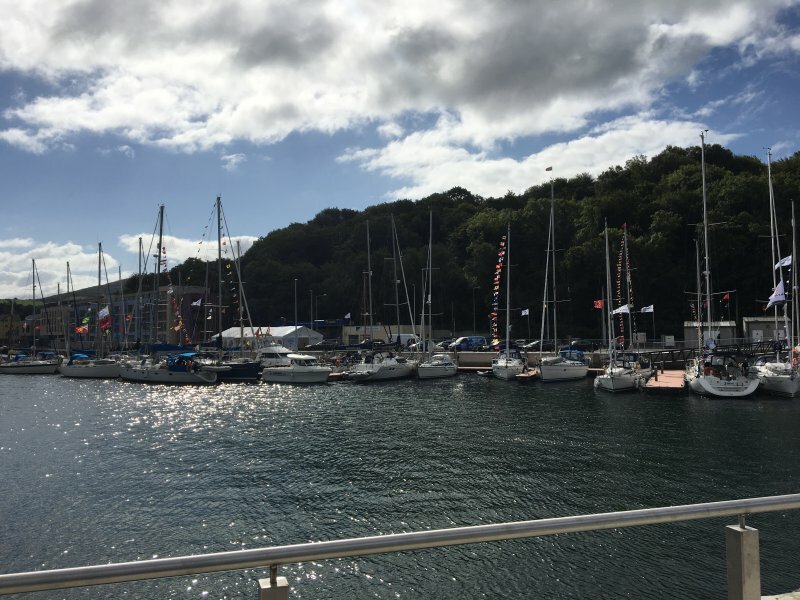 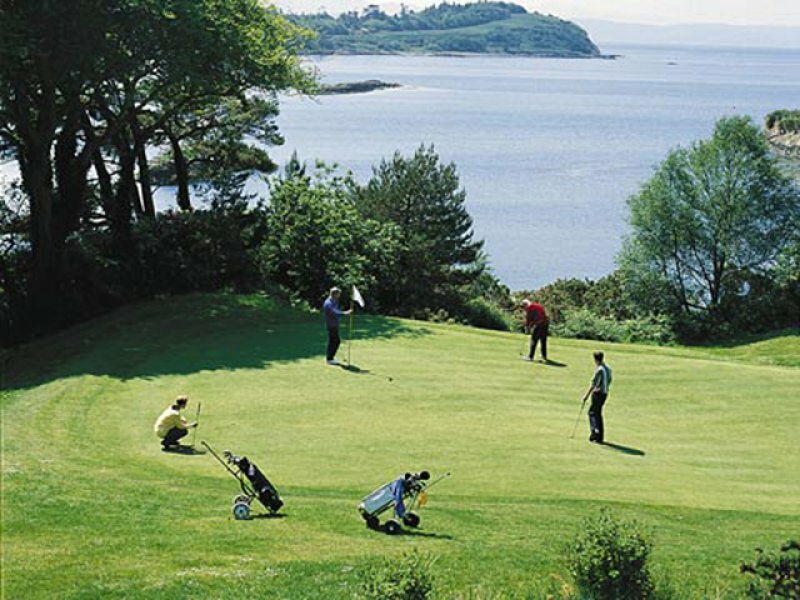 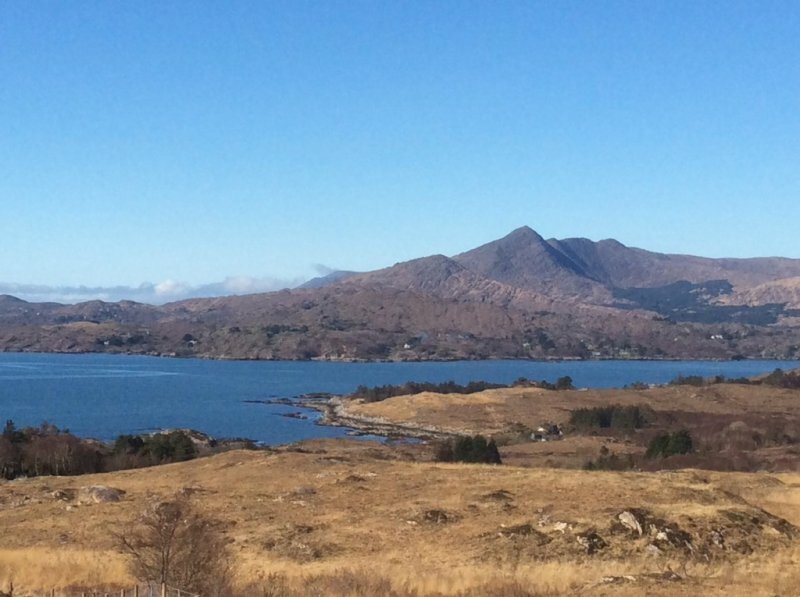 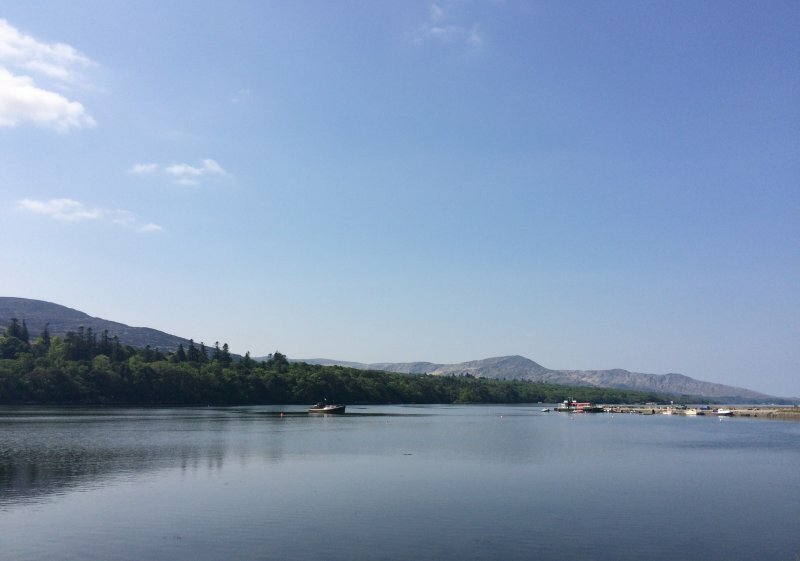 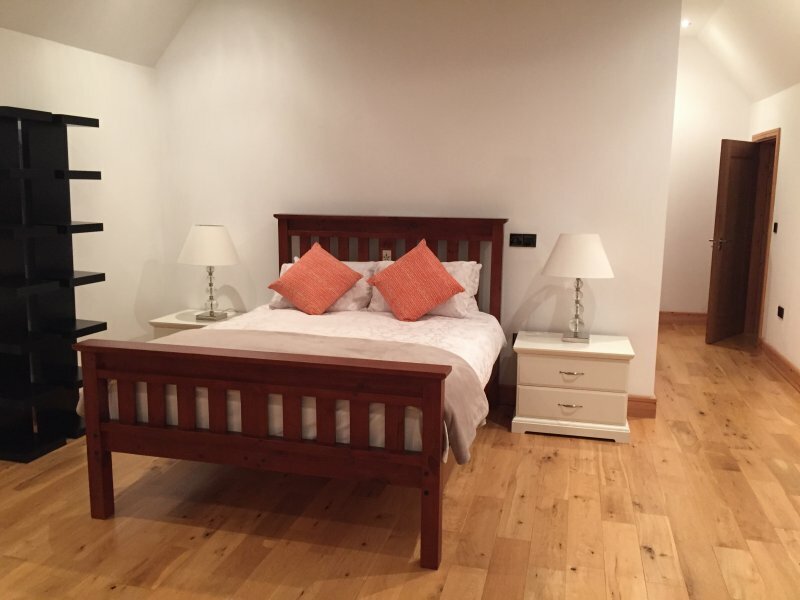 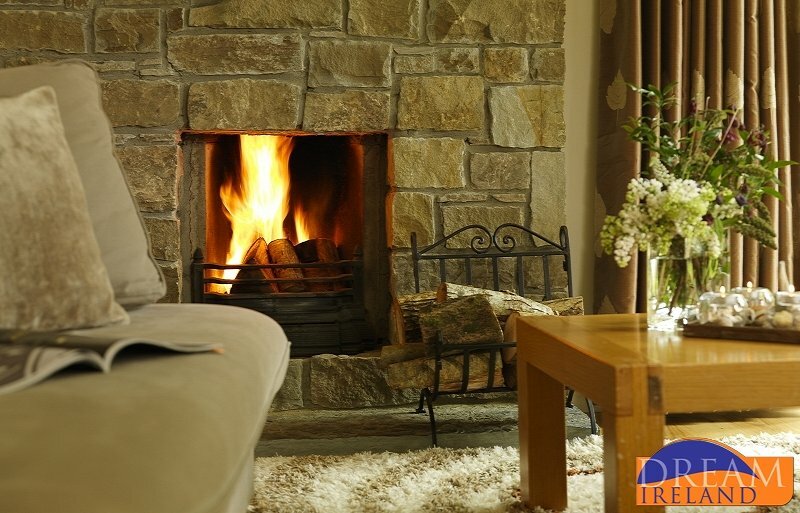 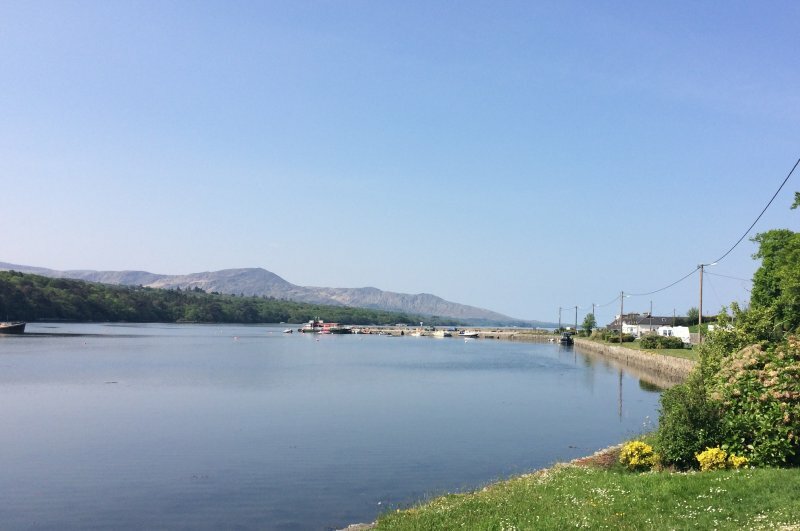 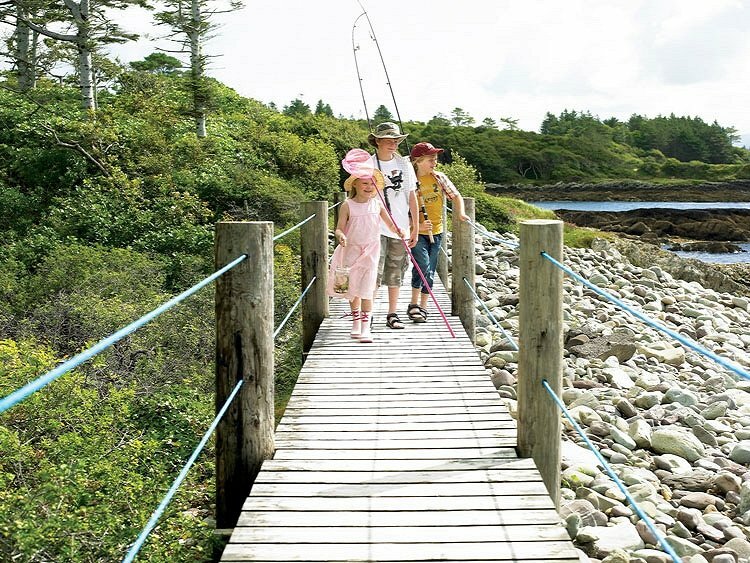 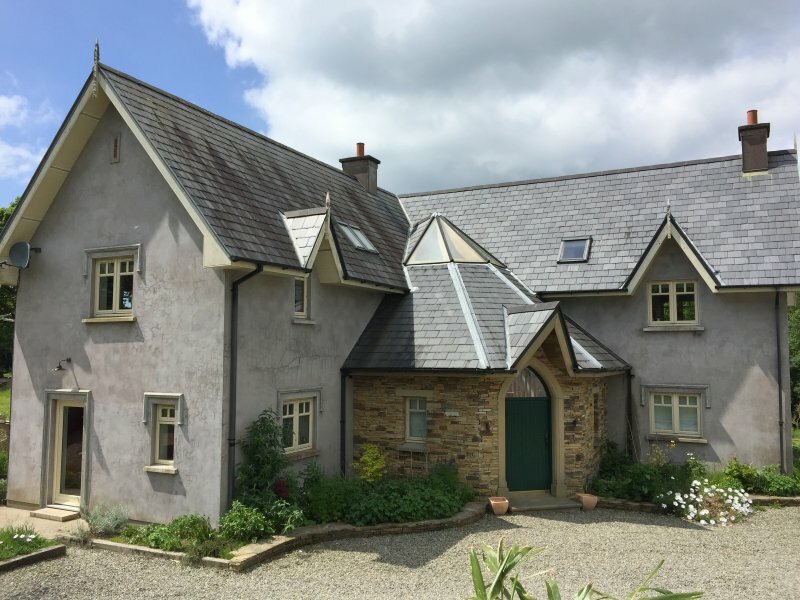 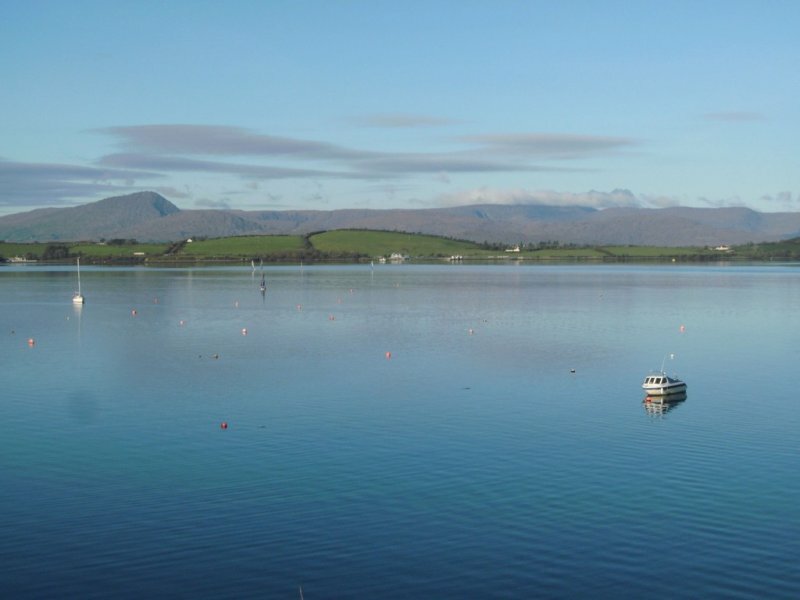 We offer exceptional Irish holiday homes in holiday destination throughout Ireland and special occasion holiday homes which are suitable for families, groups and couples alike. 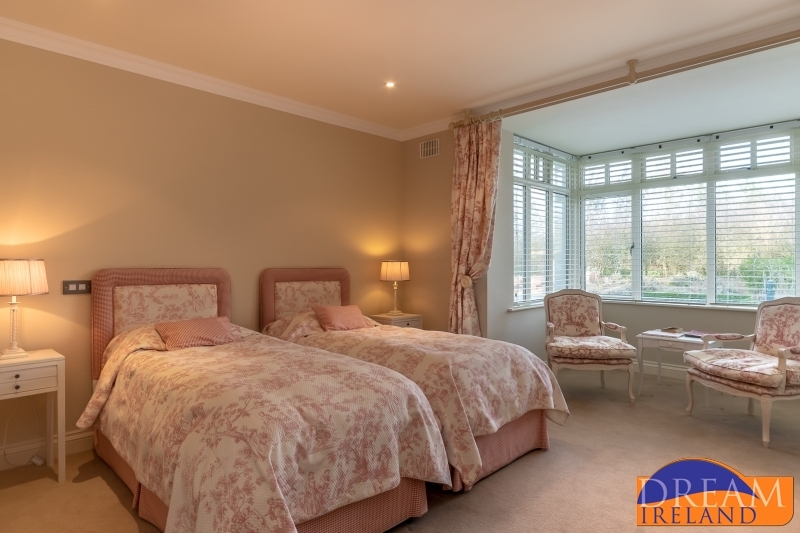 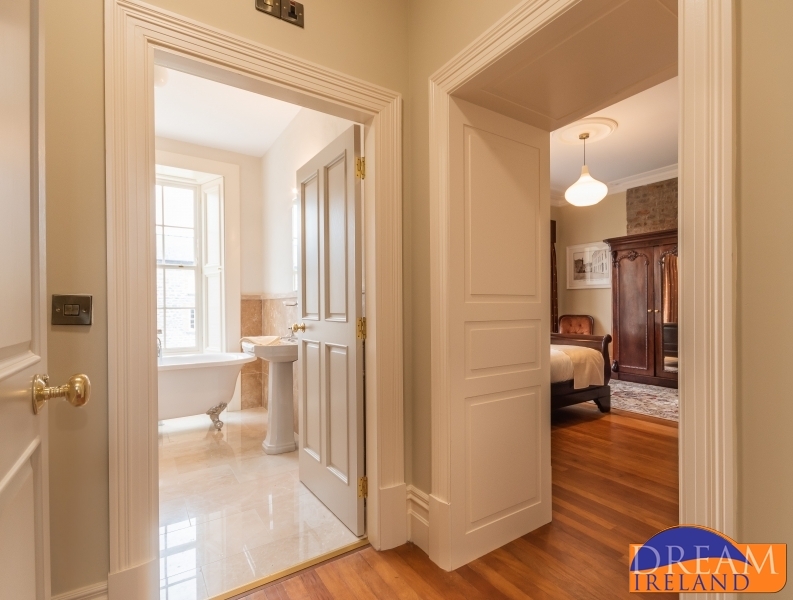 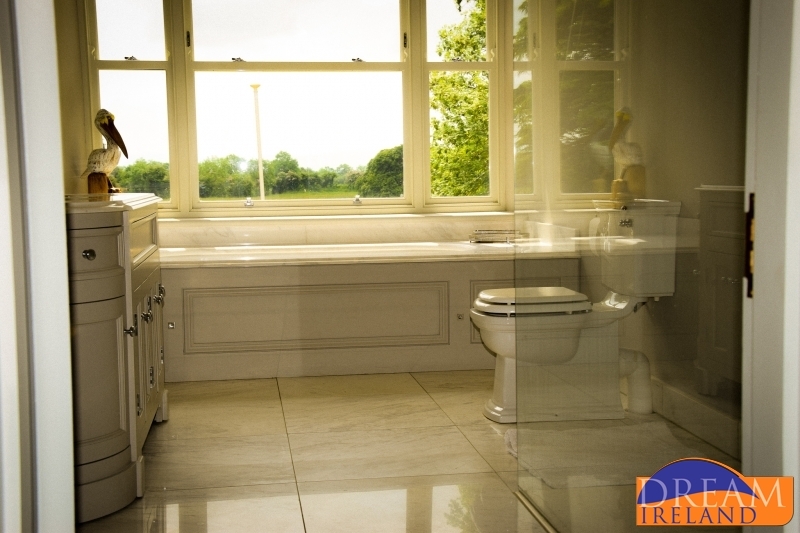 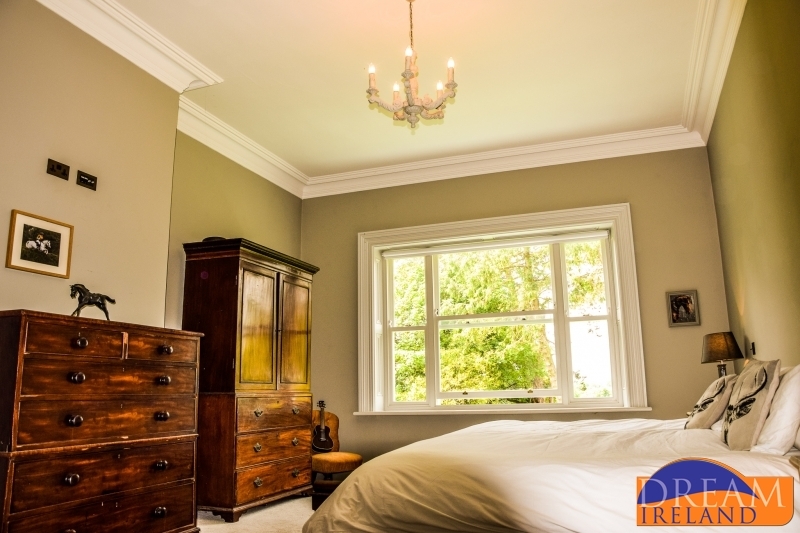 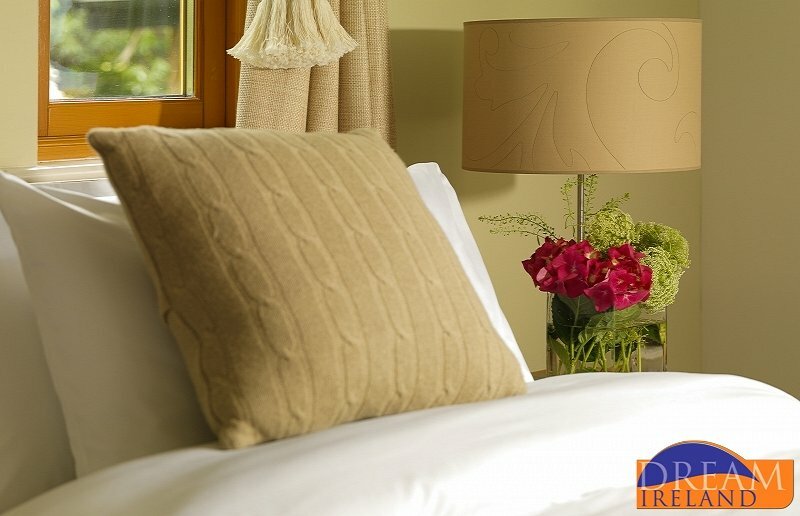 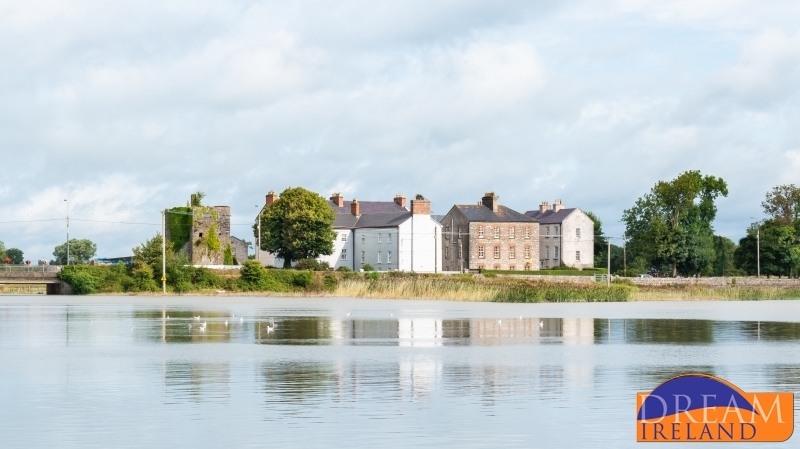 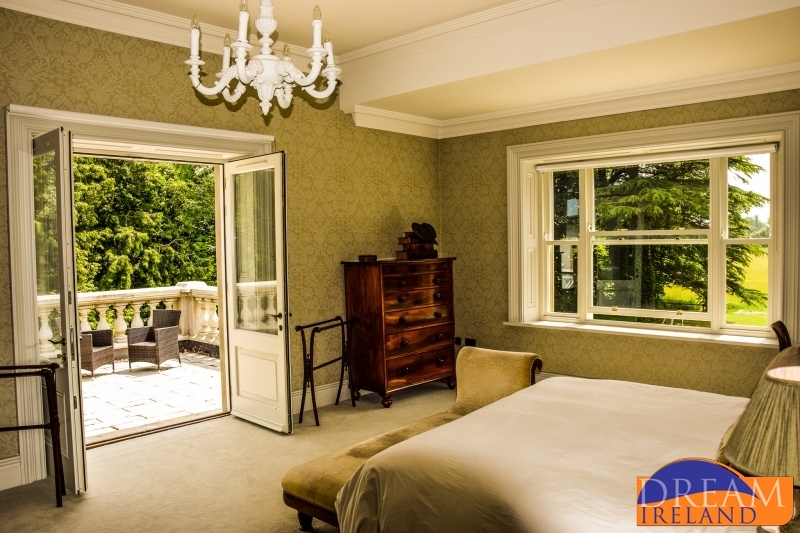 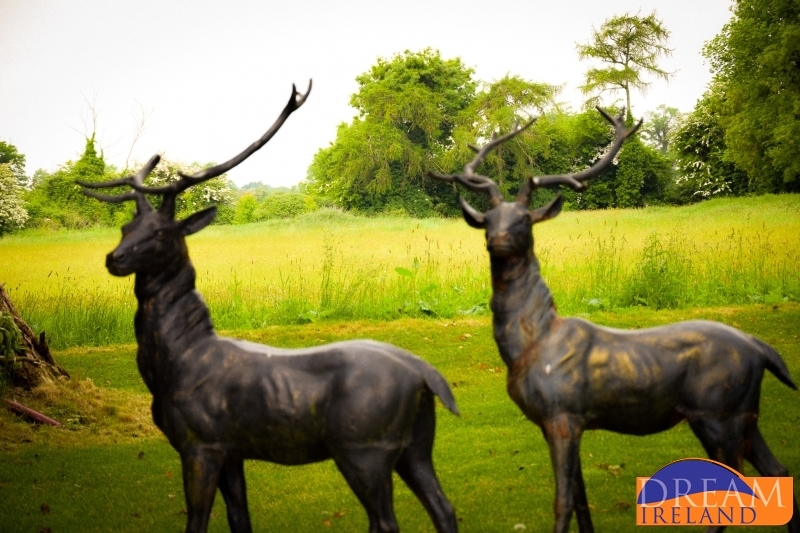 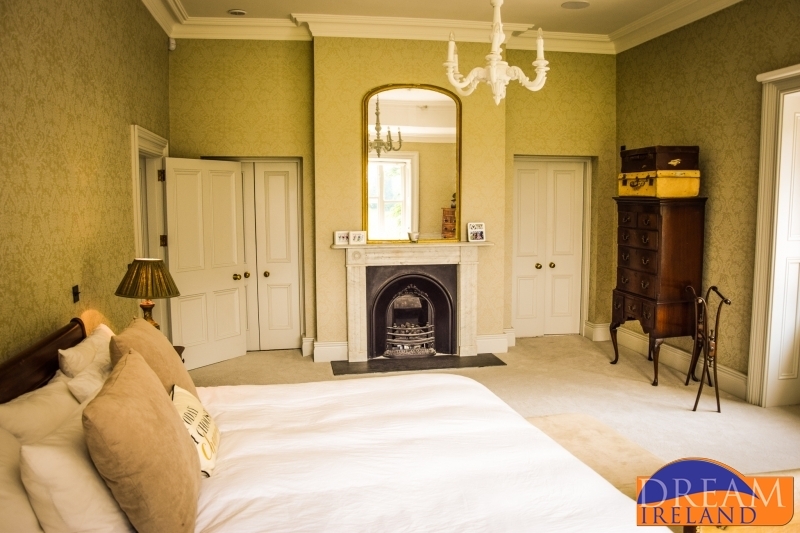 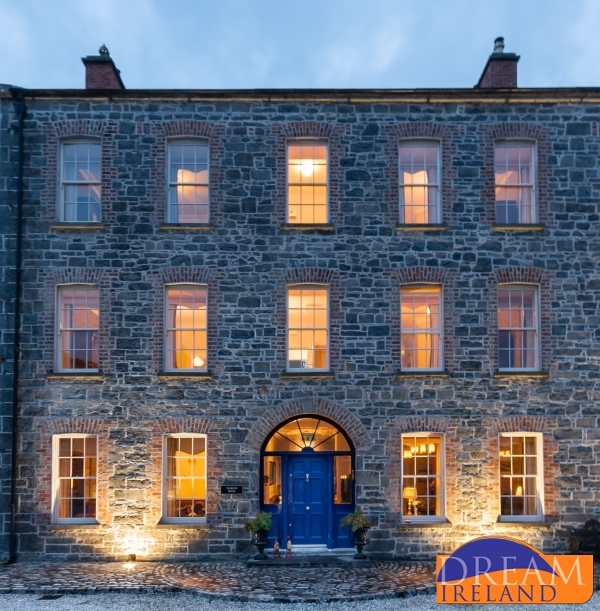 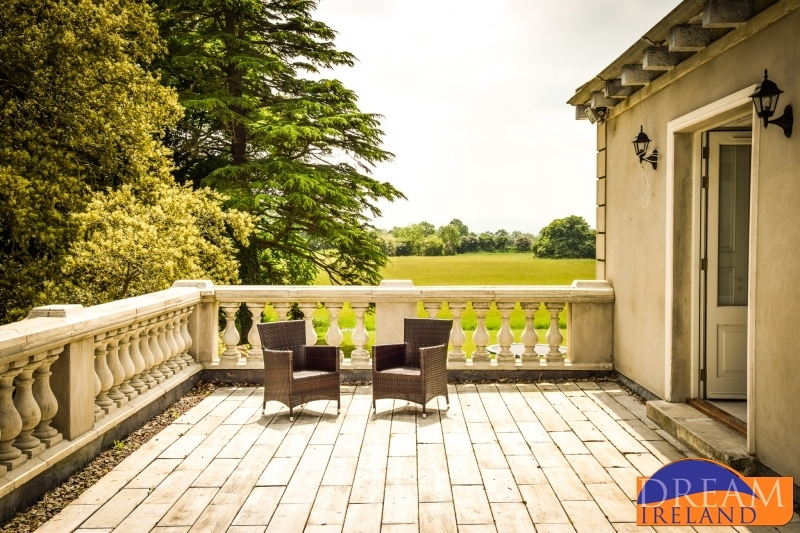 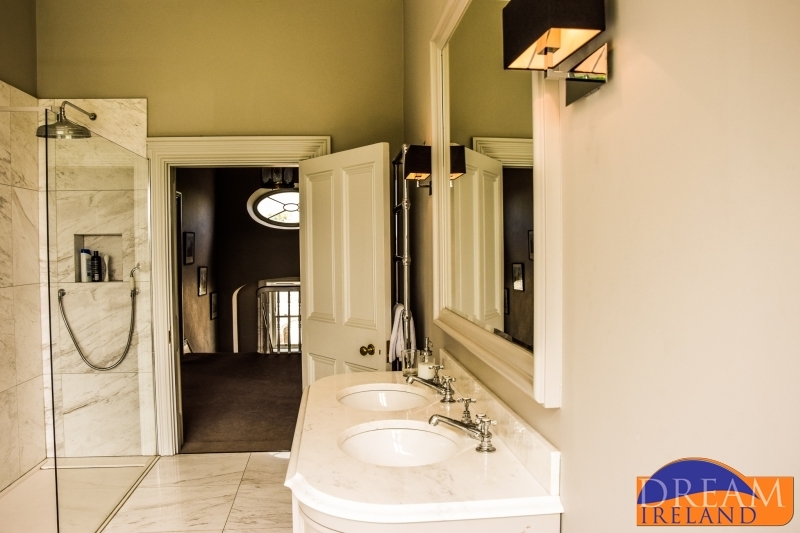 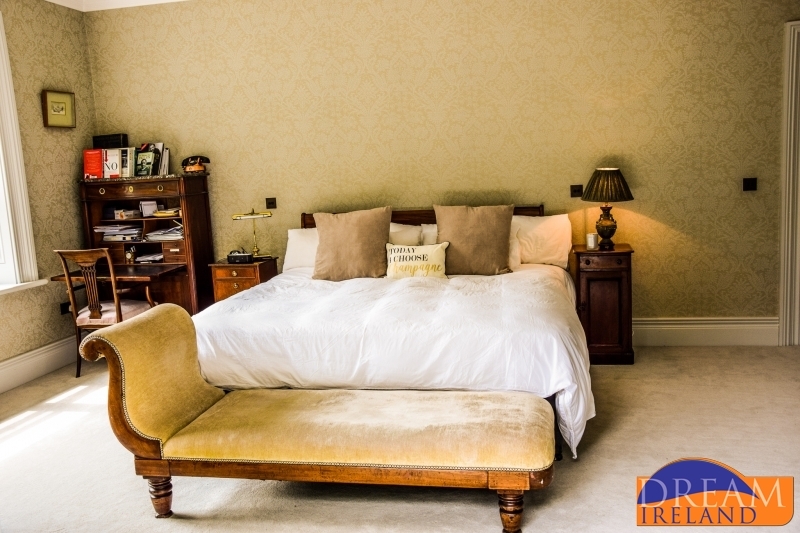 Dream Ireland also offers a range of regal and imperial historic homes. 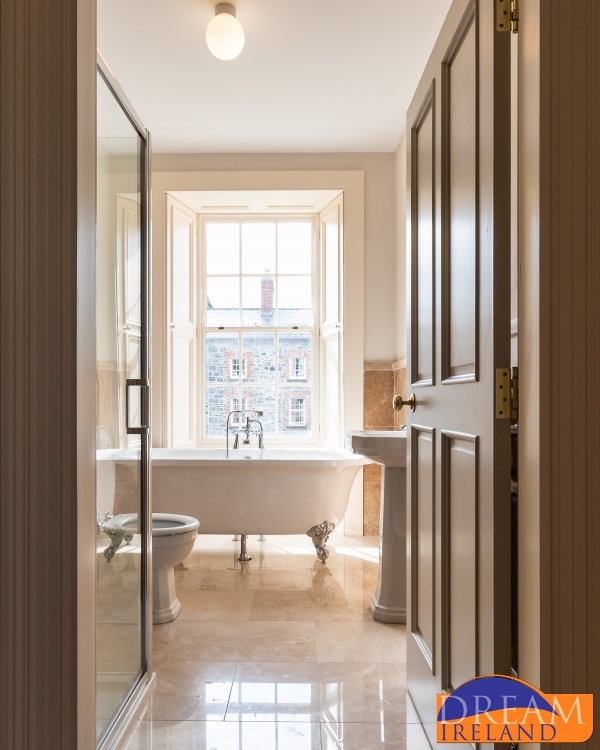 These lavish luxury homes have been sensitively restored to give a unique combination of old world charm and modern comforts. 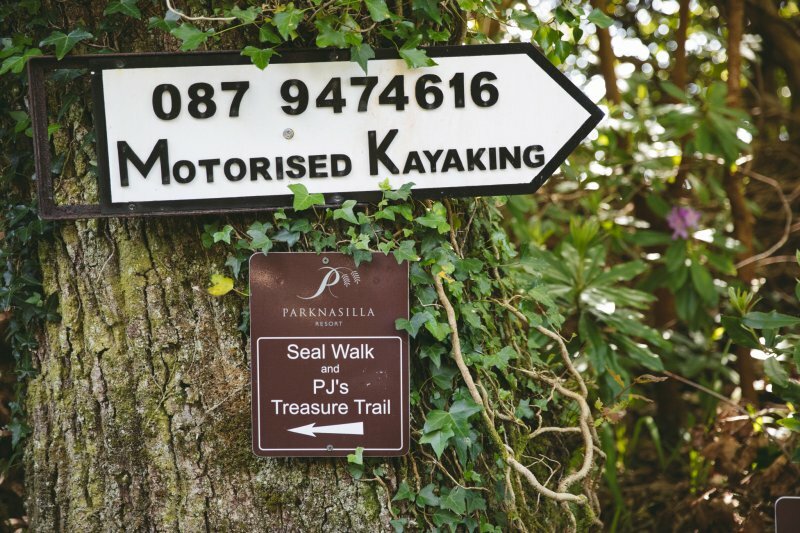 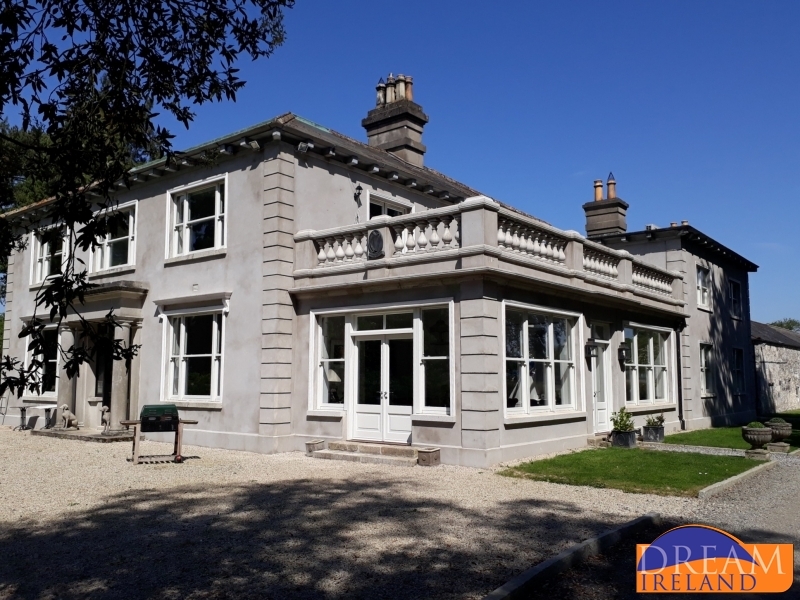 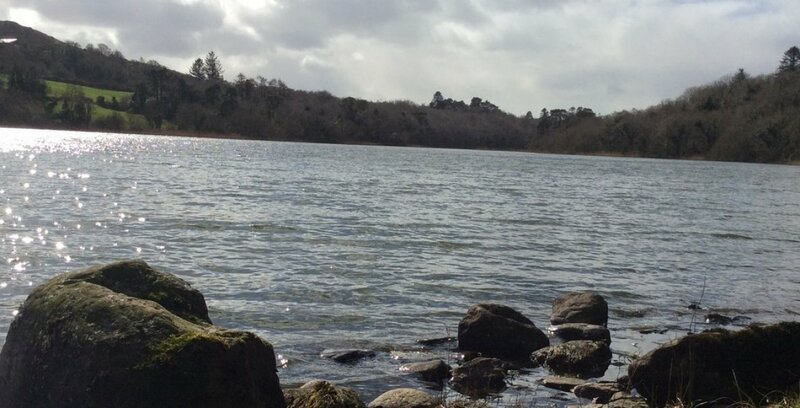 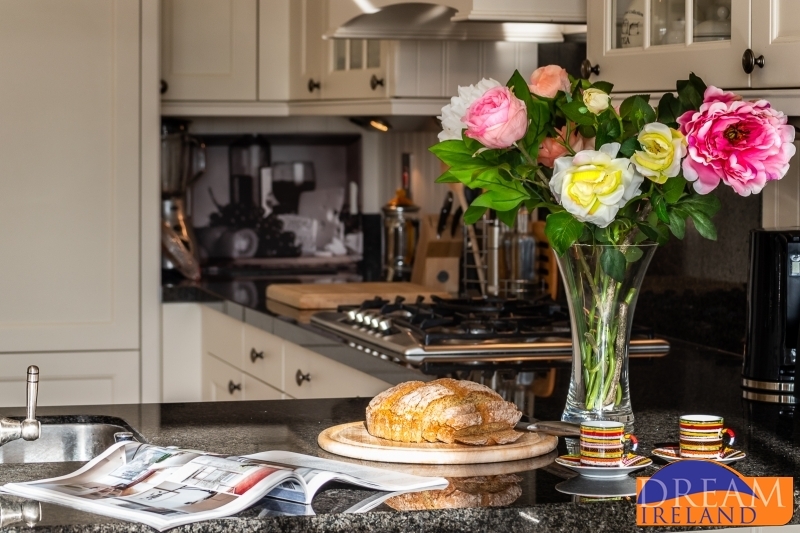 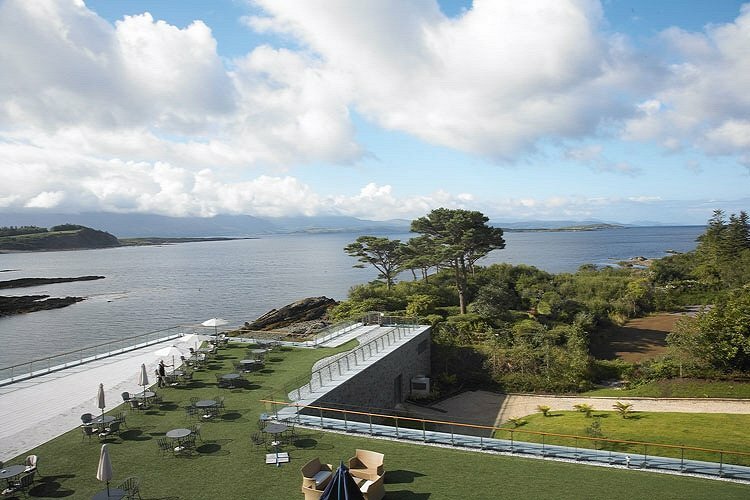 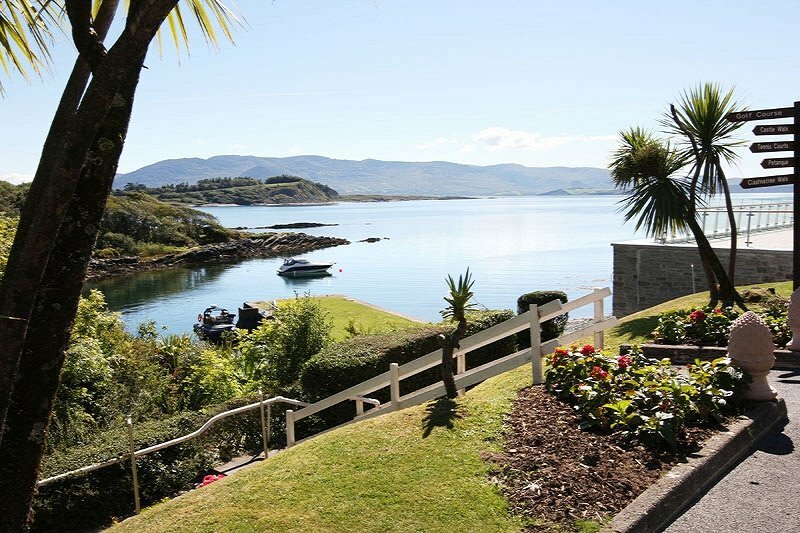 Dream Ireland offers stunning waterfront luxury holiday cottages with panoramic views making a Dream Ireland luxury residence the ideal private hideaway. 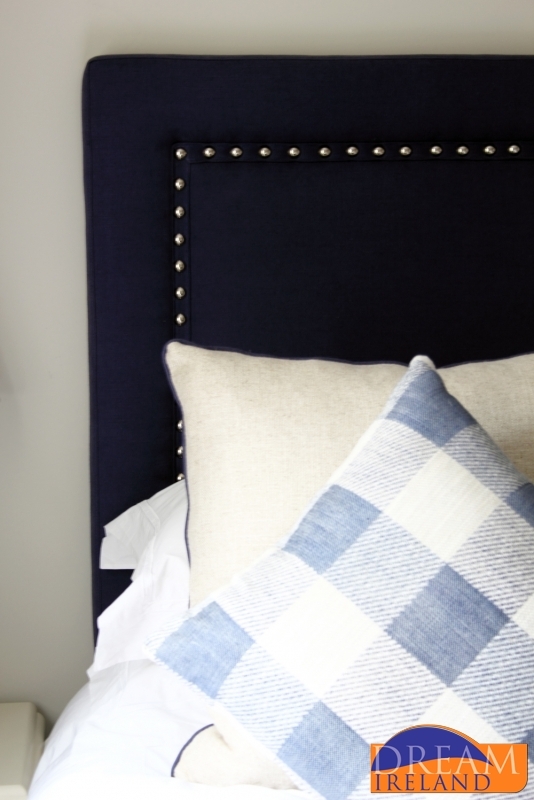 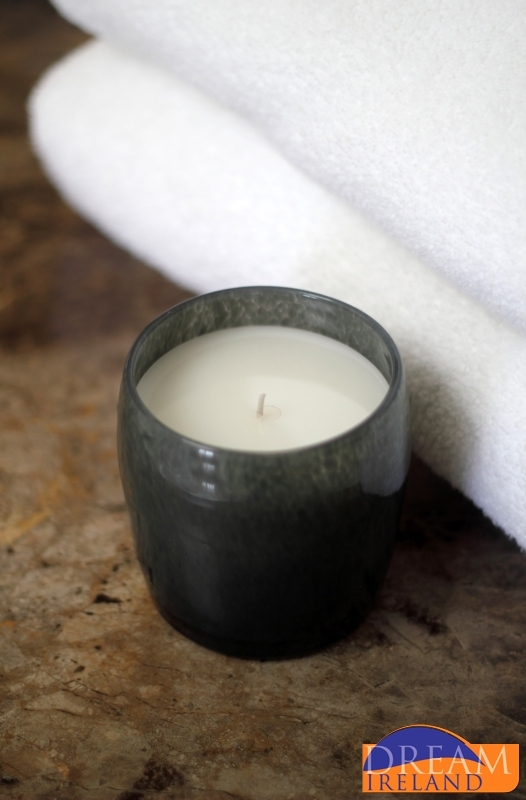 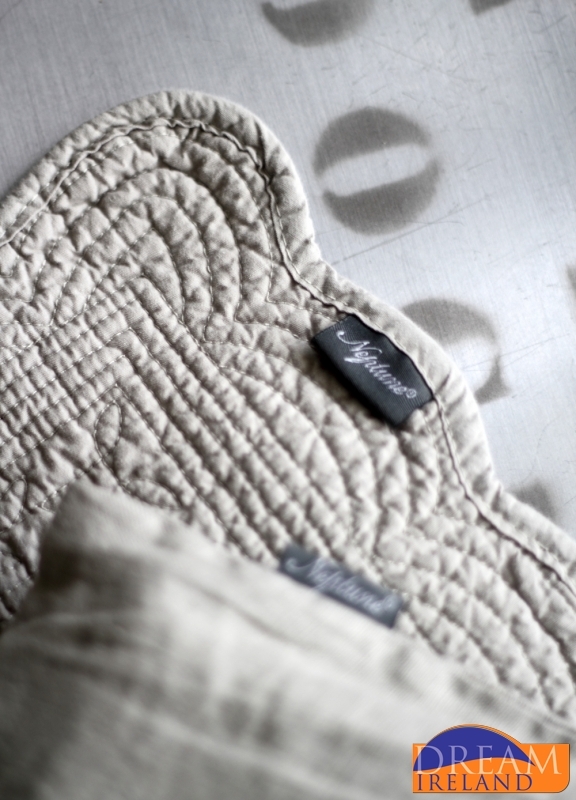 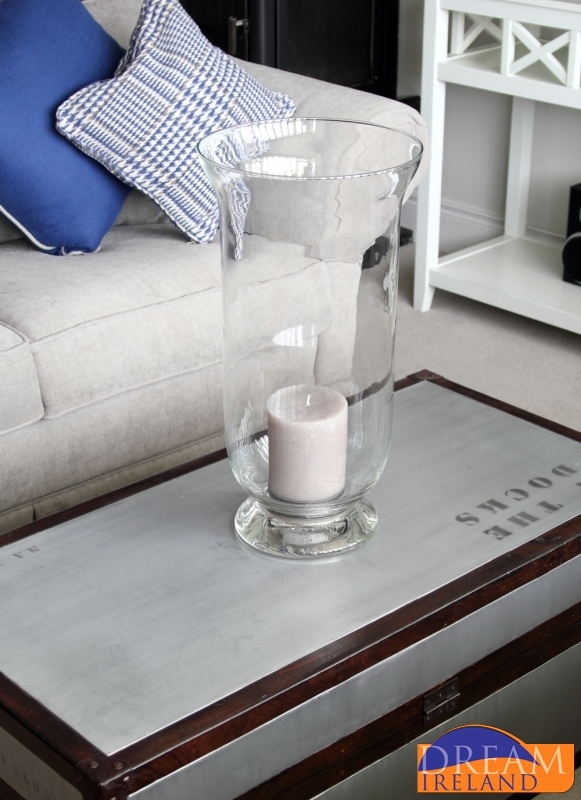 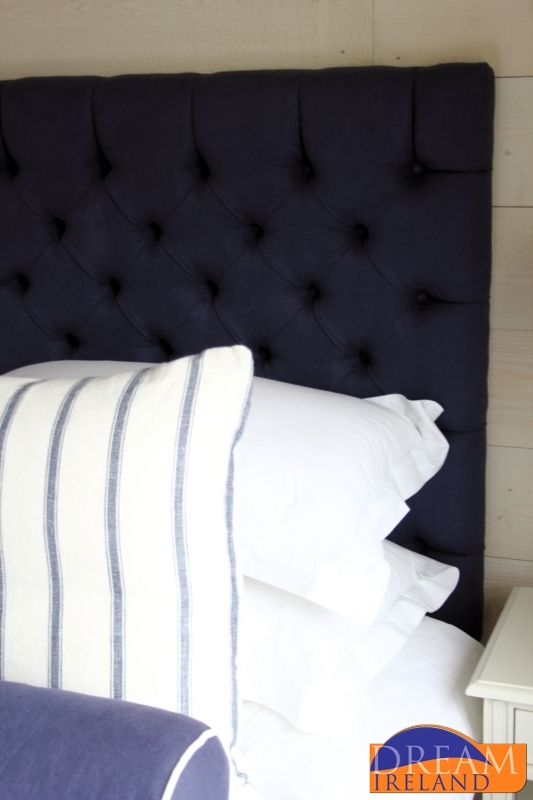 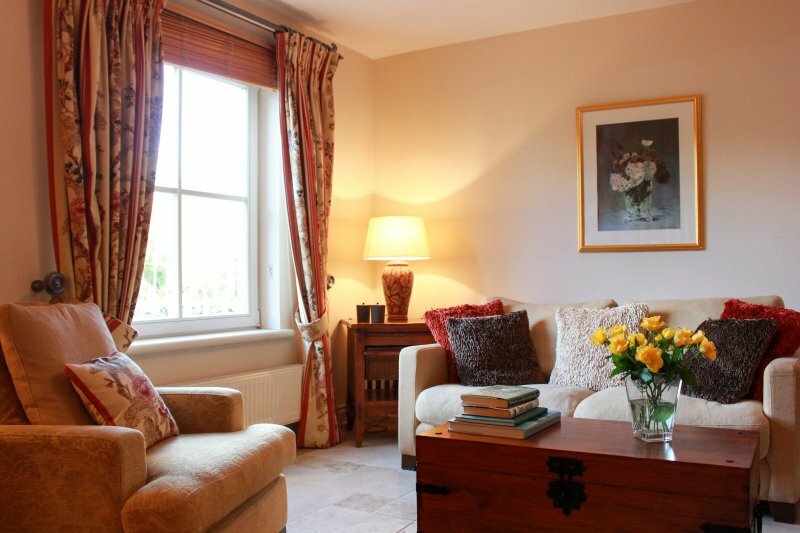 Although plush and ritzy, rest assured a warm and welcoming luxury holiday home awaits you. 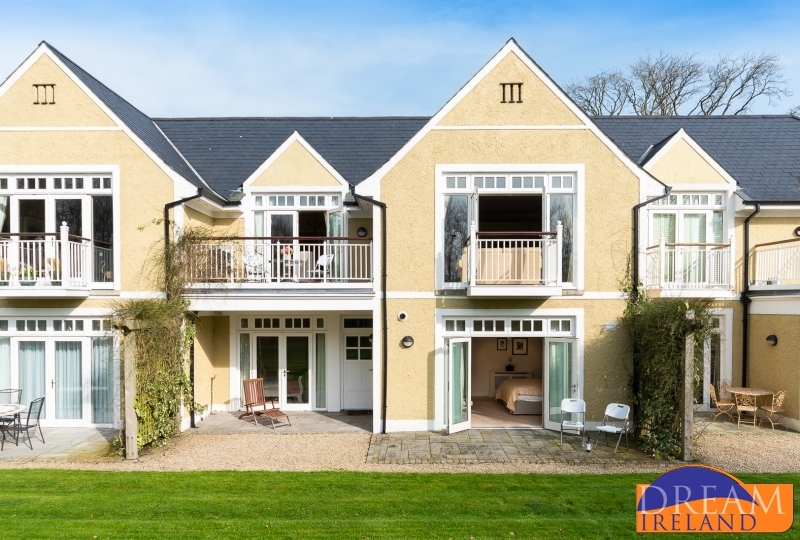 If you are looking for a fabulous home in some of Irelands most spectacular locations, Dream Luxury Ireland is the right choice for you. 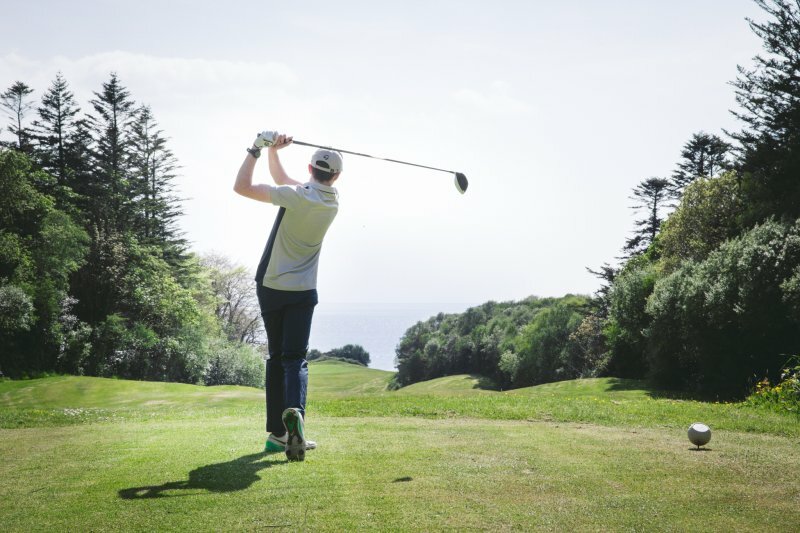 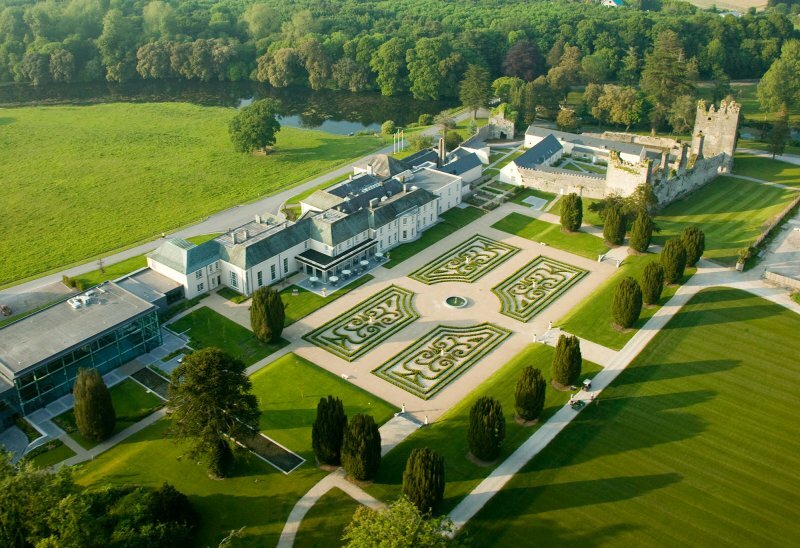 Whether you are looking for a family friendly luxury breaks, a large lavish villa or an luxury self-catering cottage Dream Ireland offer the widest range of exclusive holiday cottages, luxury holiday villas, special occasion holiday homes and exclusive private properties in Ireland. 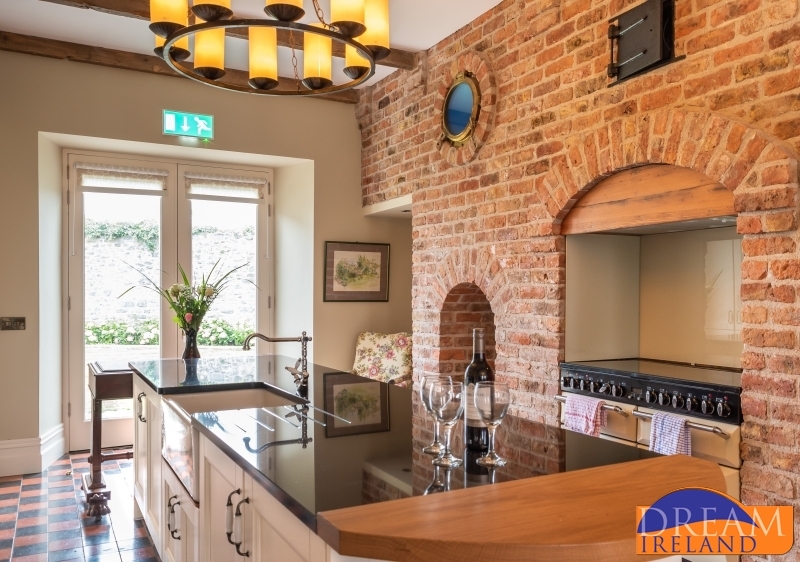 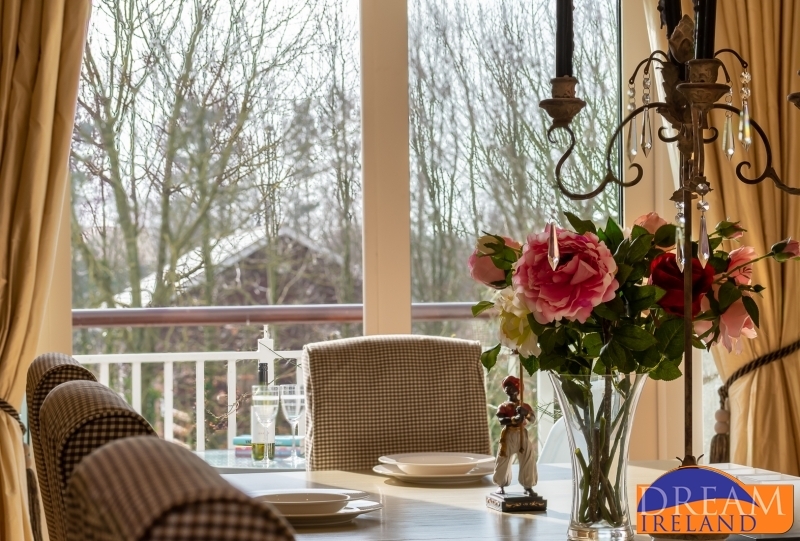 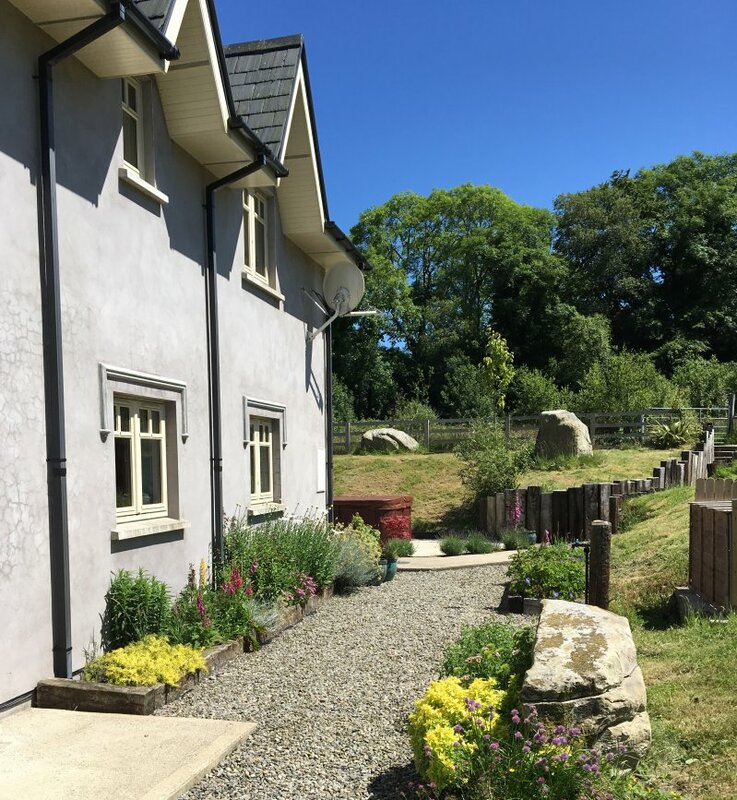 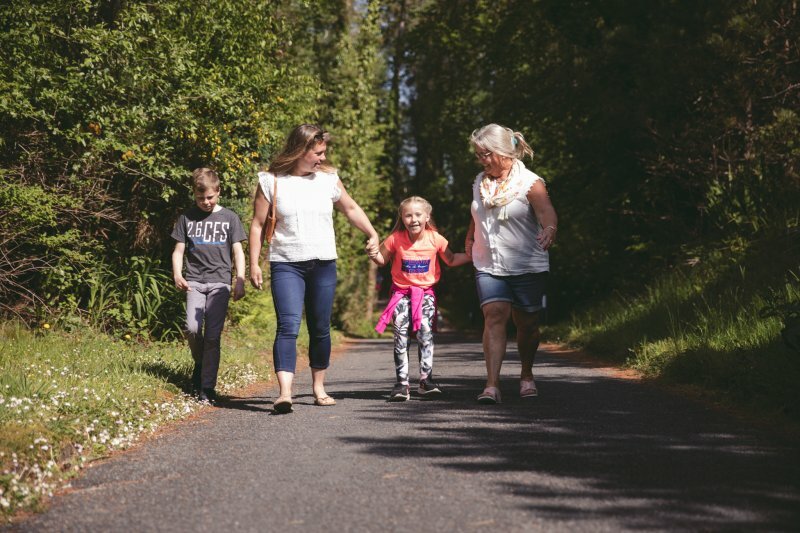 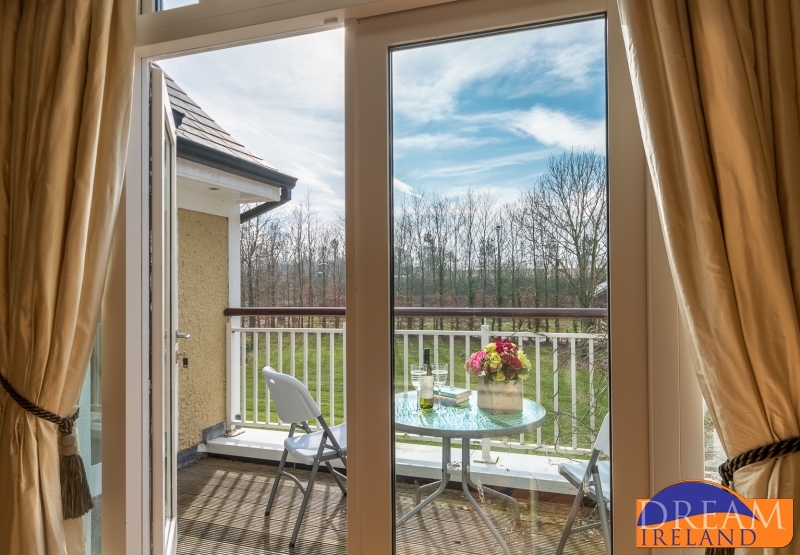 If you are looking for that special holiday home for your next holiday, Dream Ireland offers the widest range of special occasion holiday homes and exclusive cottages. 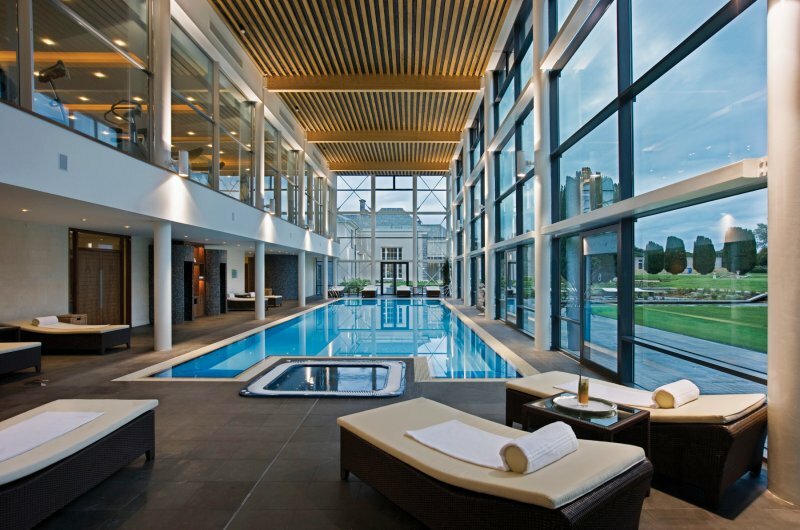 Sumptuous and upscale luxury holidays await you. 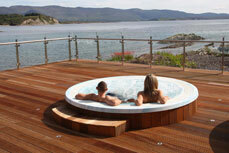 Exceptional villas and exclusive holiday villas are our specialty. 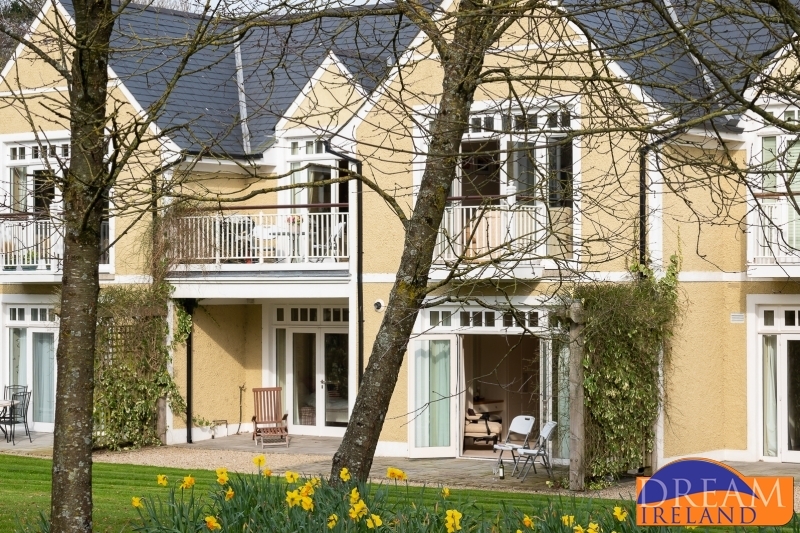 With a long list of exclusive villas and special places to stay in Ireland, Dream Ireland Holiday Homes is the one stop shop for luxury self-catering in Ireland. 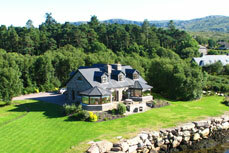 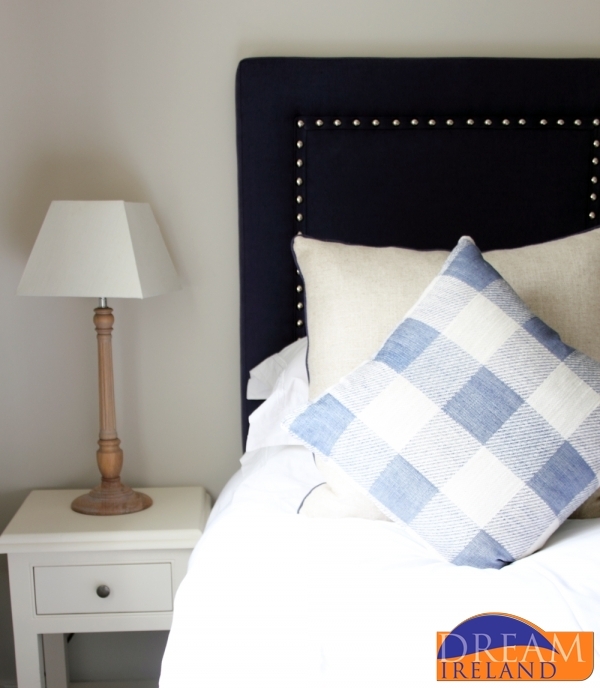 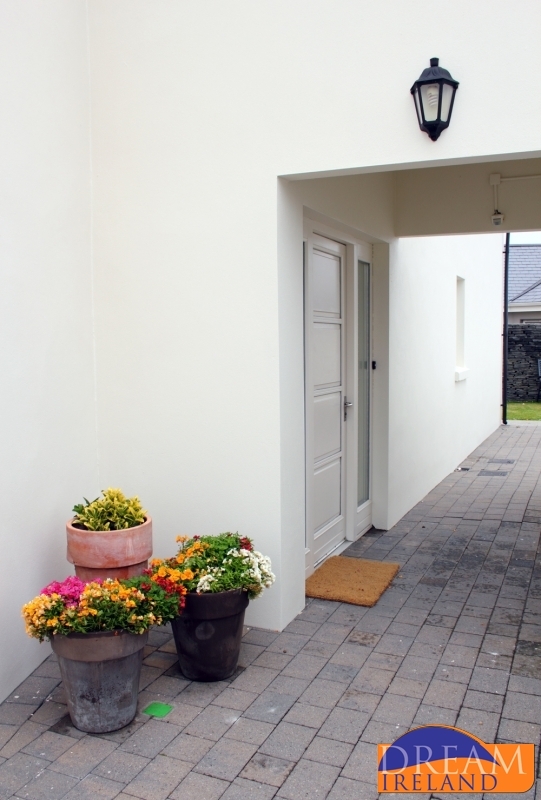 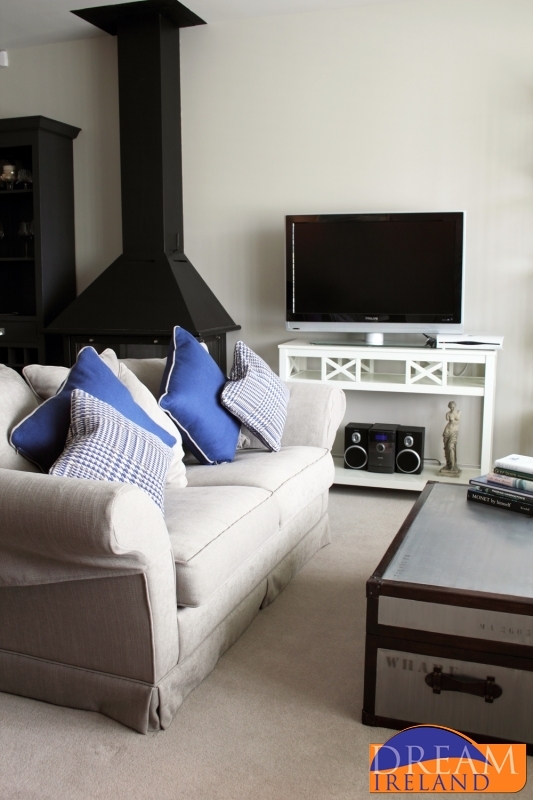 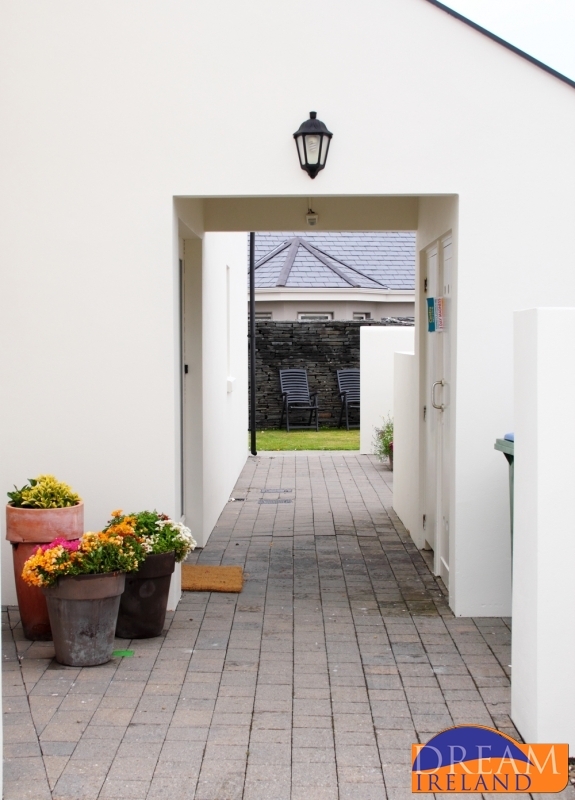 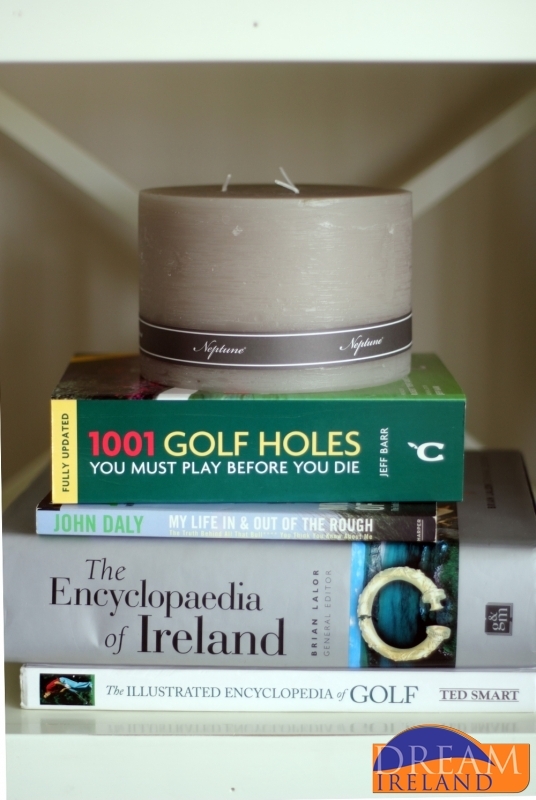 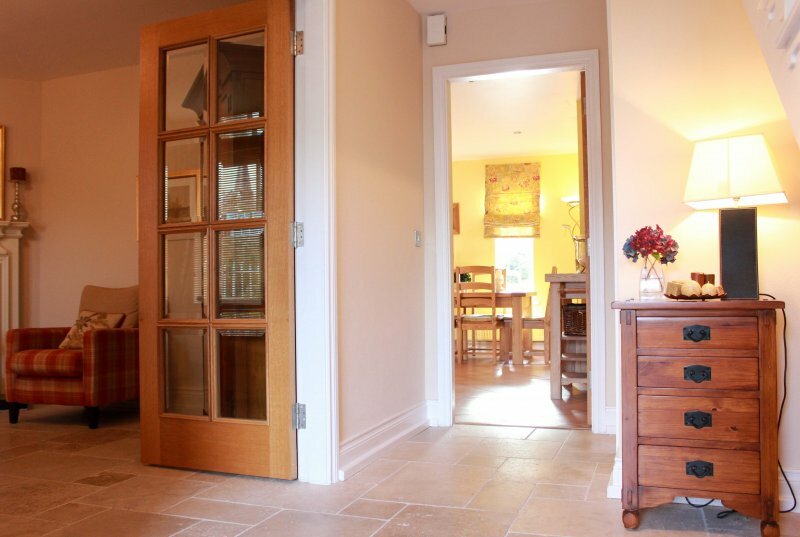 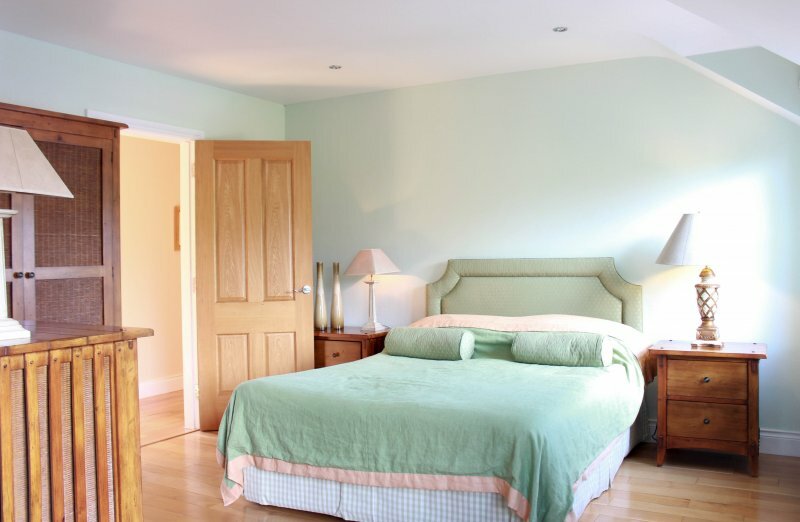 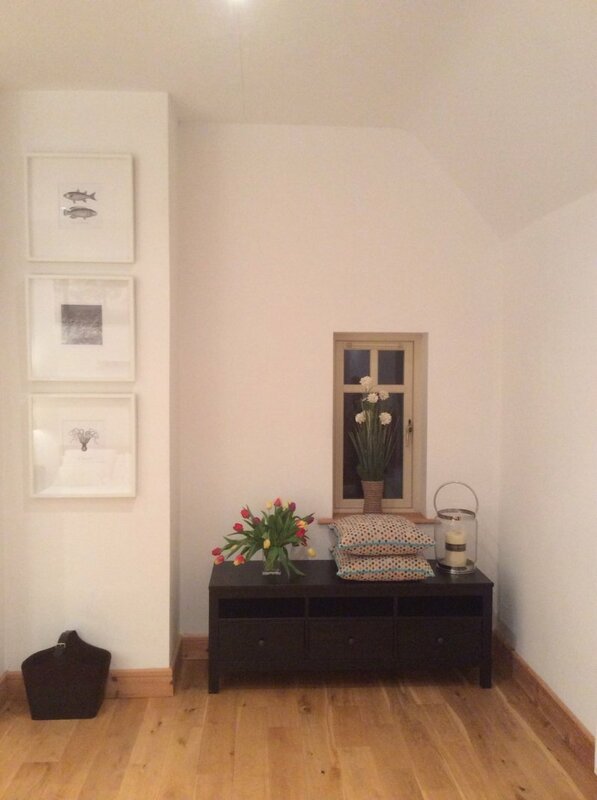 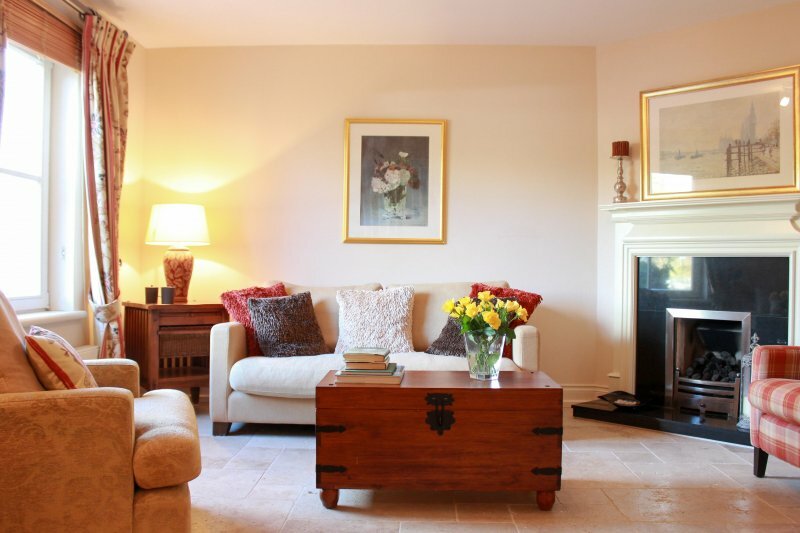 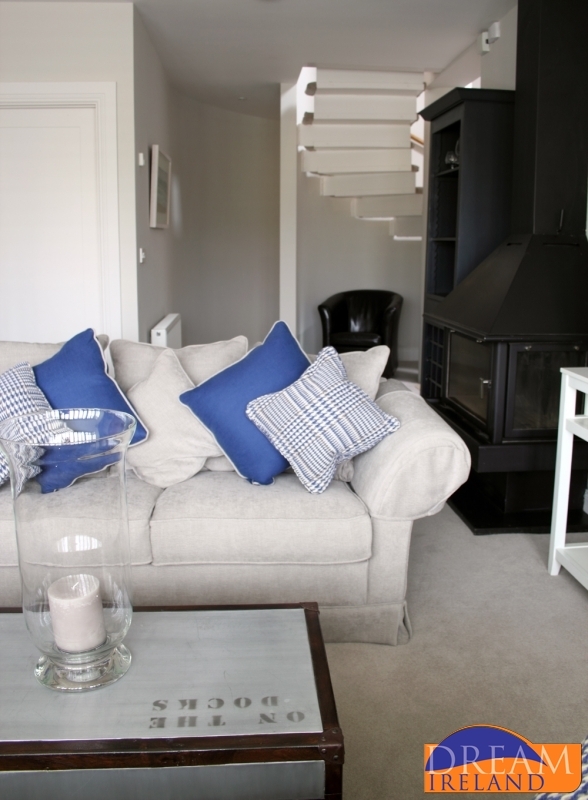 We have special places to stay in the finest luxury holiday homes in Ireland. 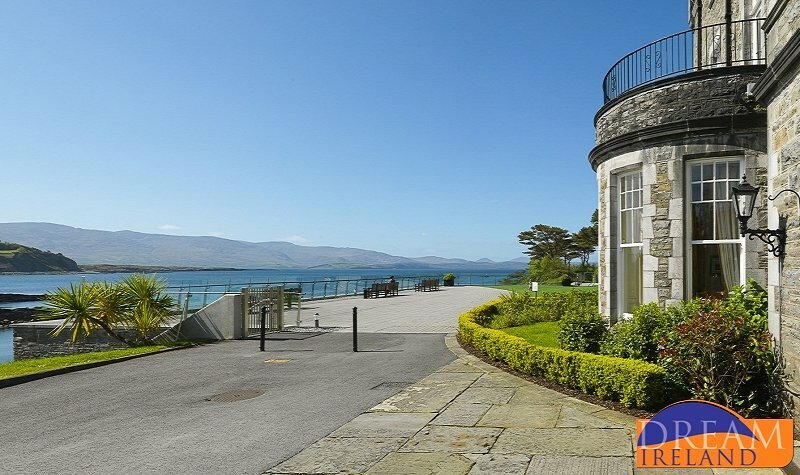 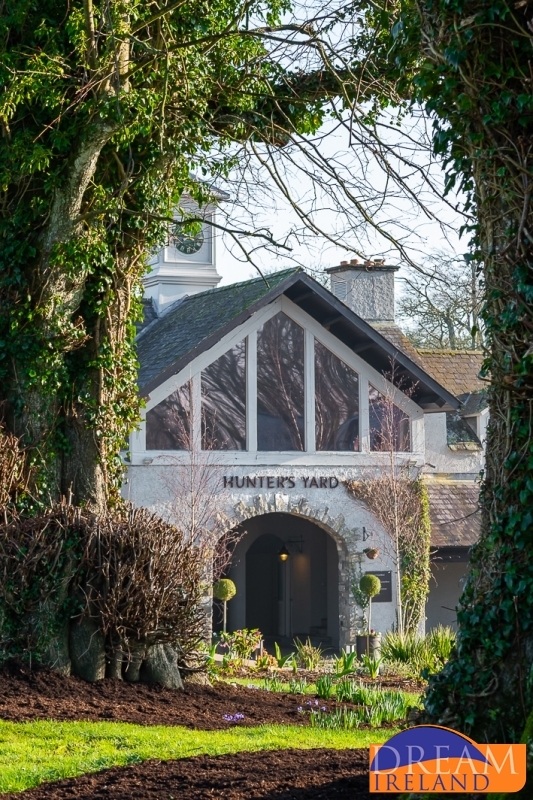 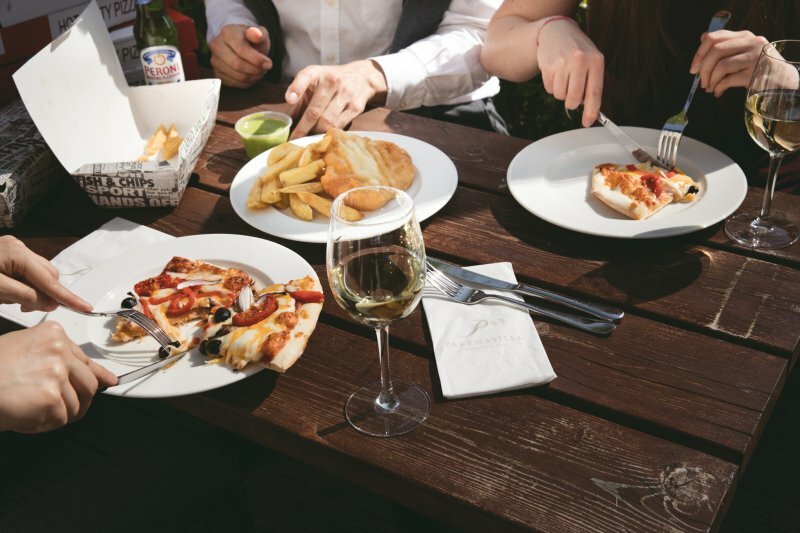 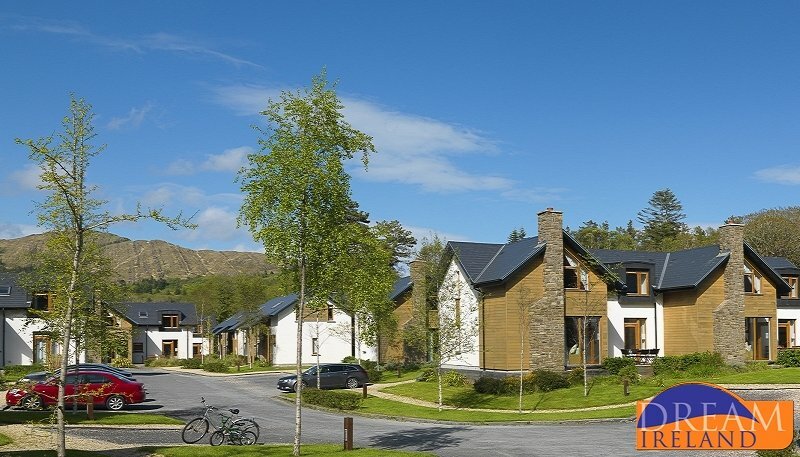 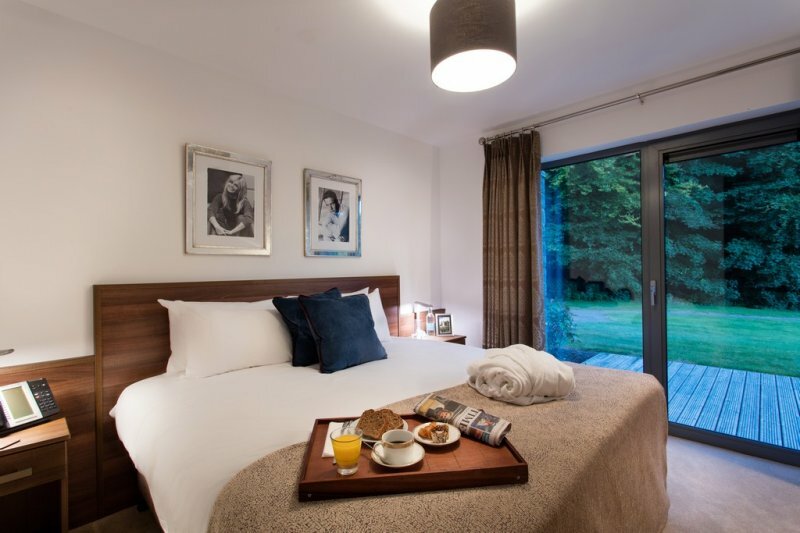 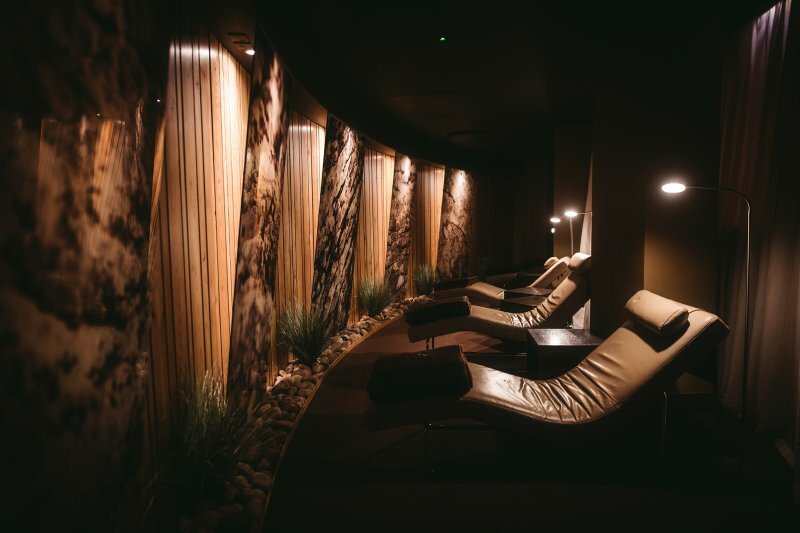 Guests of many of our luxury self-catering holiday homes and villas can also avail of onsite facilities including bar, restaurants, spa and leisure centre access making it easy to relax in an exquisitely designed residence, safe in the knowledge that all facilities of the hotel are but a few steps away. 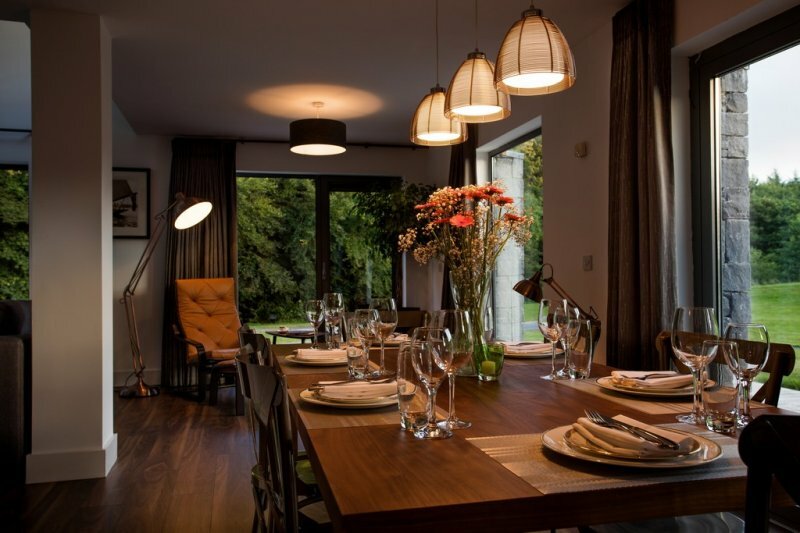 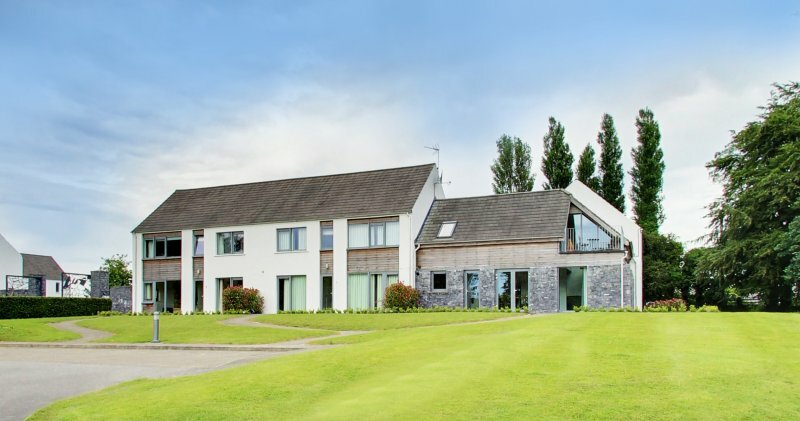 Treat yourself to a holiday in a magnificent luxury self catering Ireland holiday home and experience the charm and allure Ireland has to offer! 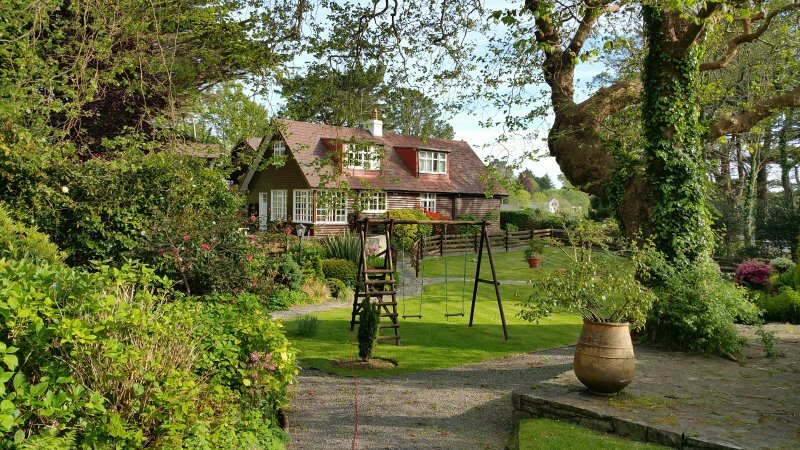 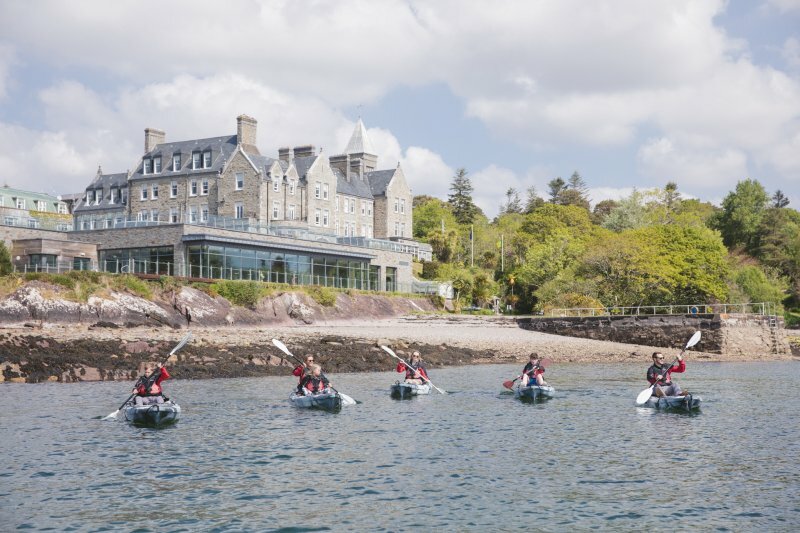 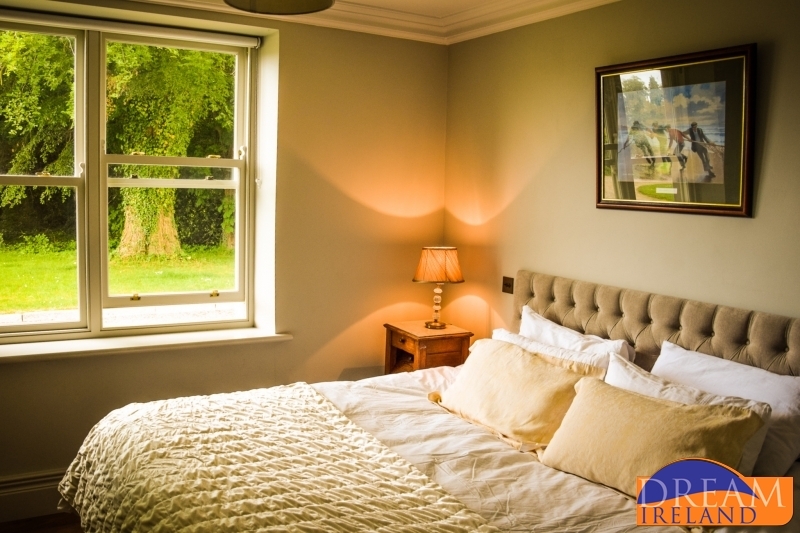 Luxury hideaways and peaceful settings in charming Ireland awaits you. 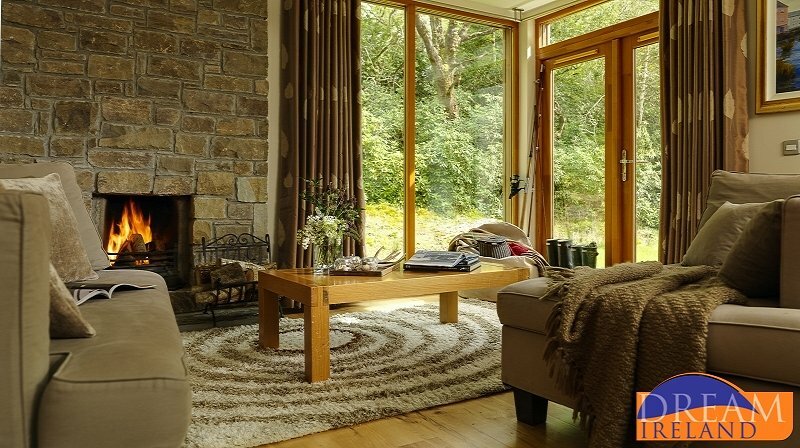 If opulence, comfort, relaxation and serenity are high on your list of preferences then an exclusive self-catering home in Ireland with Dream Ireland Holiday Homes is what you are looking for. 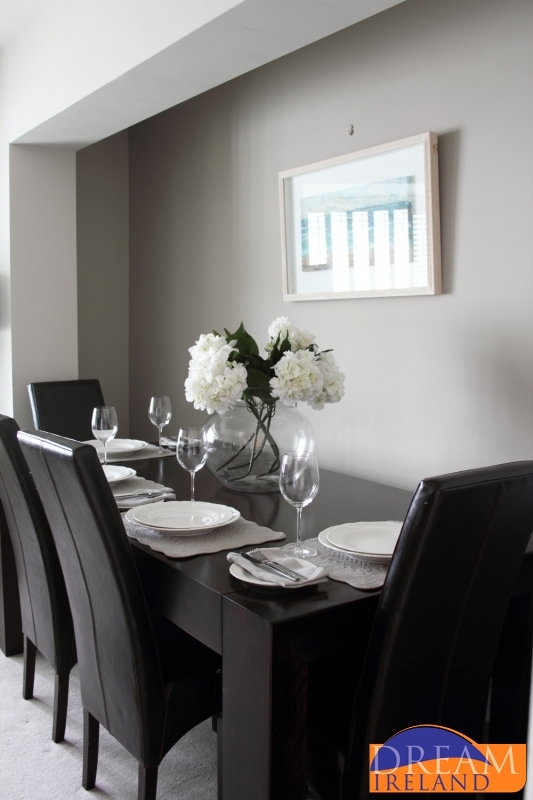 What are the dining options with my luxury holiday home? 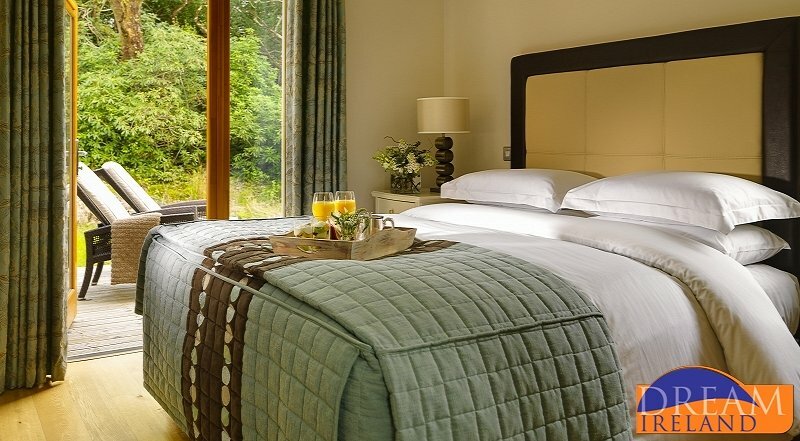 Dream Ireland has a wide range of exquisite, high standard holiday homes, luxury woodland villas and exceptional beachside cottages with both self-catering and onsite dining options in many of our exclusive resorts. 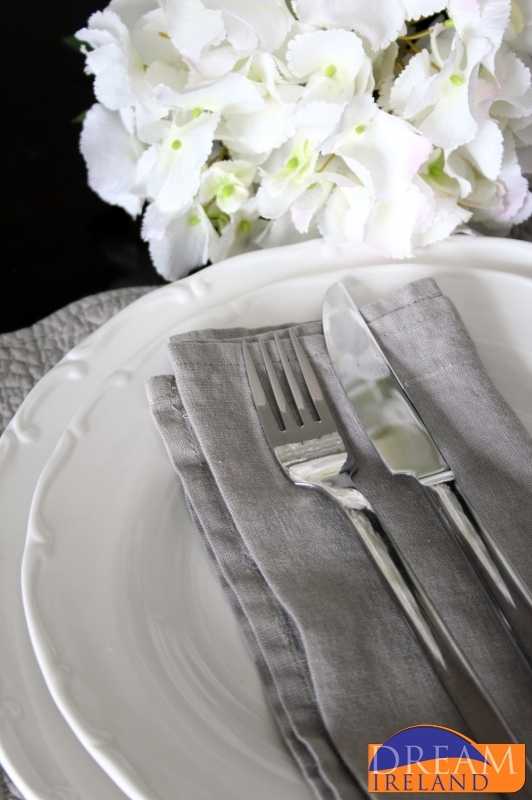 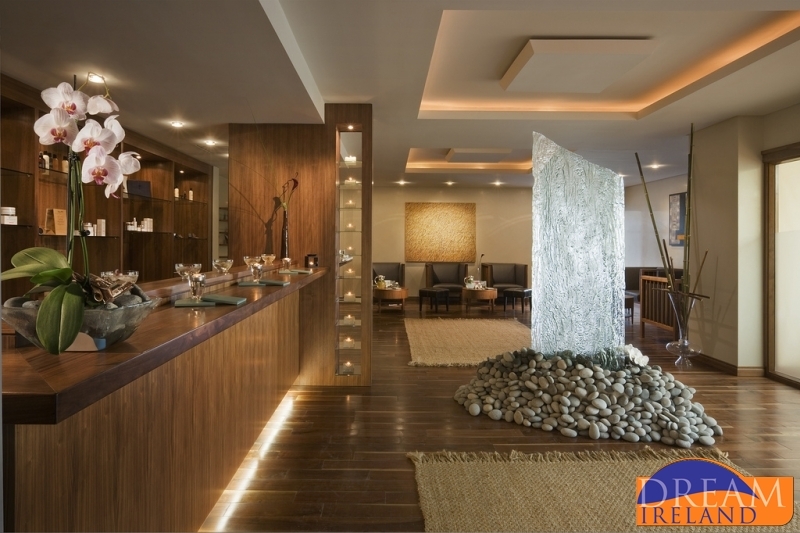 For private residences, you will find an array of local restaurants who cater to all tastes. 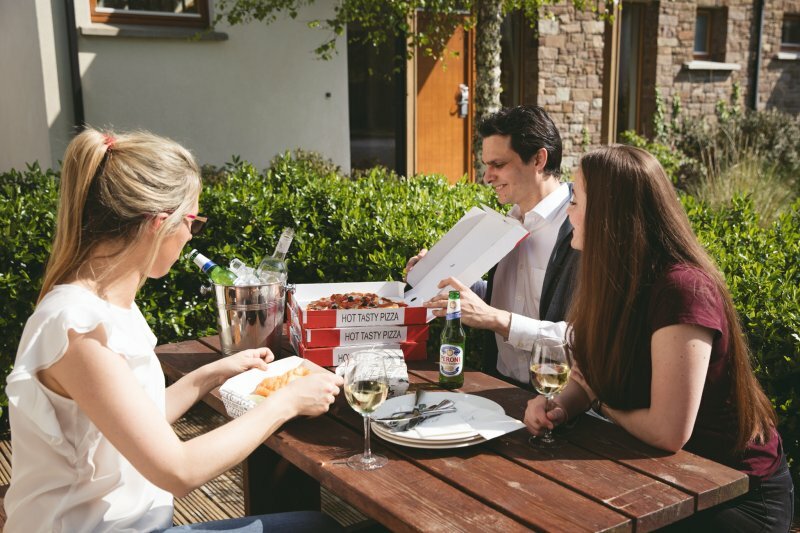 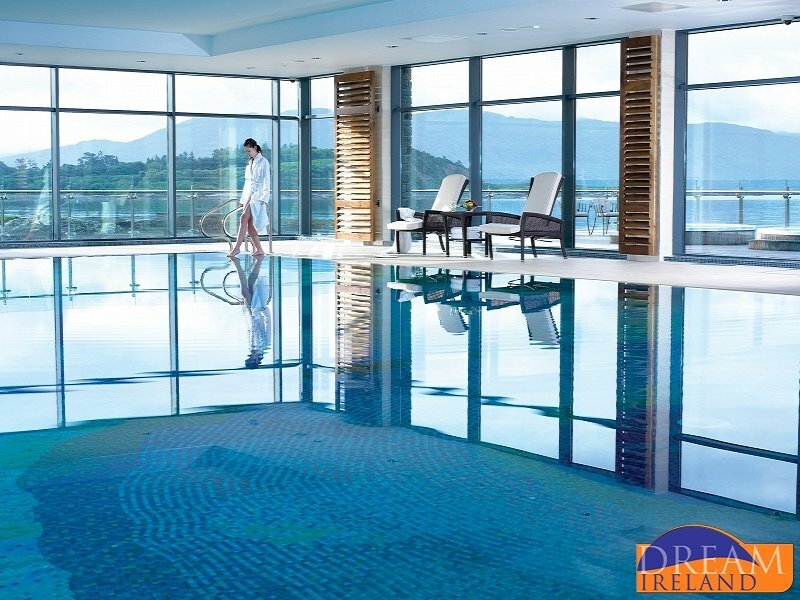 In some of our more exclusive holiday homes we may be able to organise private caterers, please enquire with Dream Ireland prior to booking. 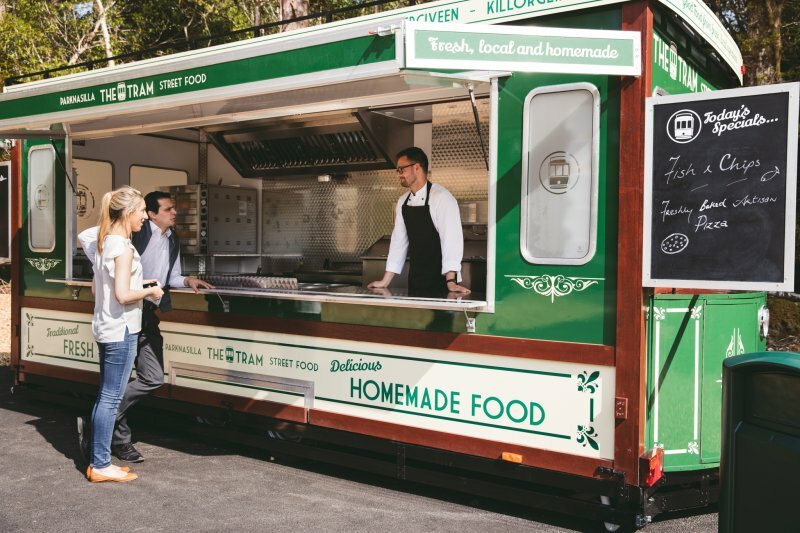 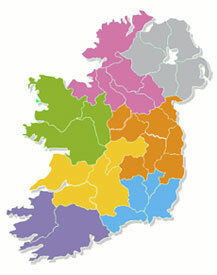 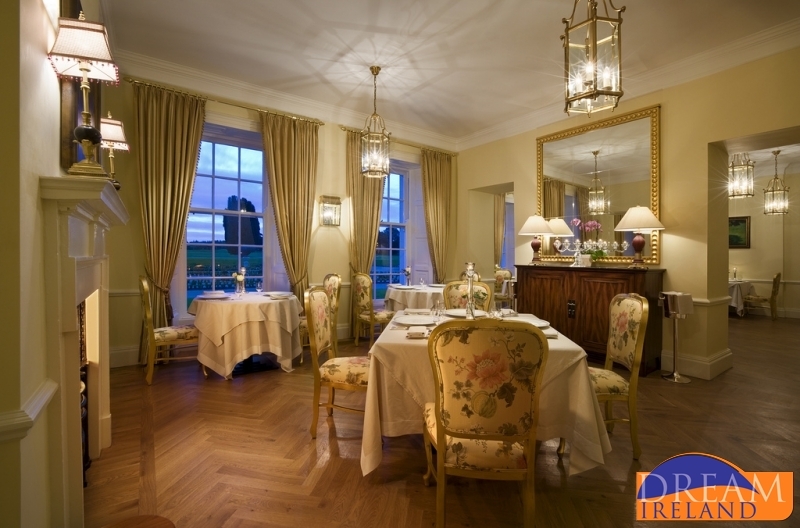 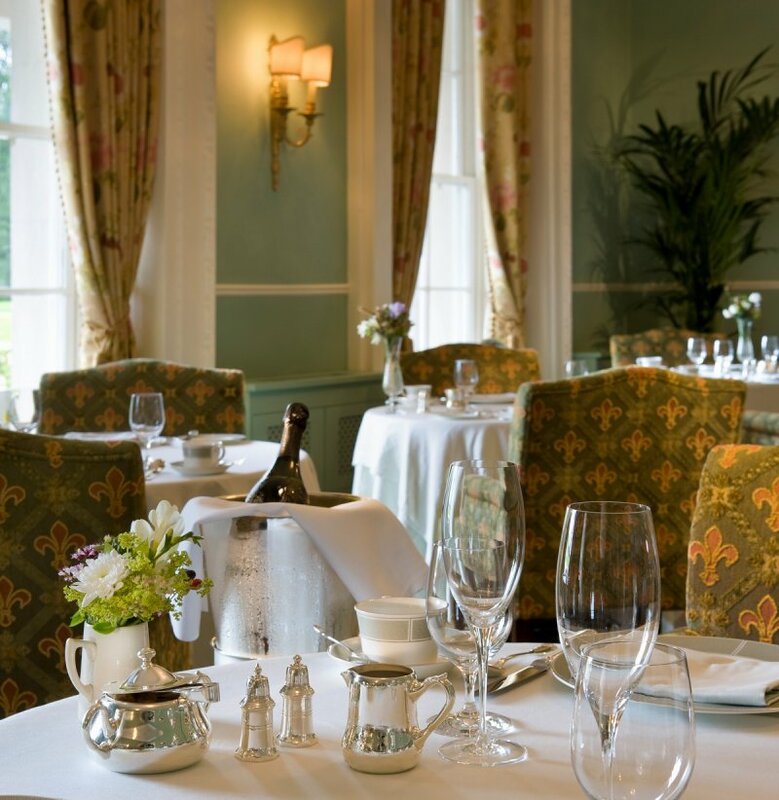 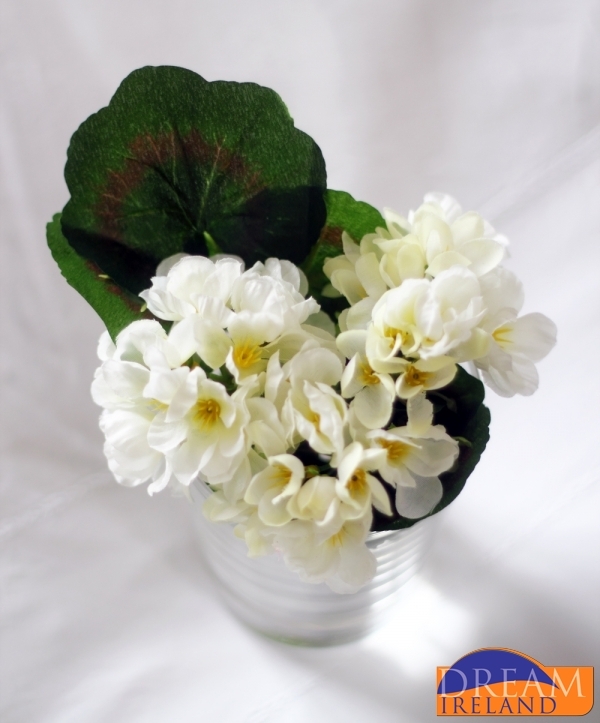 If private caters are something you are interested in Dream Ireland will be delighted to advise you of your options. 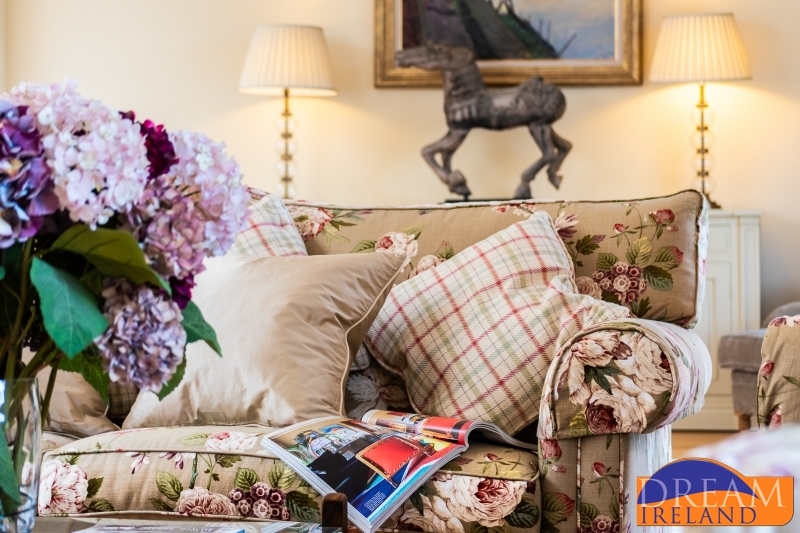 Each exclusive cottage is designed with the guest's ultimate comfort in mind, it is tasteful in its décor, stylish in its choice of furnishings and fabrics and creative in its extravagance. 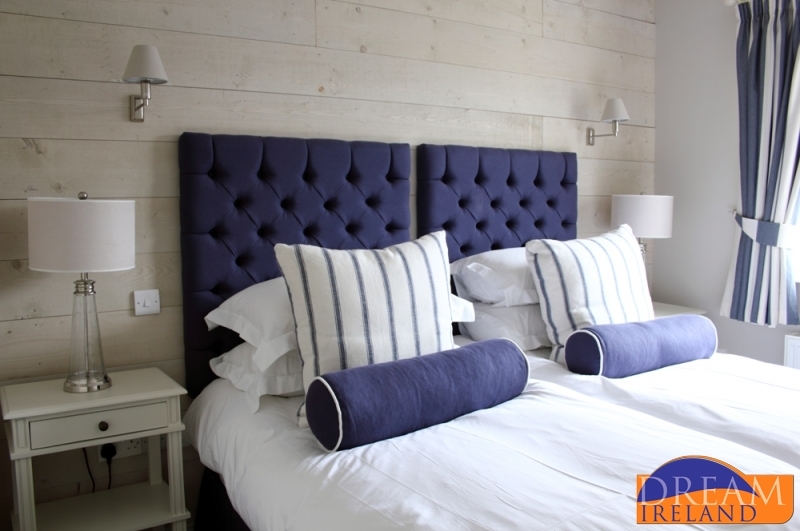 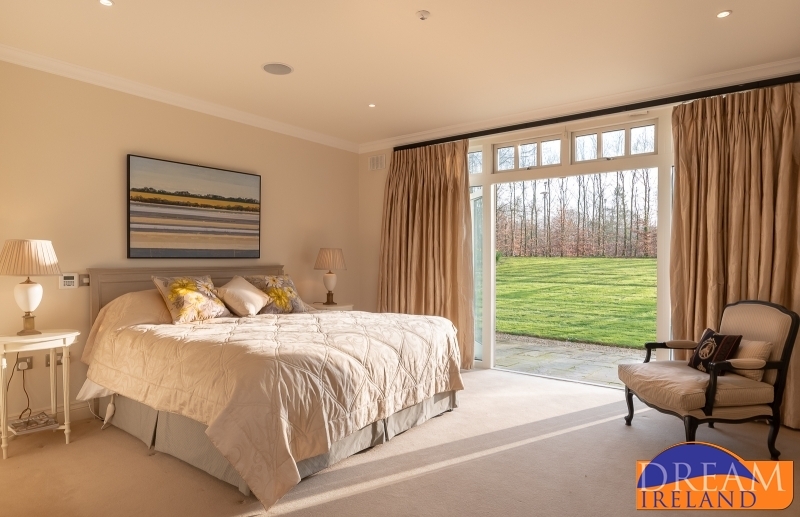 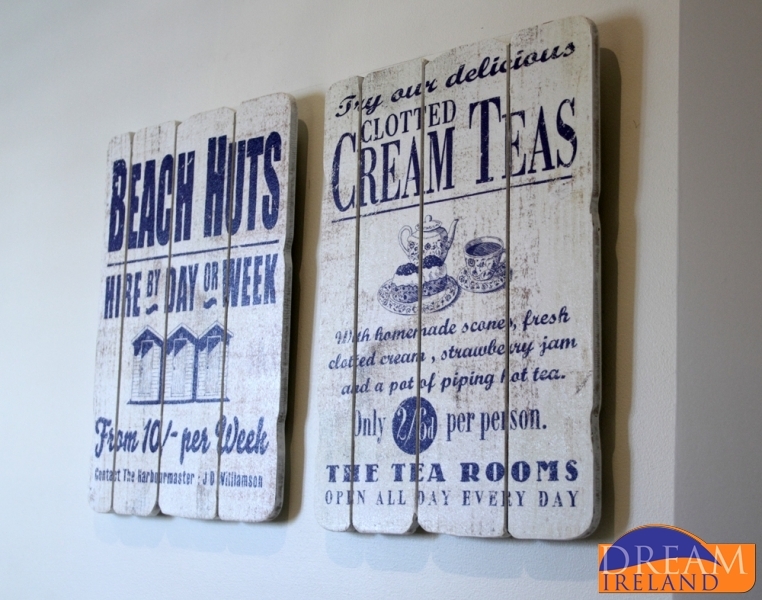 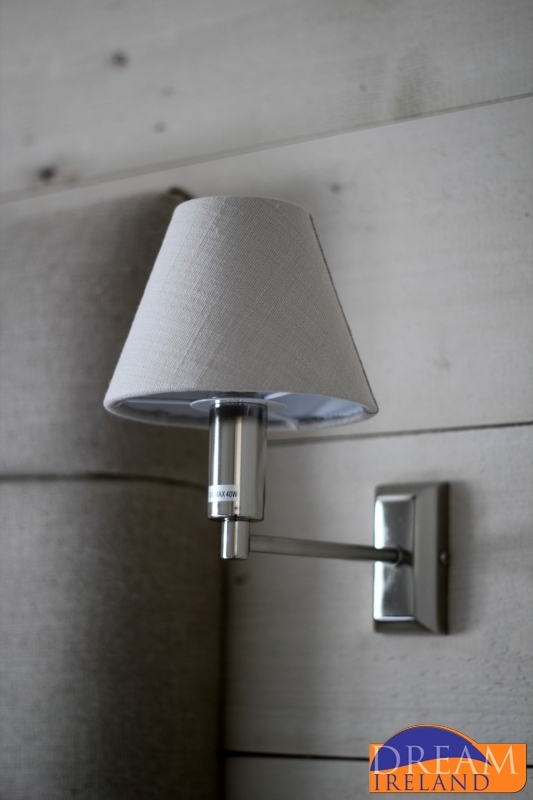 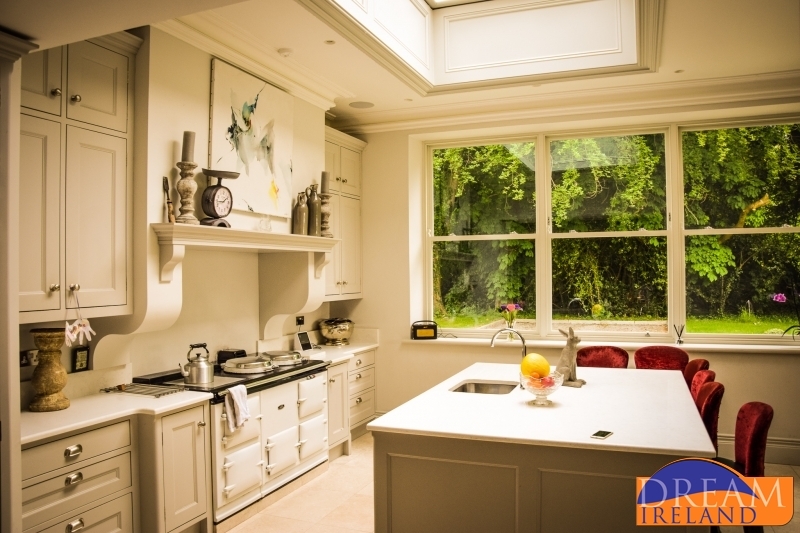 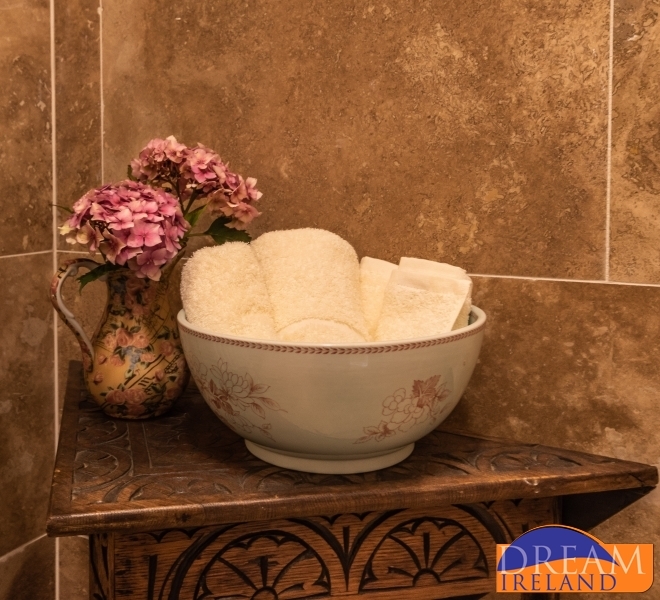 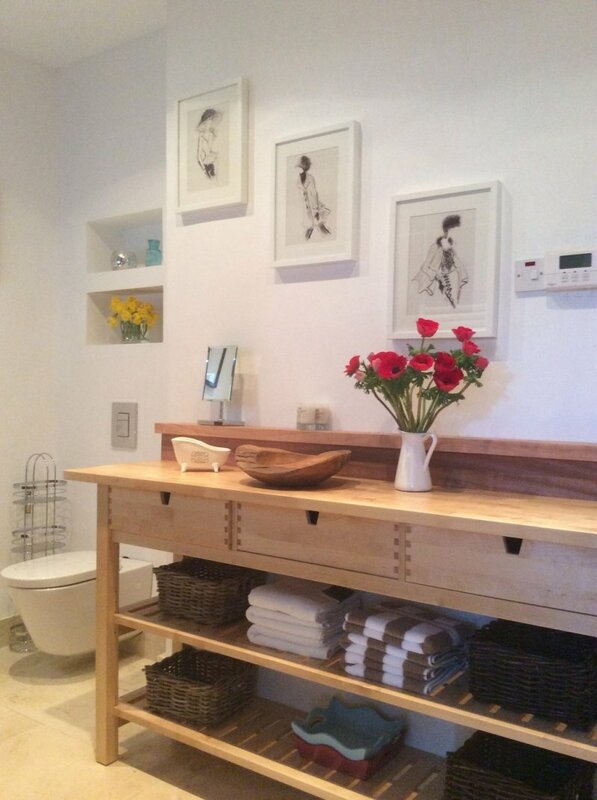 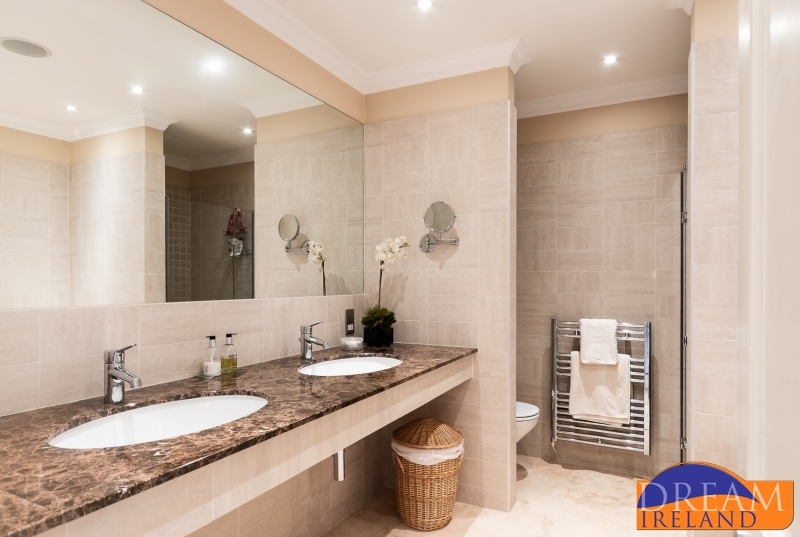 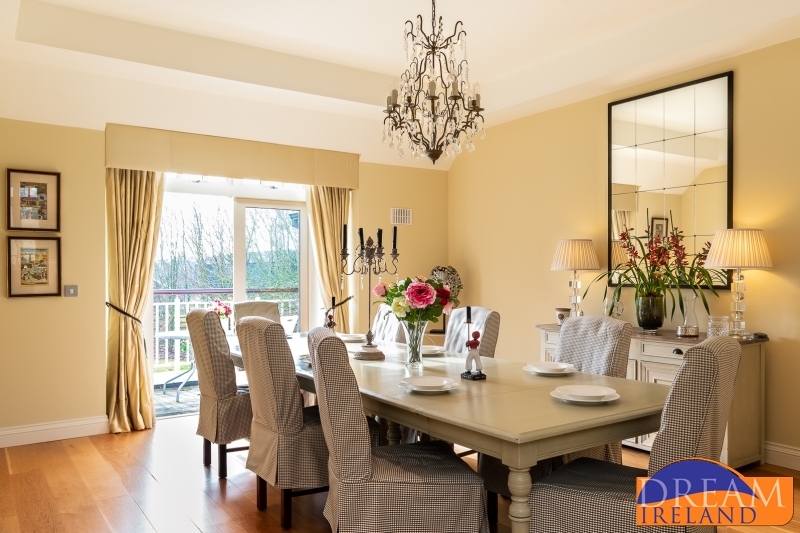 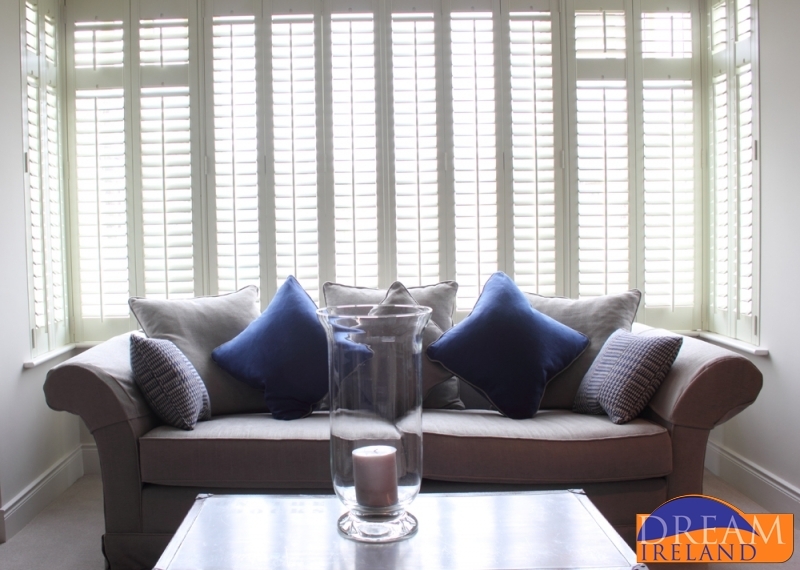 Each of Dream Ireland's luxury villas has its own character through its interiors. 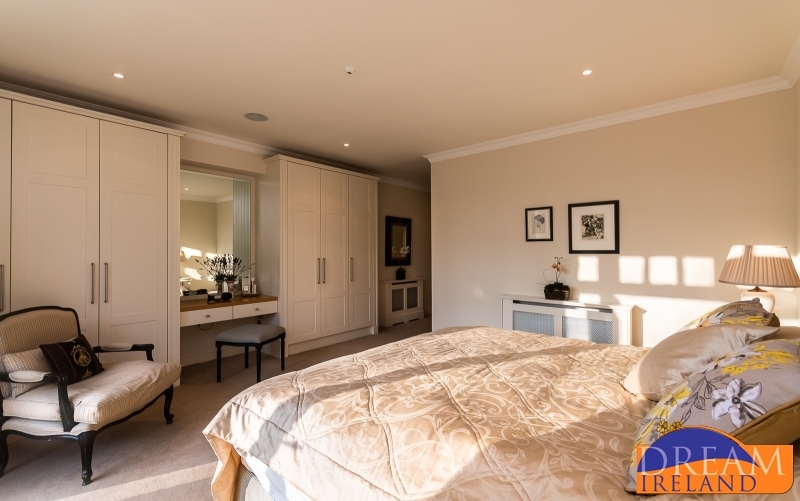 The splendid fabrics and furnishings complement the design to portray a truly wonderful residence for its guests where attention to detail is unsurpassed. 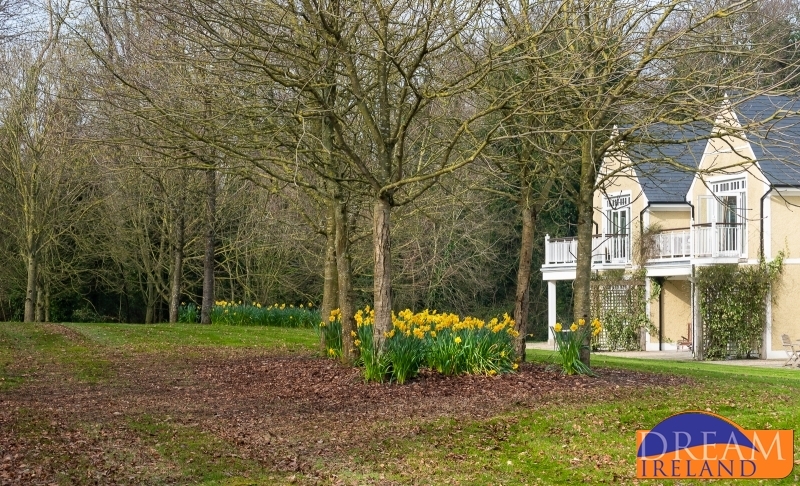 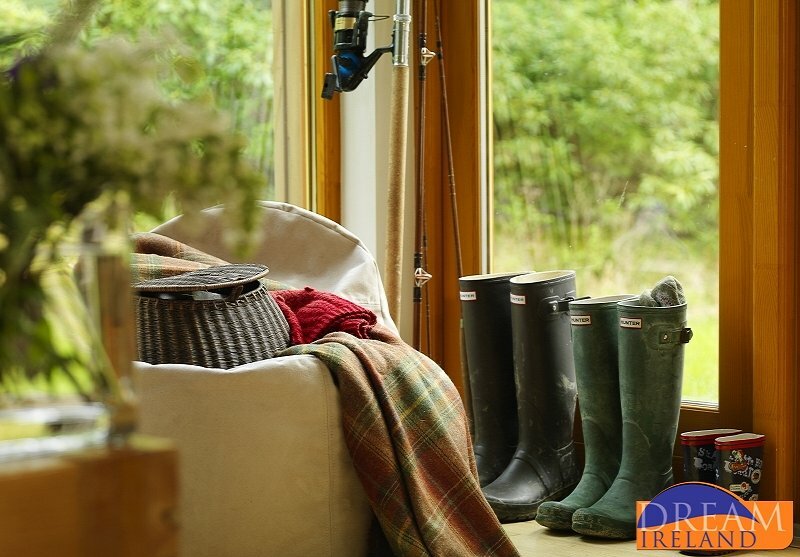 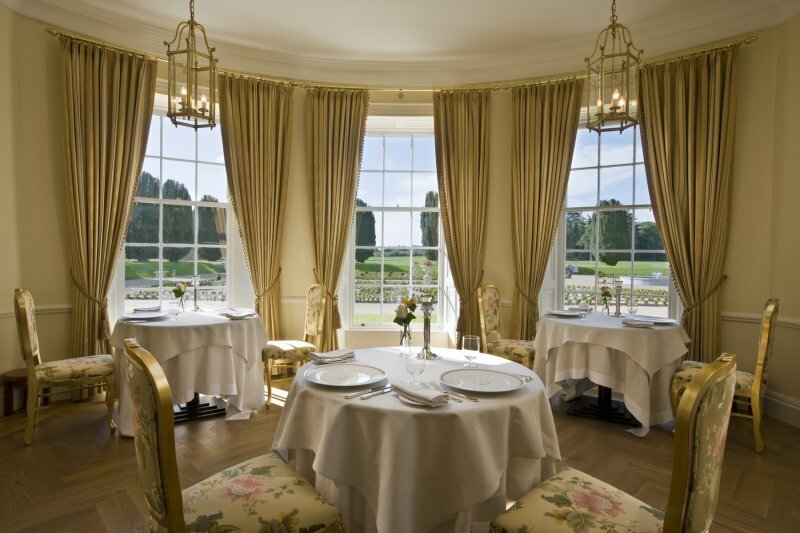 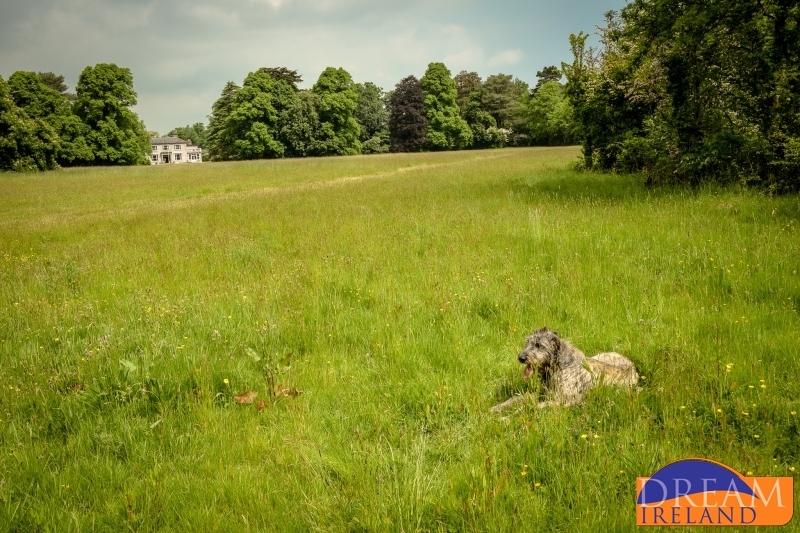 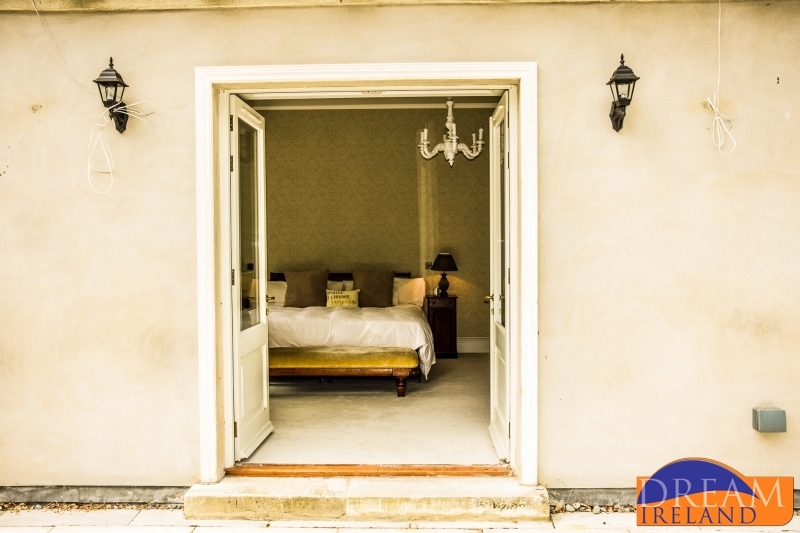 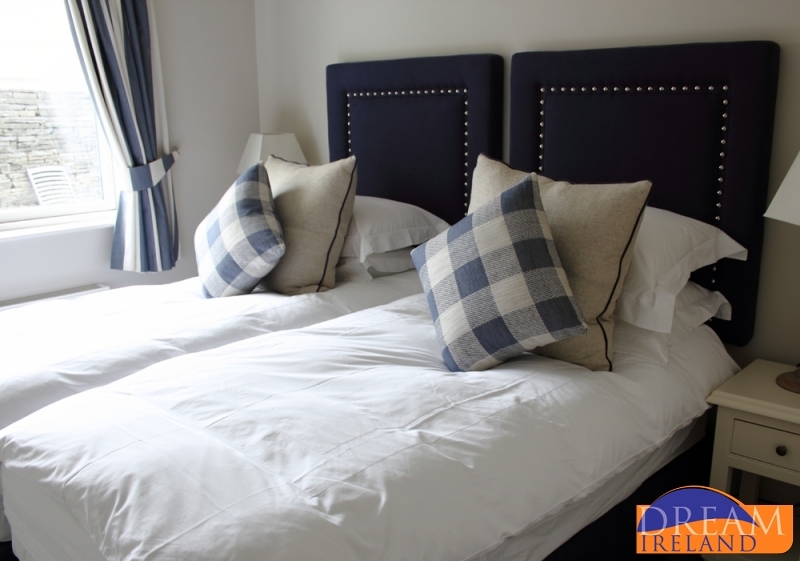 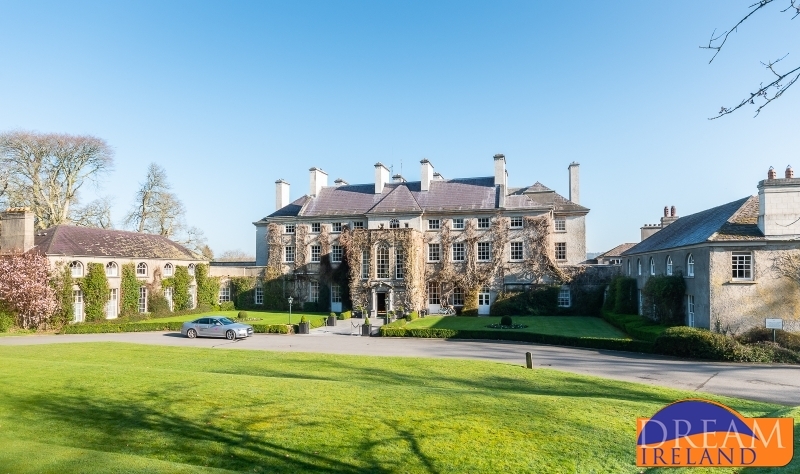 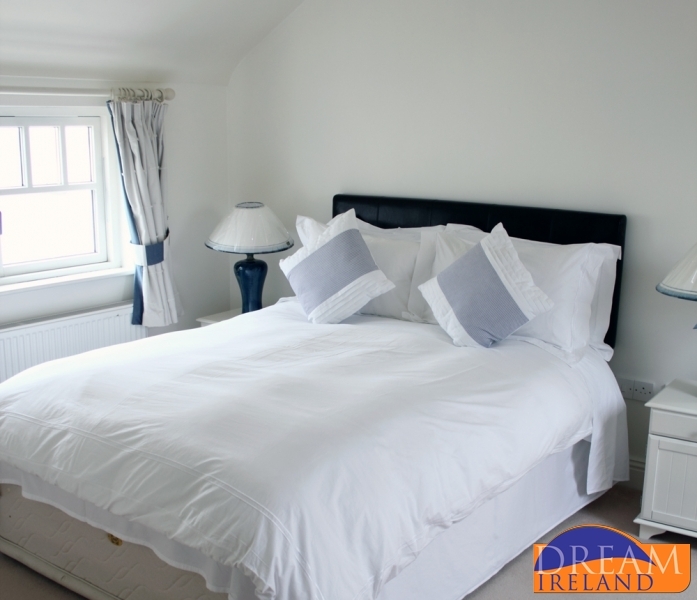 Dream Ireland can offer exclusive house rental where guests can take over a full house and country retreat exclusively. 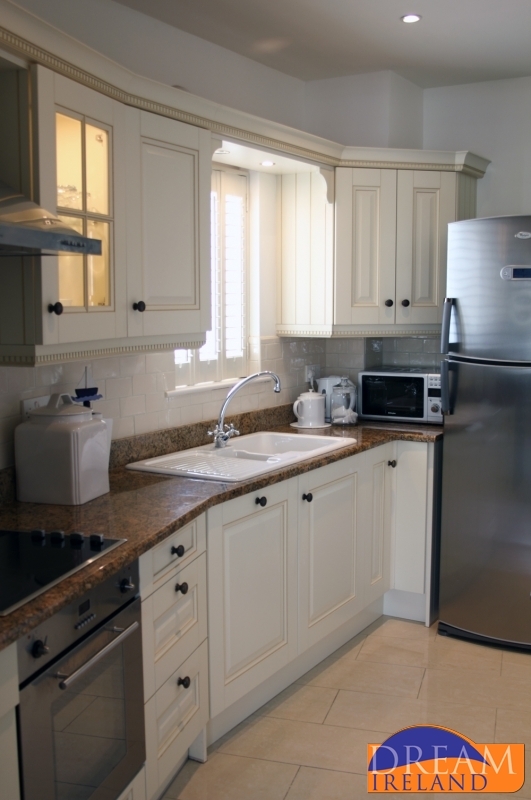 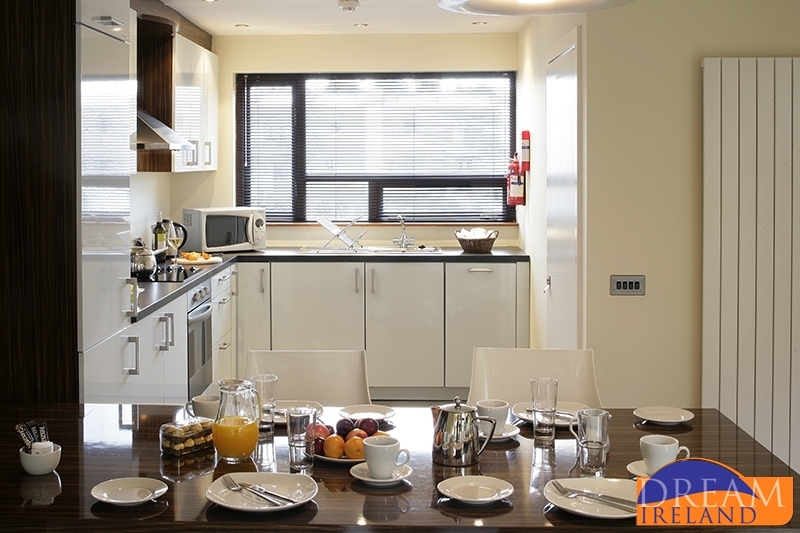 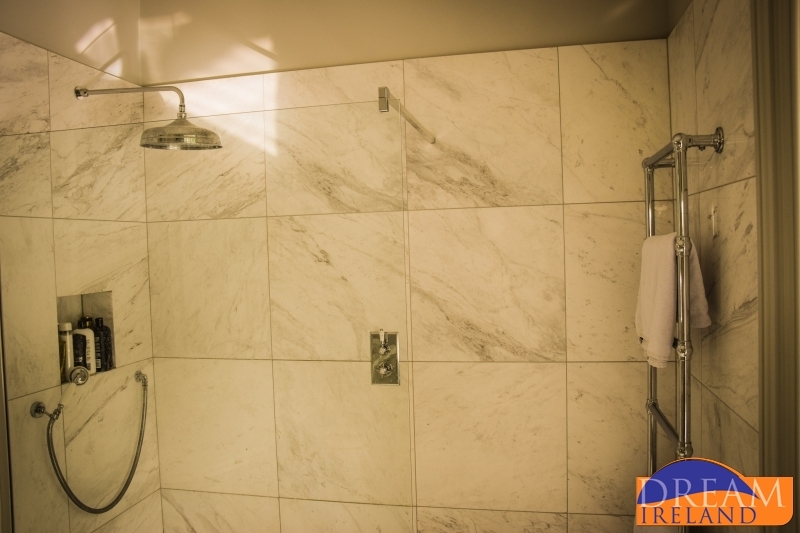 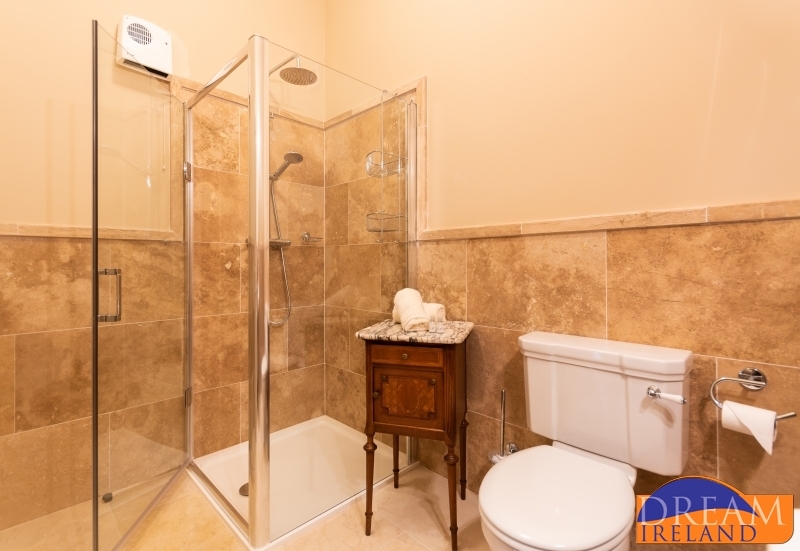 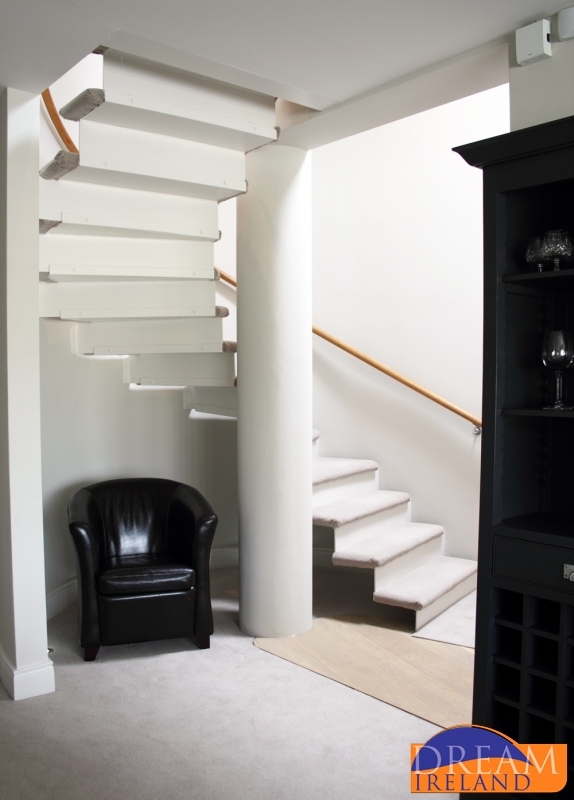 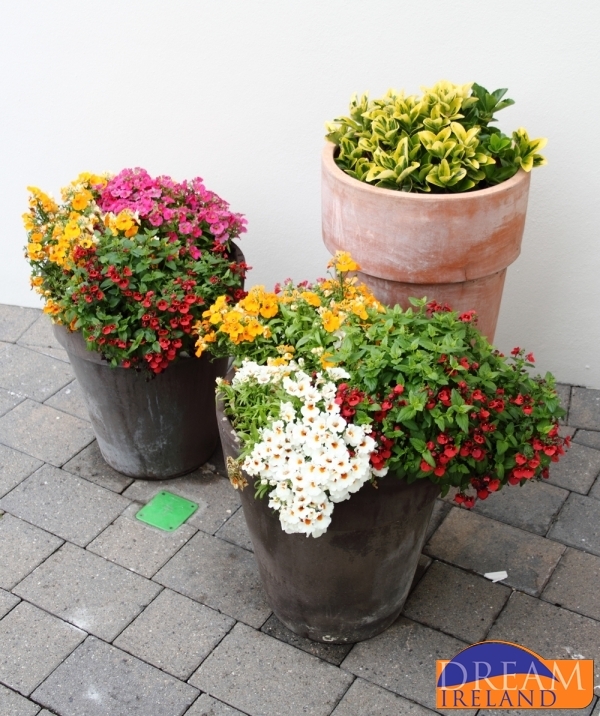 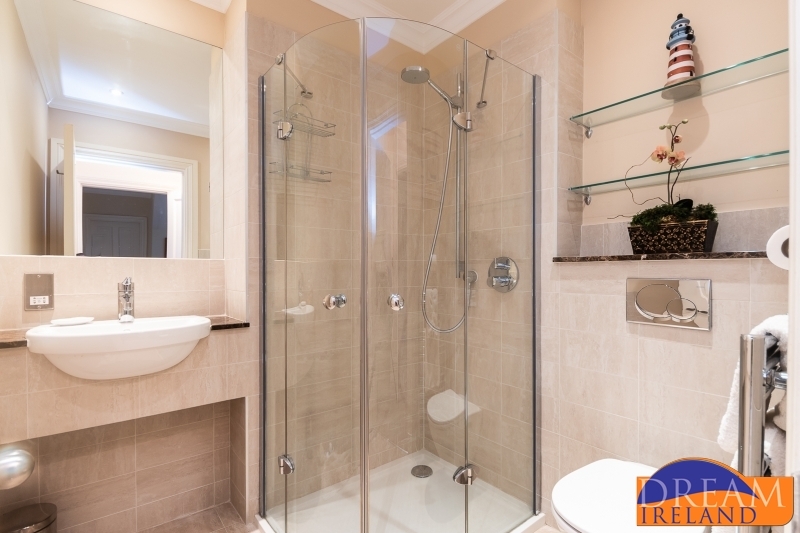 Our private rental facility is equally attractive for families and friends or for business associates alike. 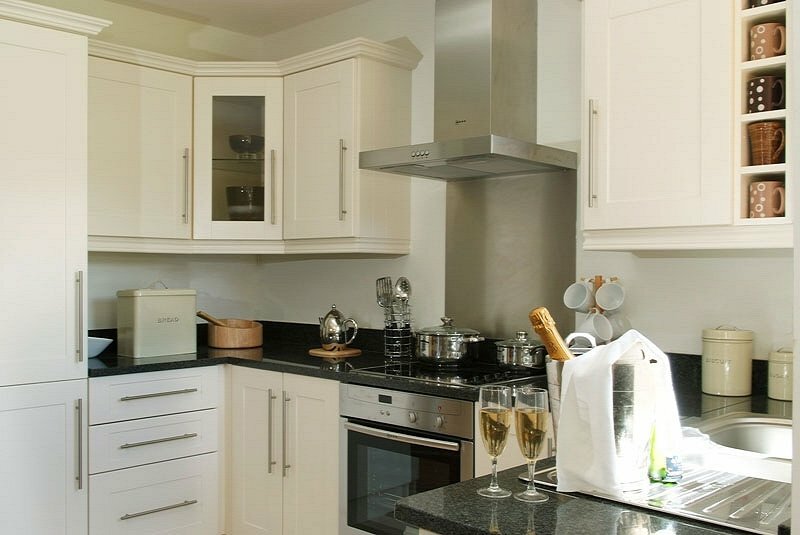 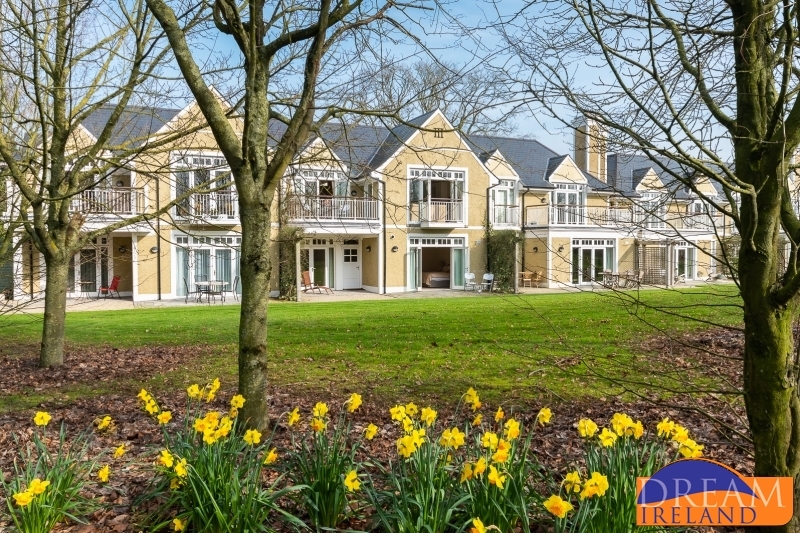 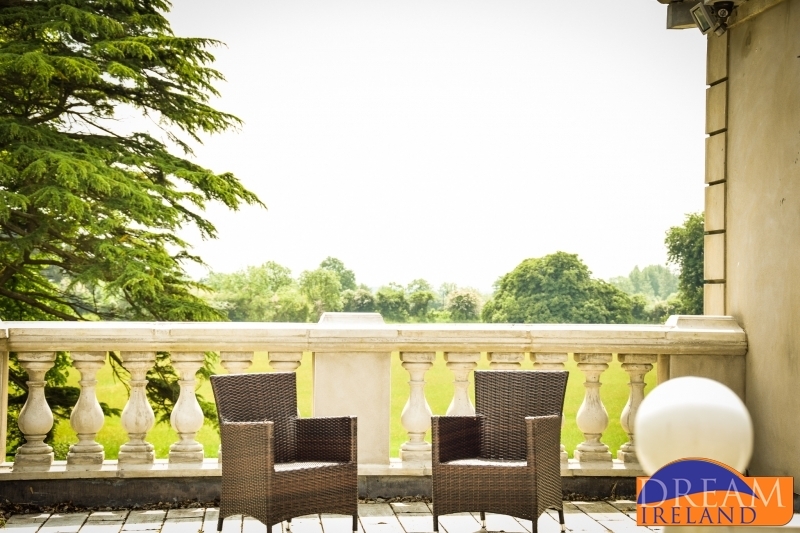 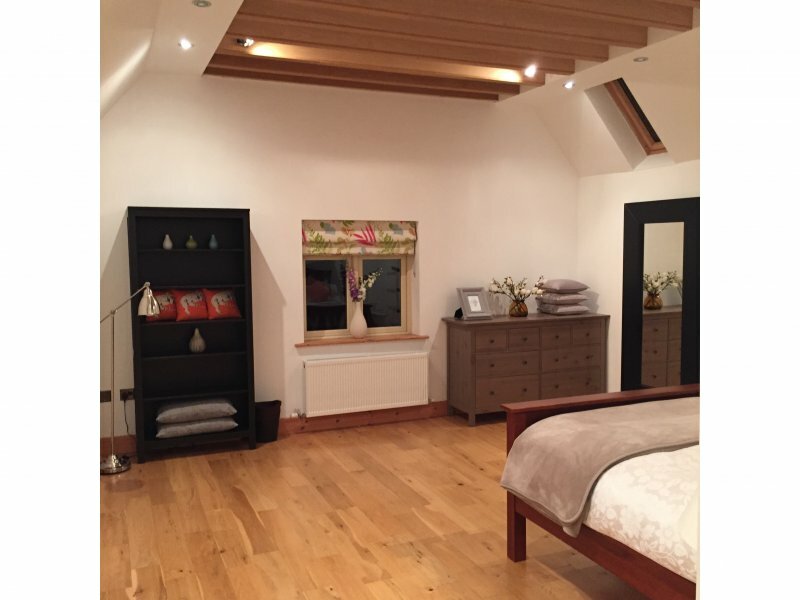 An exclusive private home rental is the perfect way to celebrate a special occasion such as a family reunion, an anniversary, an engagement or a major birthday or even a small wedding; as a base for a cultural or sporting event, or simply for a group of friends who would like to get away from it all! 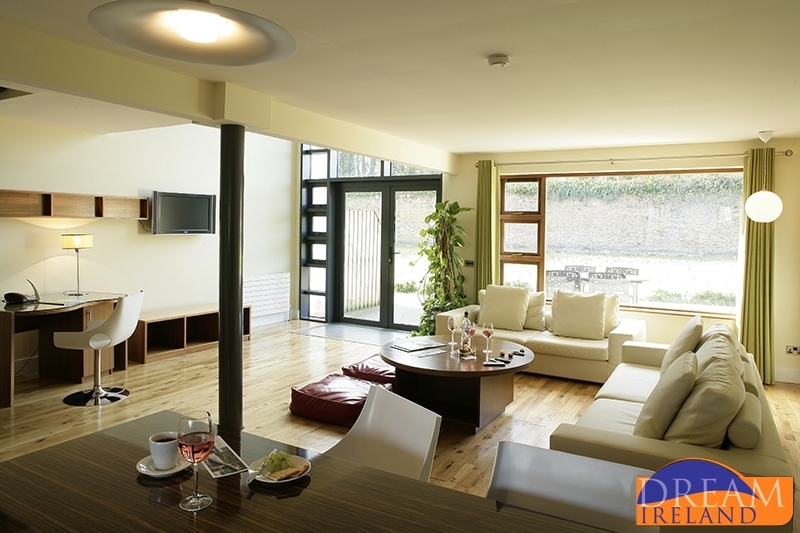 And Dream Ireland Holiday Homes even has a mansion which can accommodate up to 20 guests comfortably. 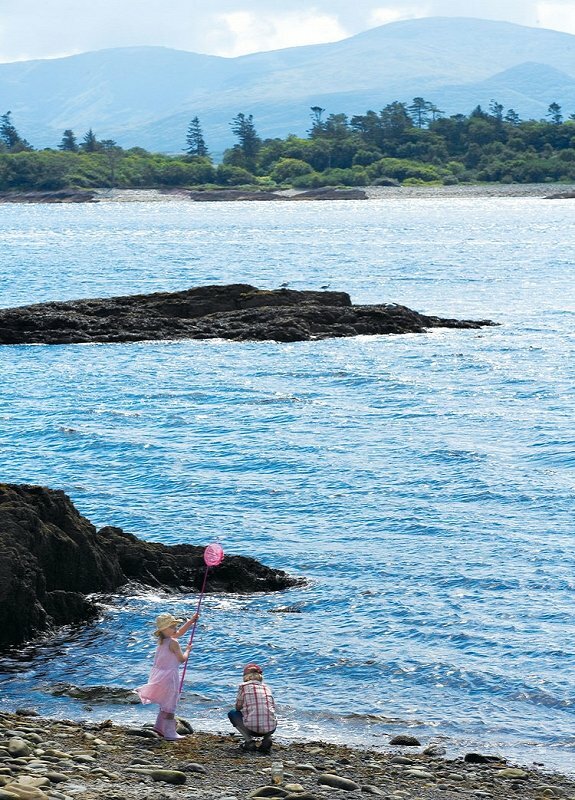 Can we bring our children on our Luxury vacation? 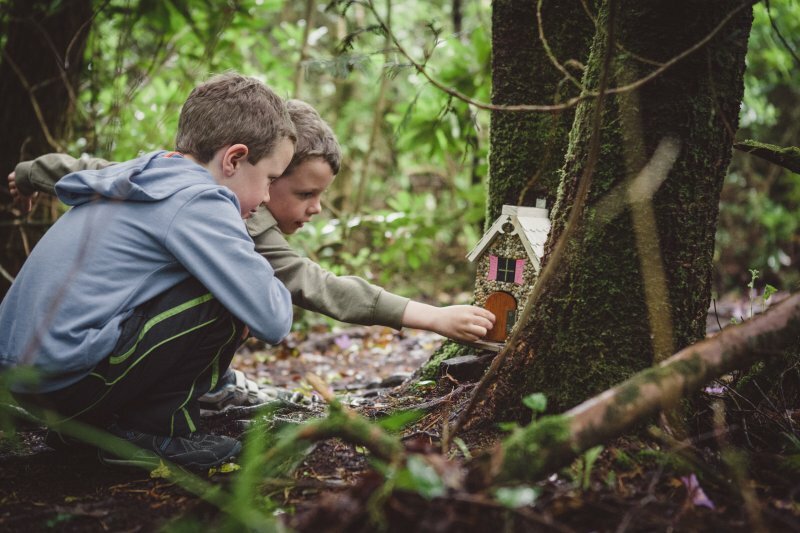 Yes, most of our luxury homes are very child friendly (however please enquire with Dream Ireland prior to booking as some homes are exclusively adults only). 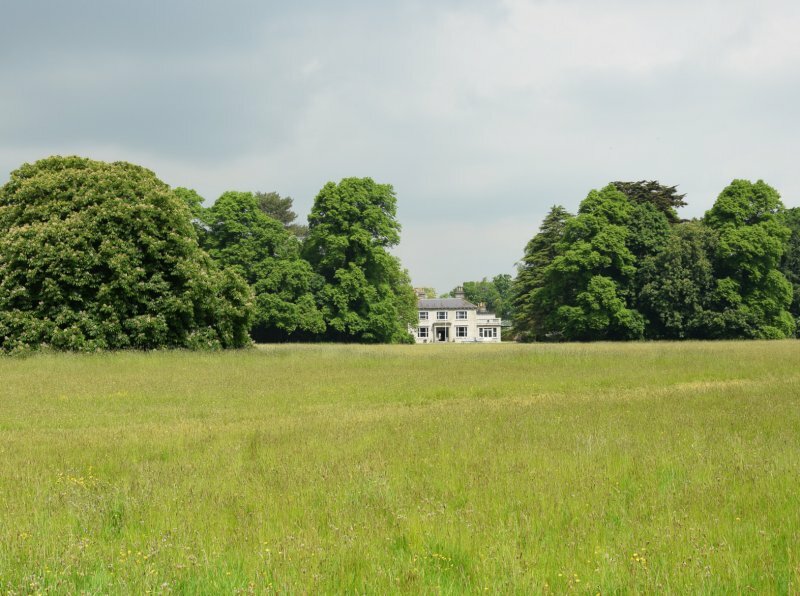 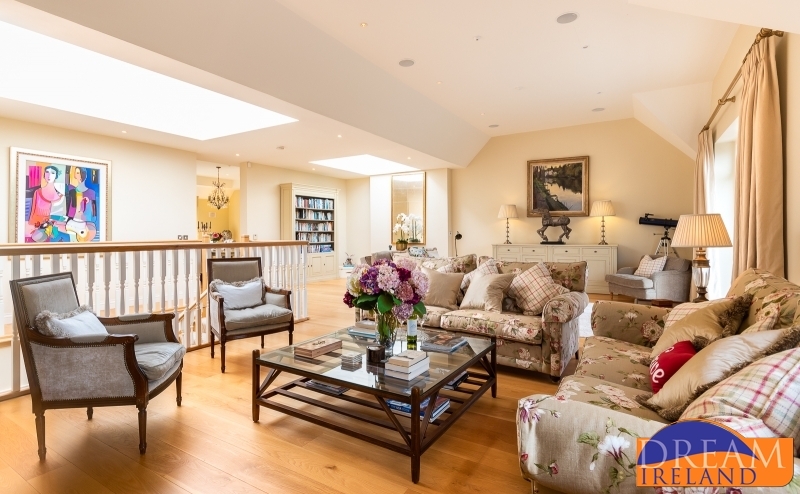 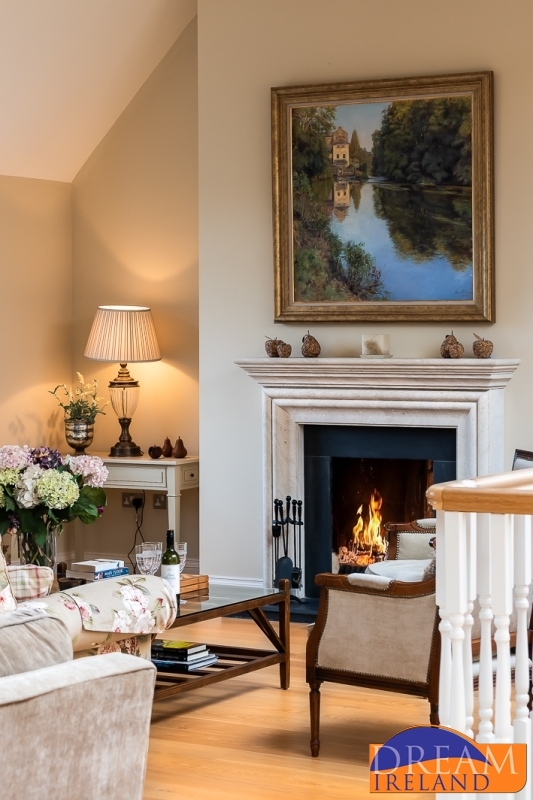 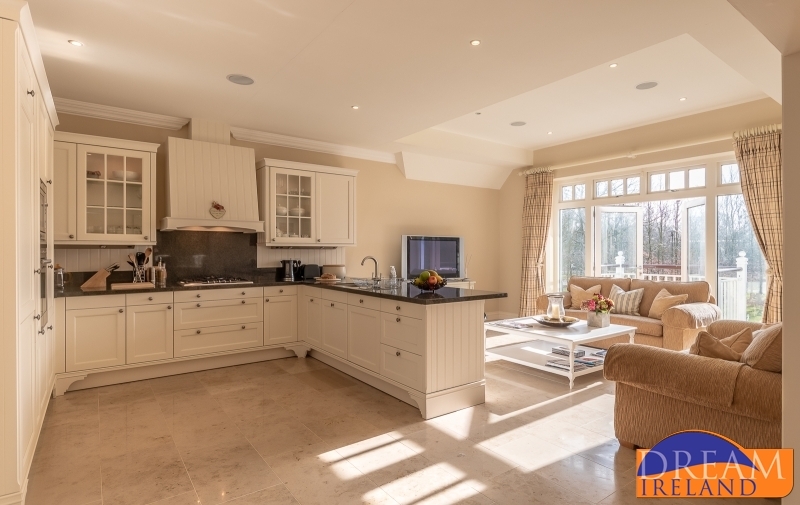 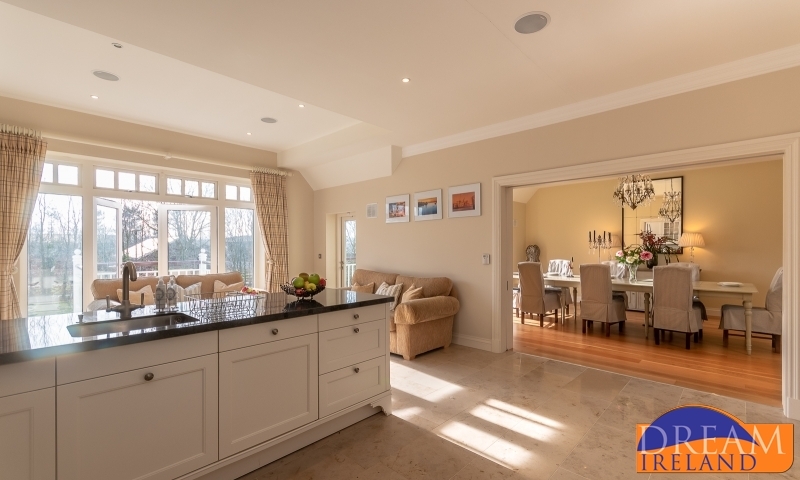 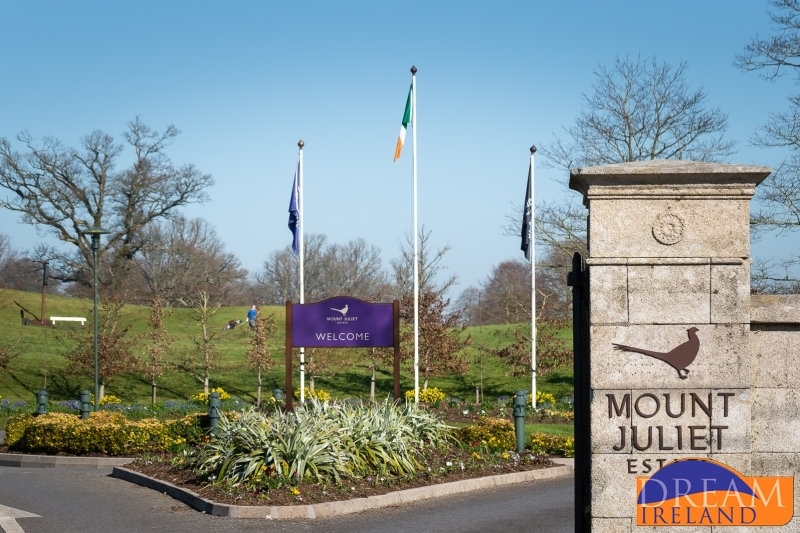 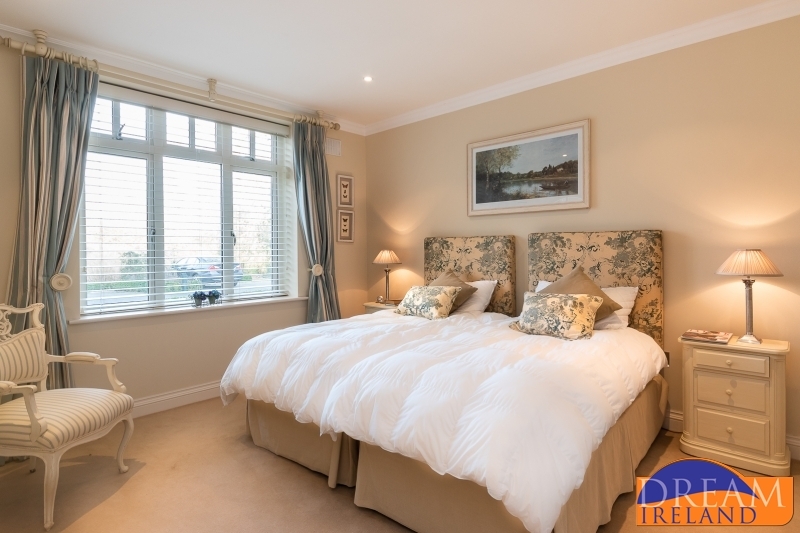 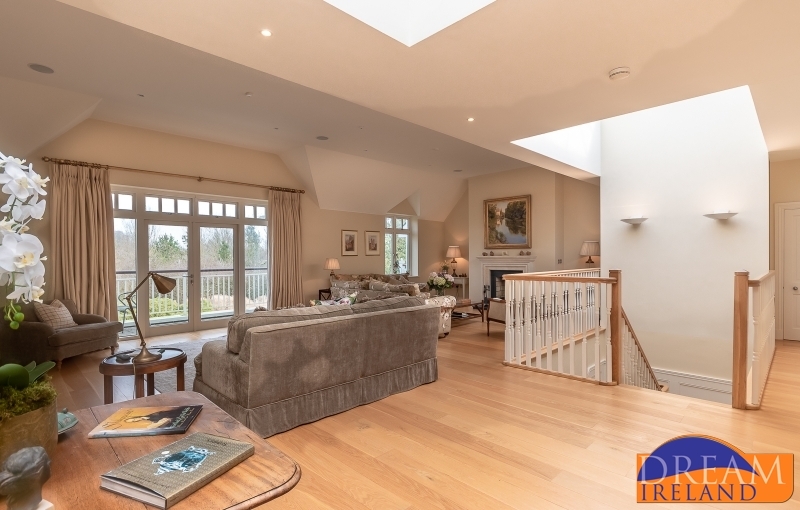 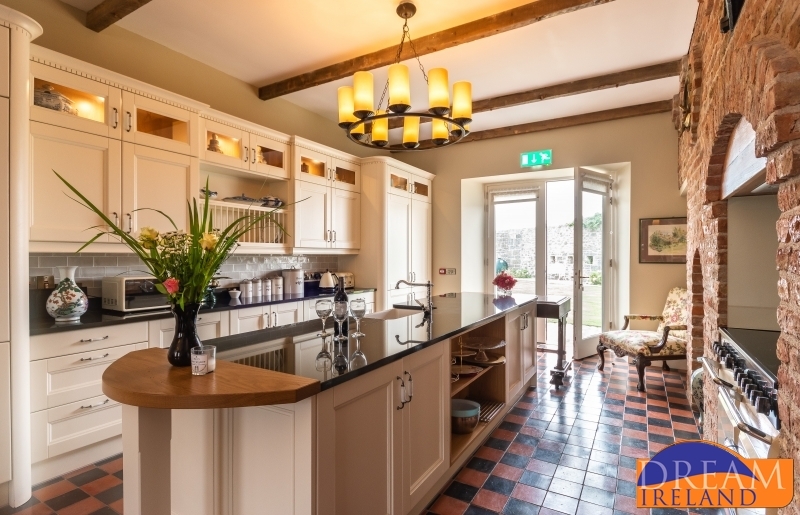 Set on the wonderful Mount Juliet Estate in Kilkenny, 7 The Gallops is the ideal country retreat from the hustle and bustle of daily life. 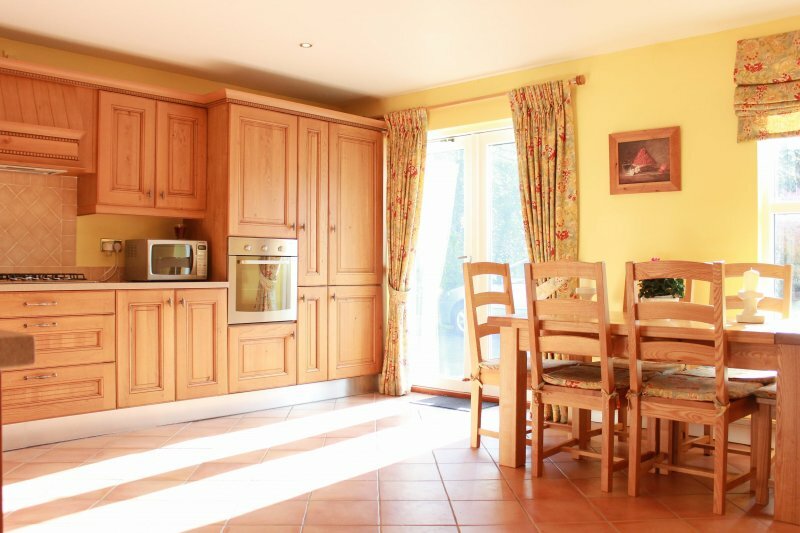 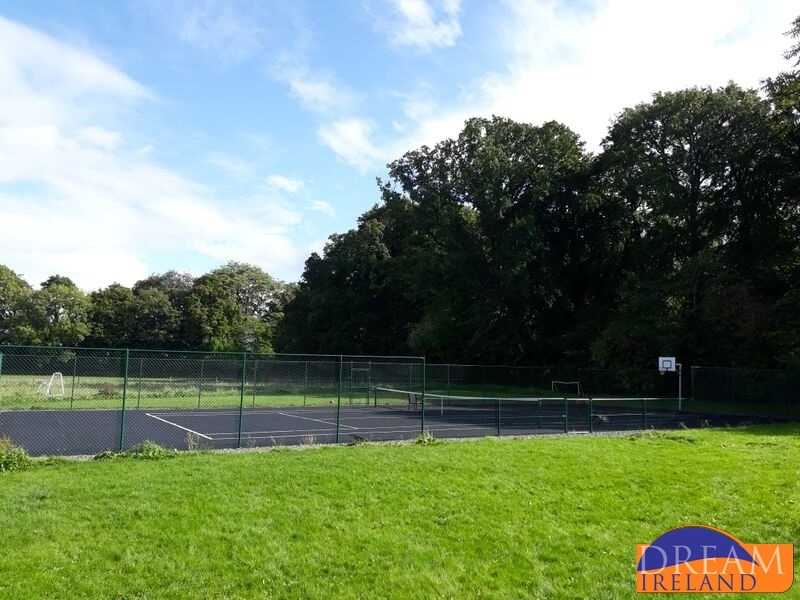 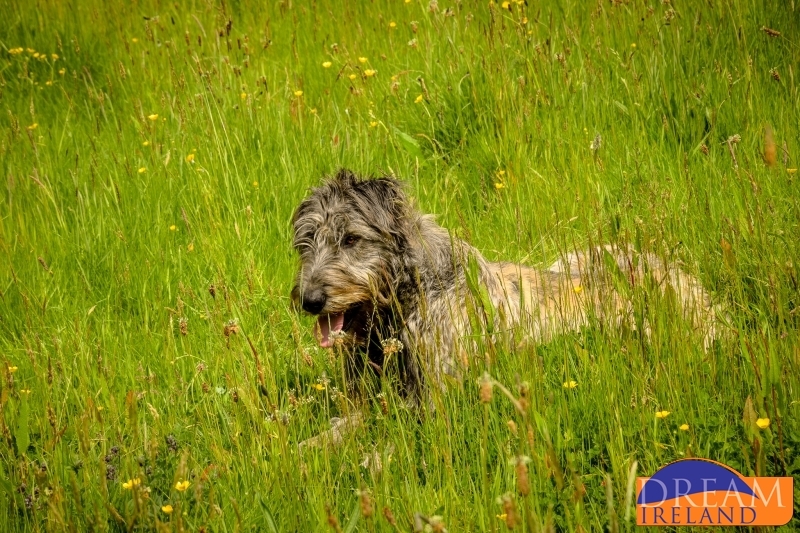 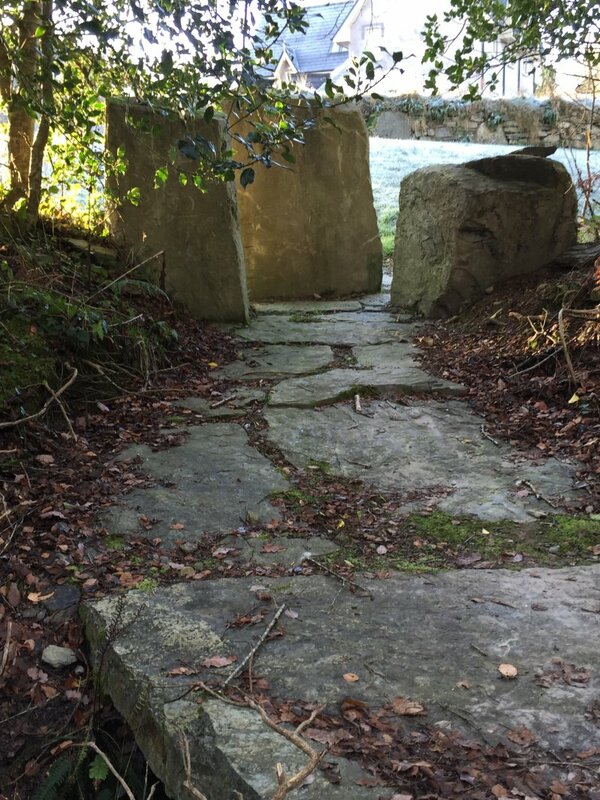 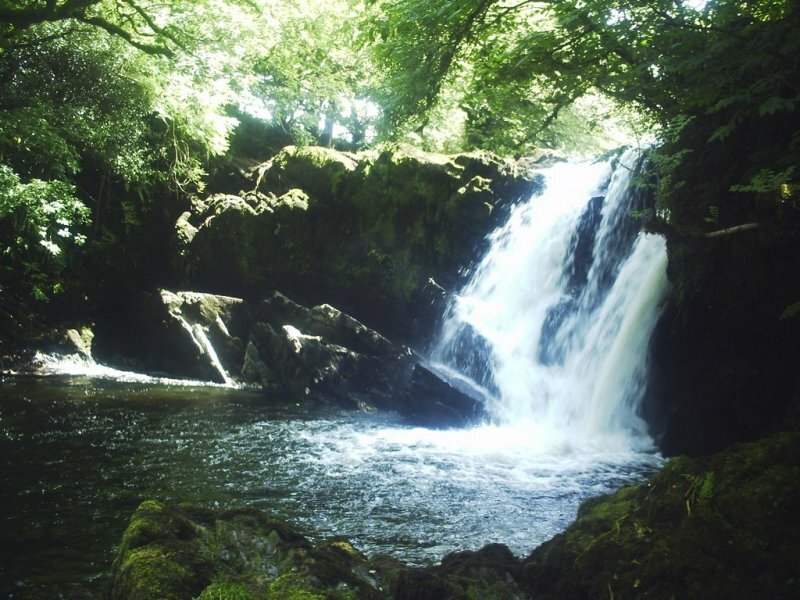 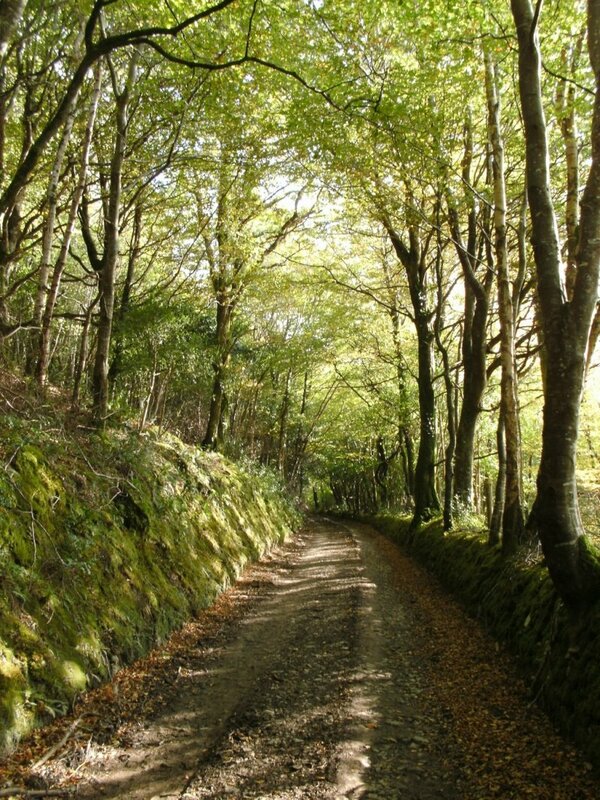 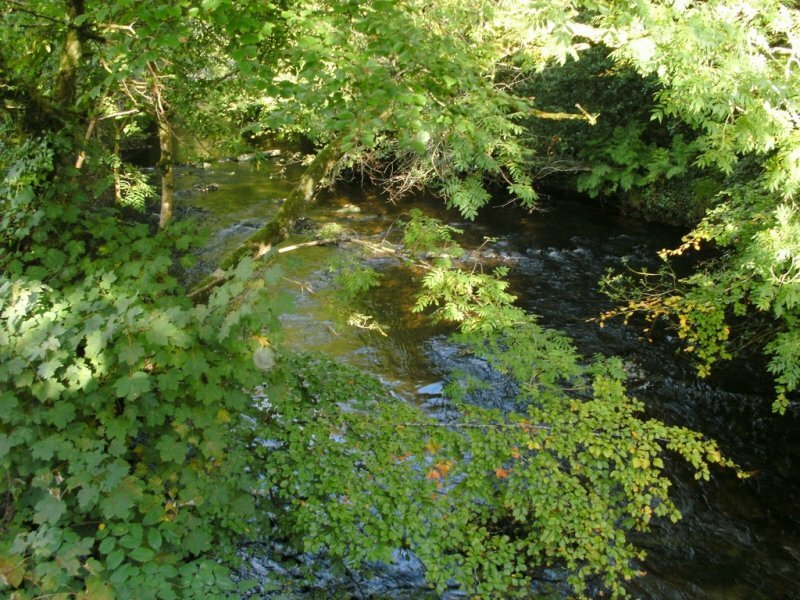 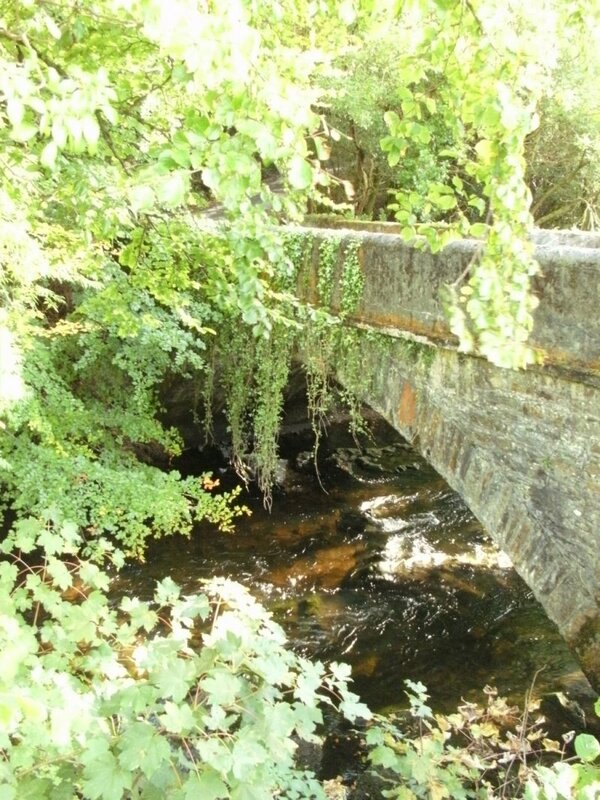 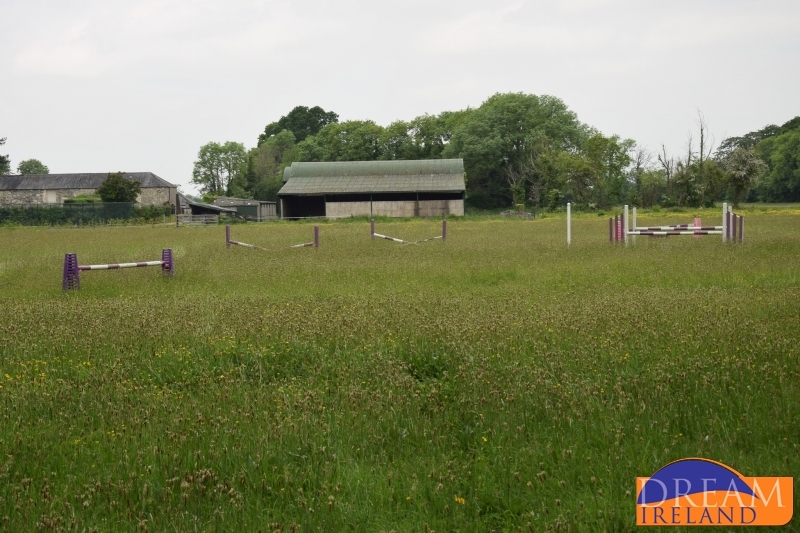 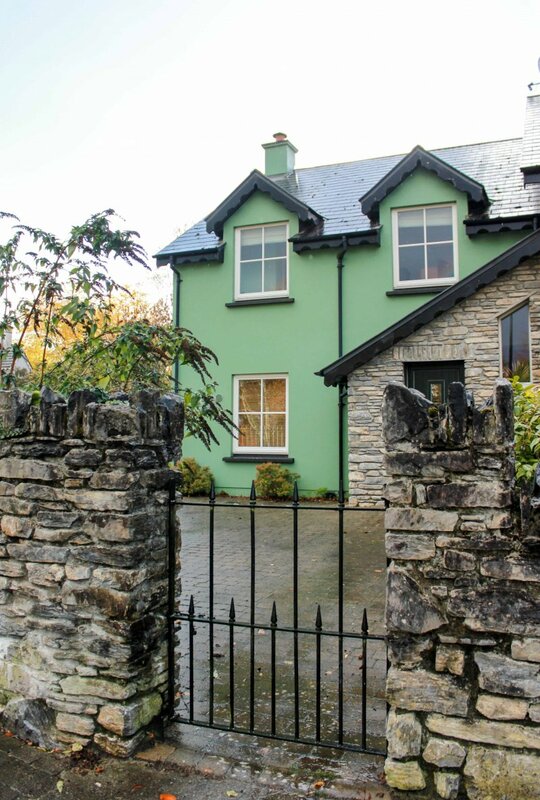 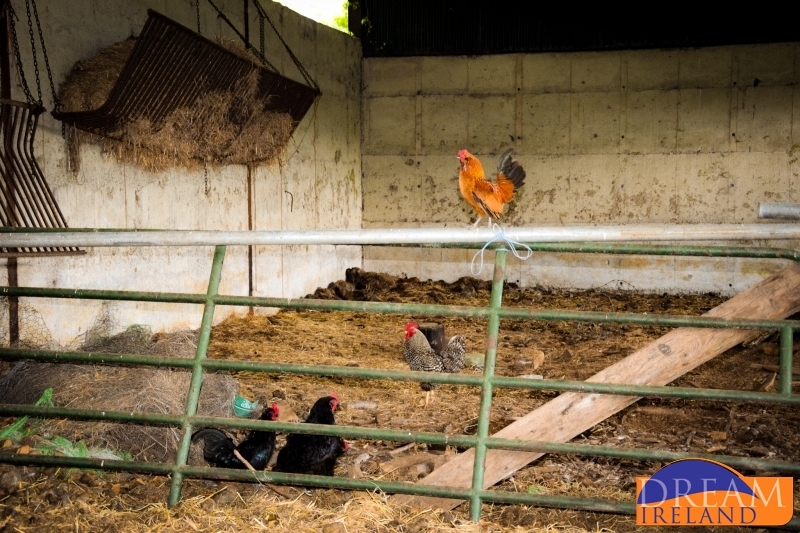 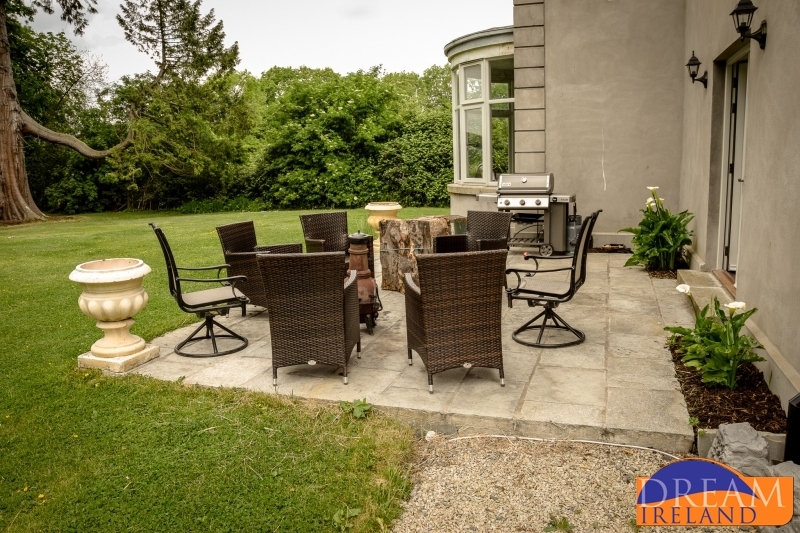 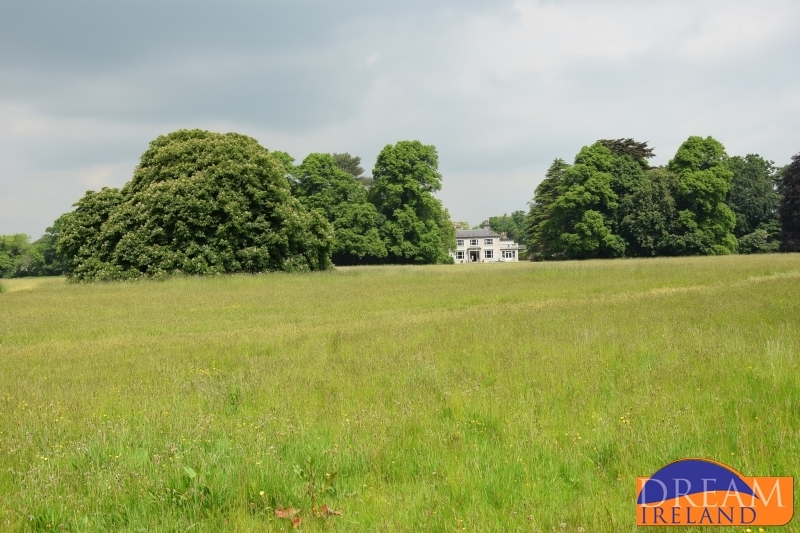 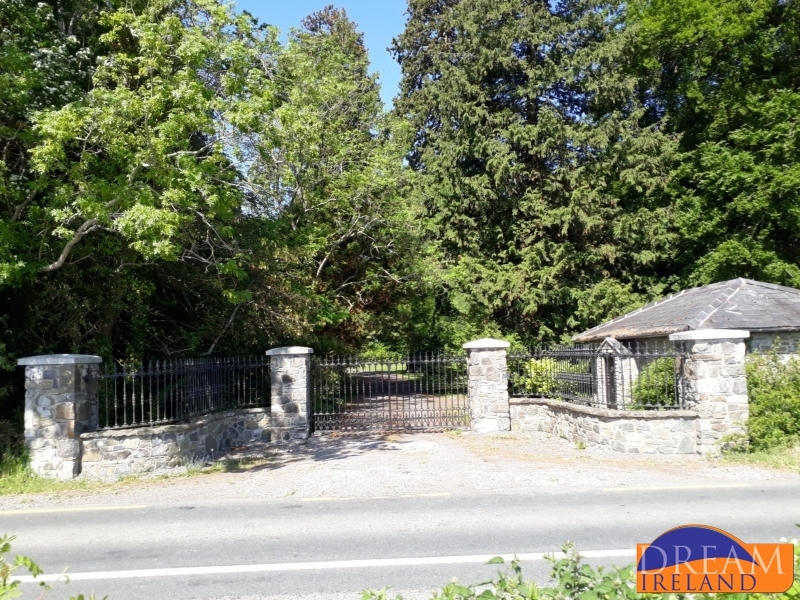 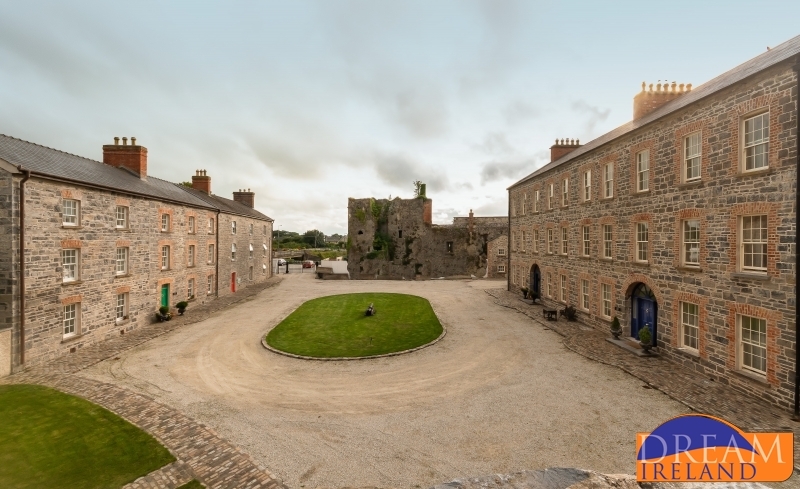 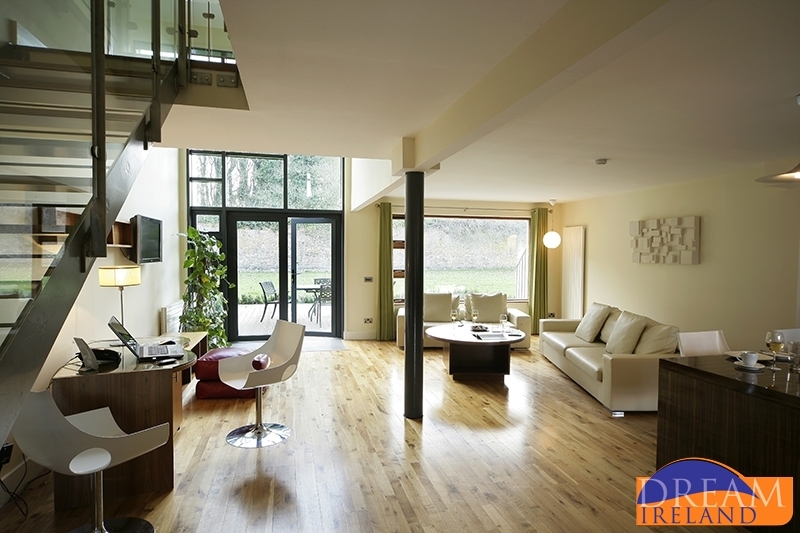 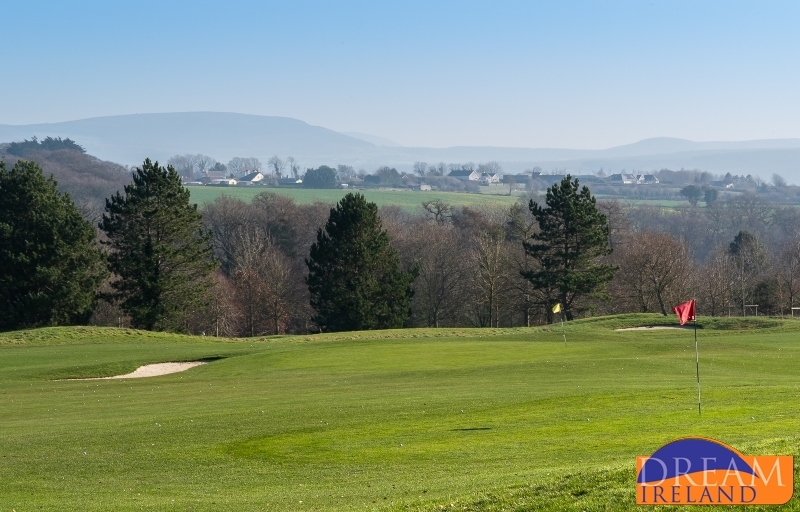 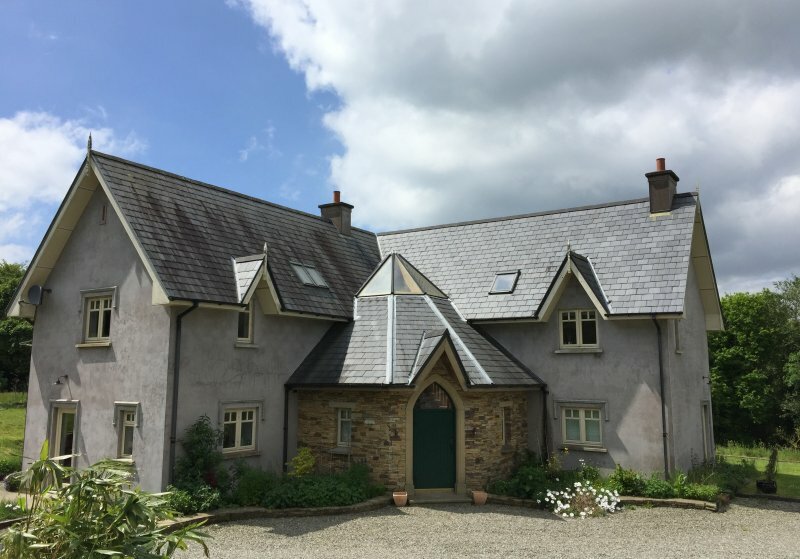 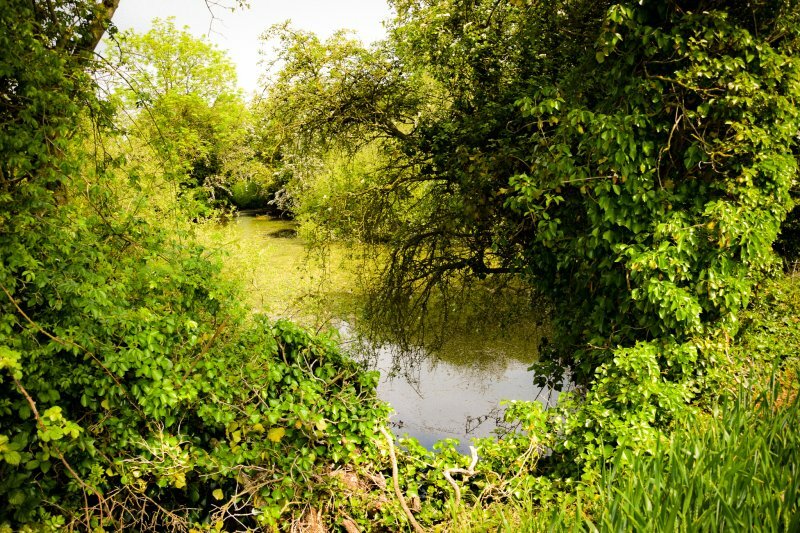 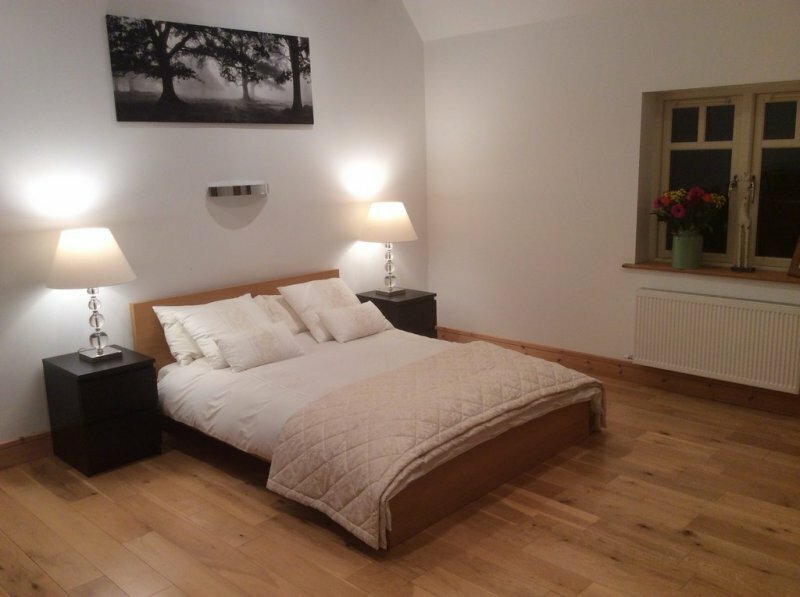 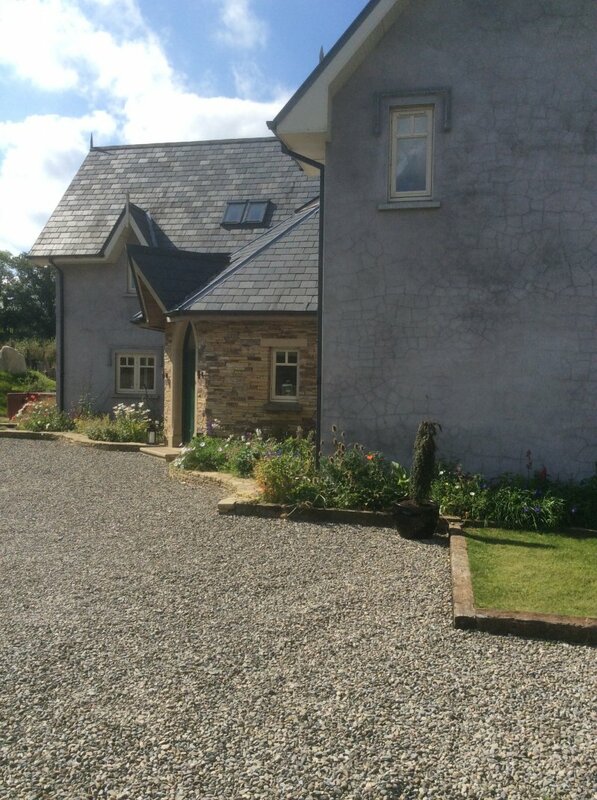 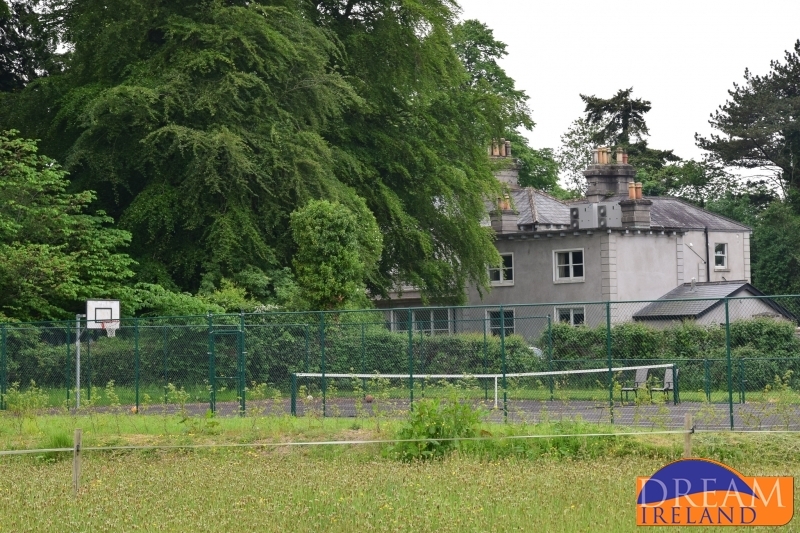 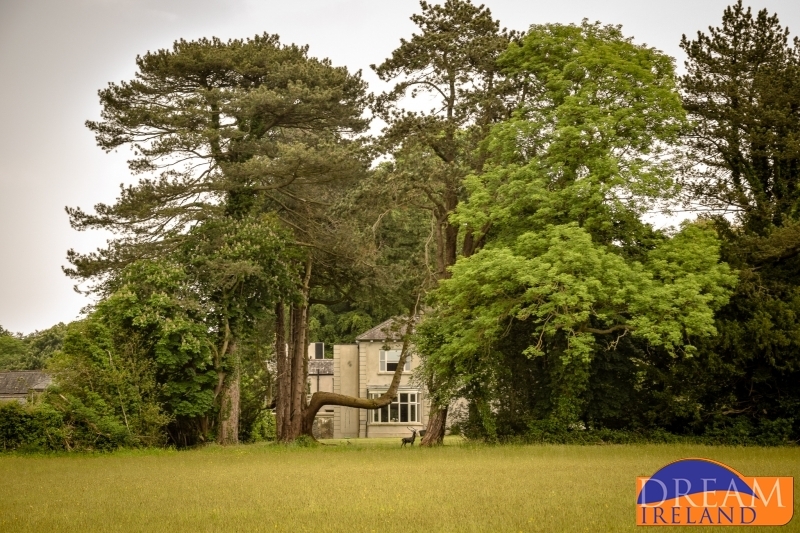 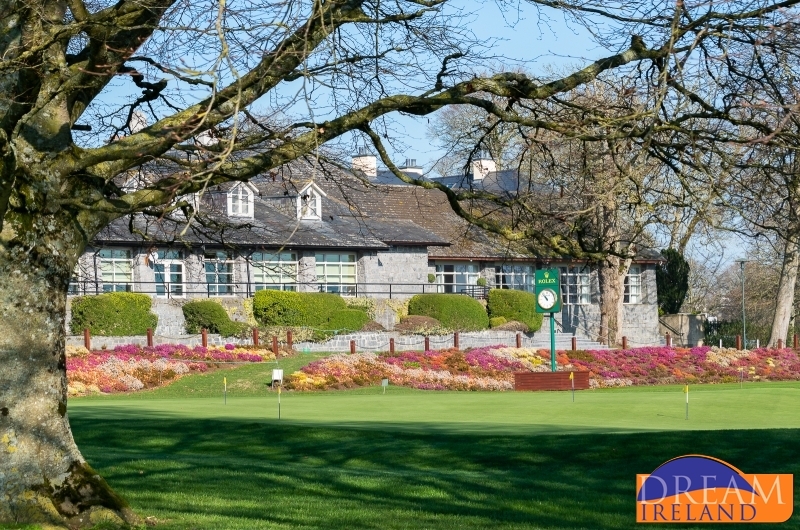 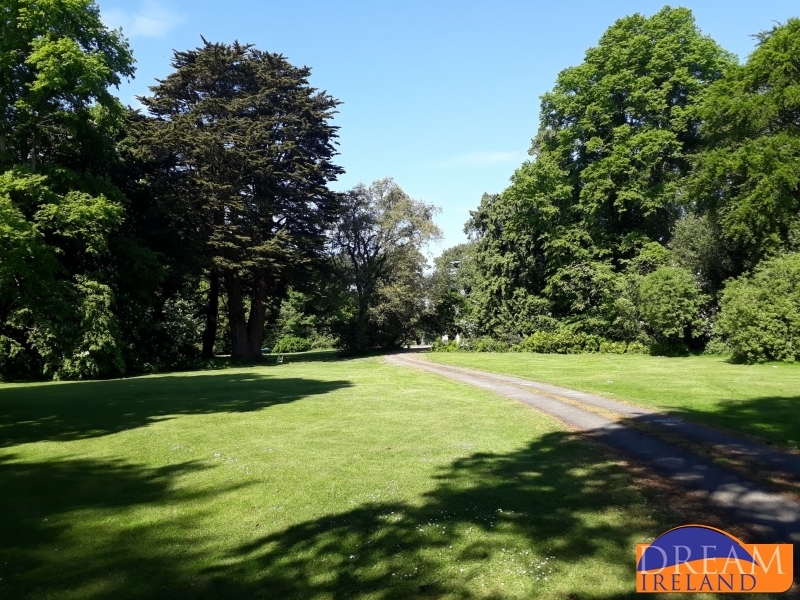 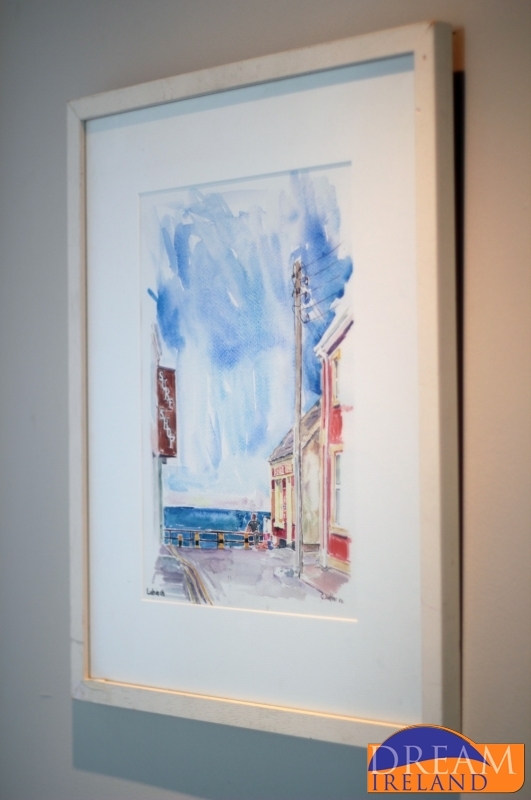 It is a peaceful location yet it is only a short drive 20 minute from Kilkenny City. 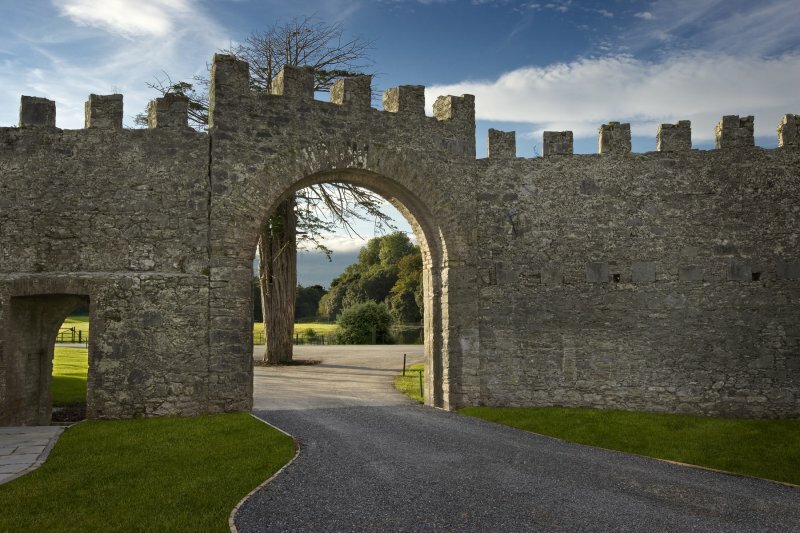 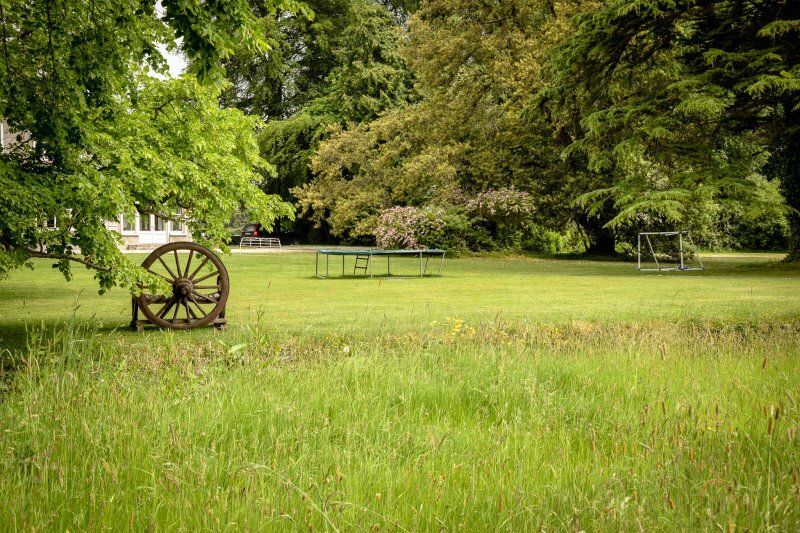 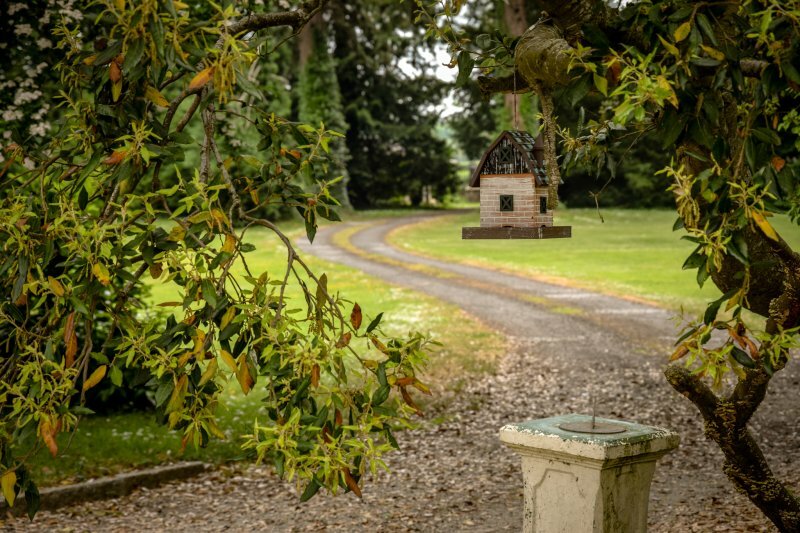 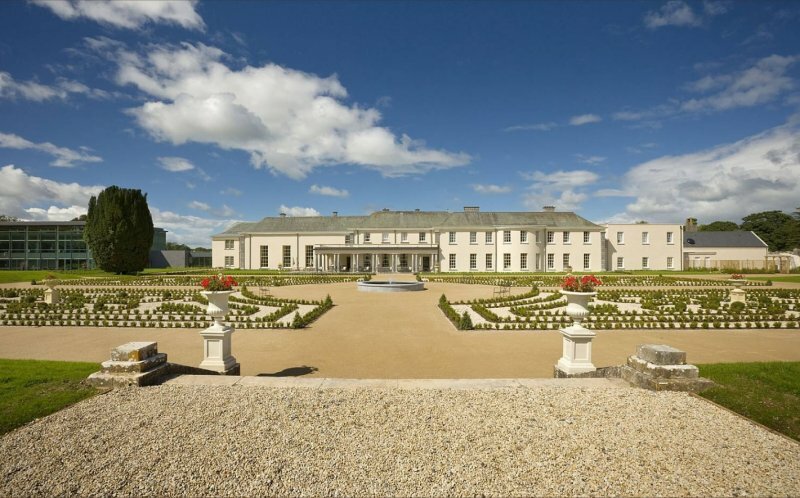 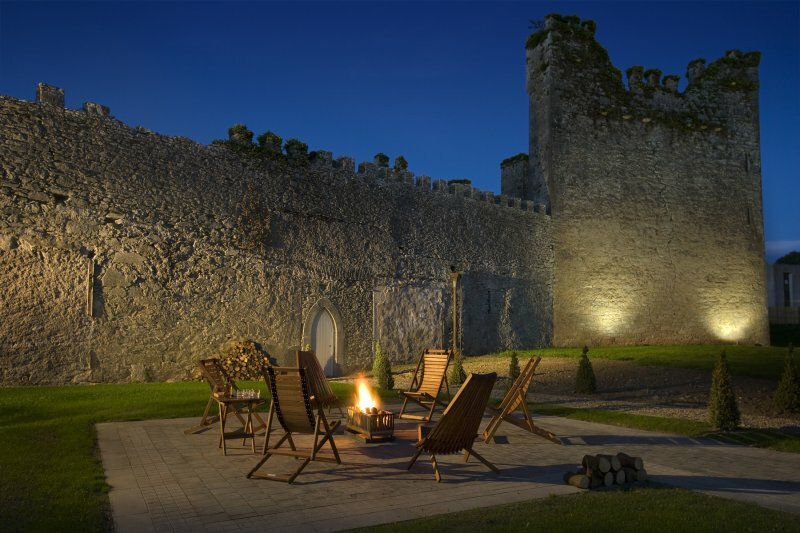 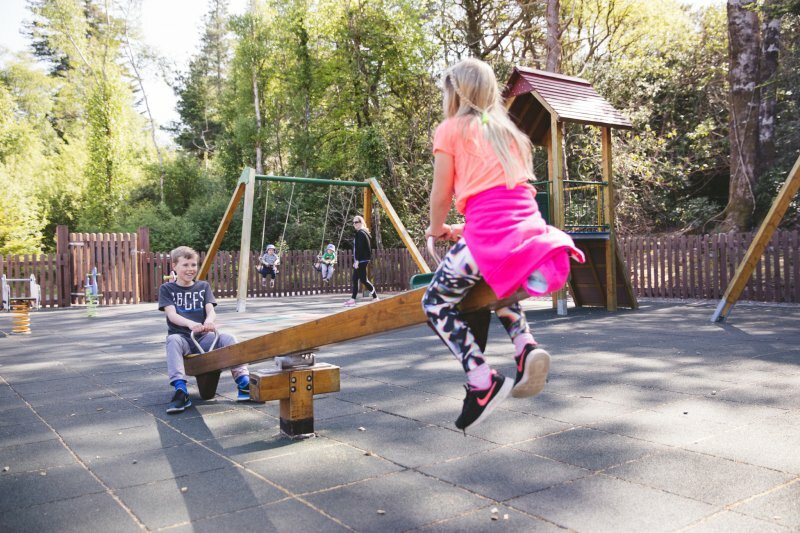 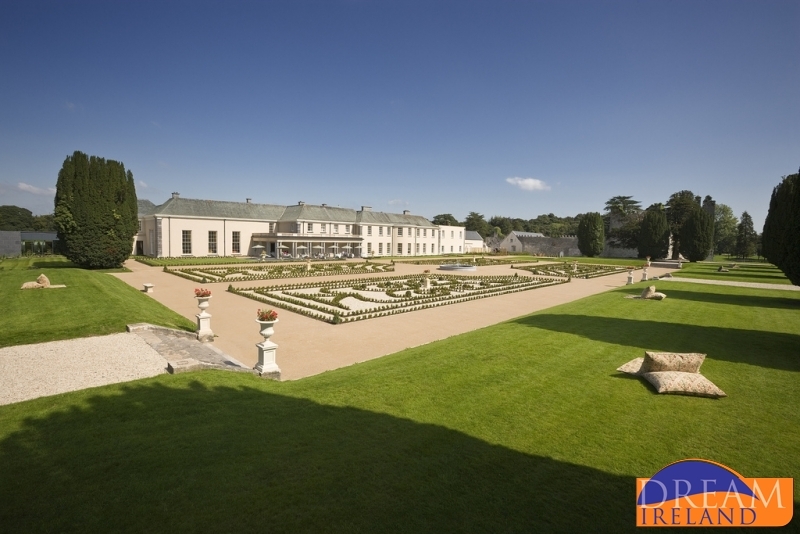 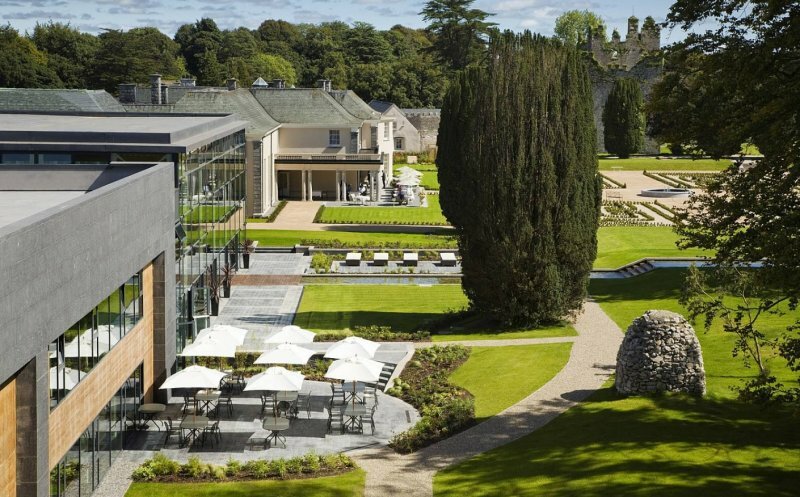 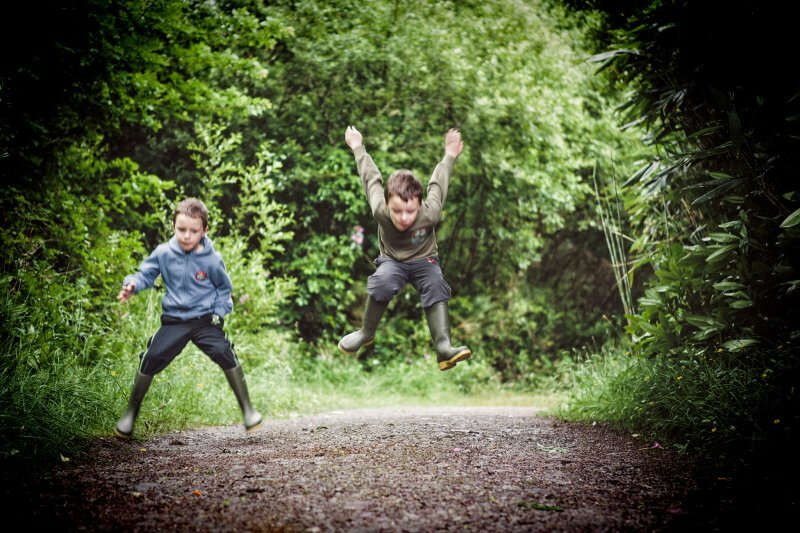 A great location for families, the Walled Garden Lodges are located on the grounds of the fabulous Castlemartyr Resort. 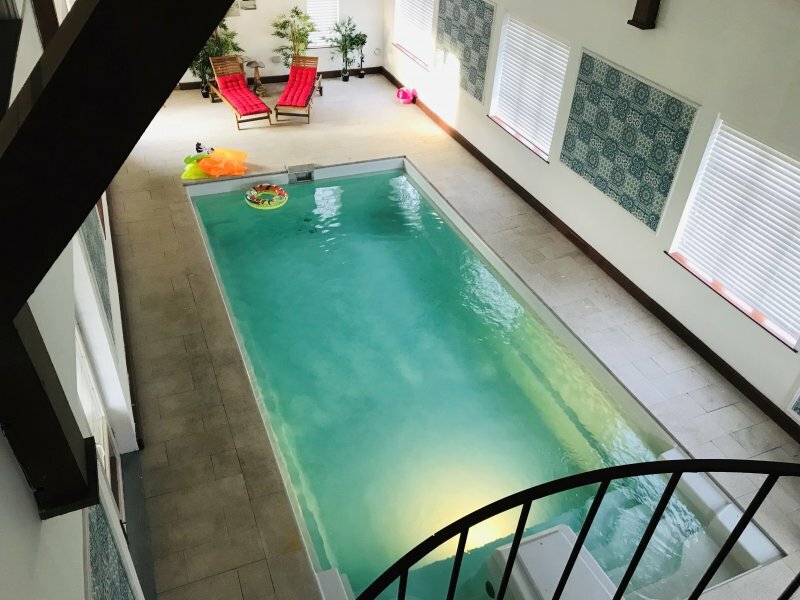 Guests may use the Hotel facilities including swimming pool. 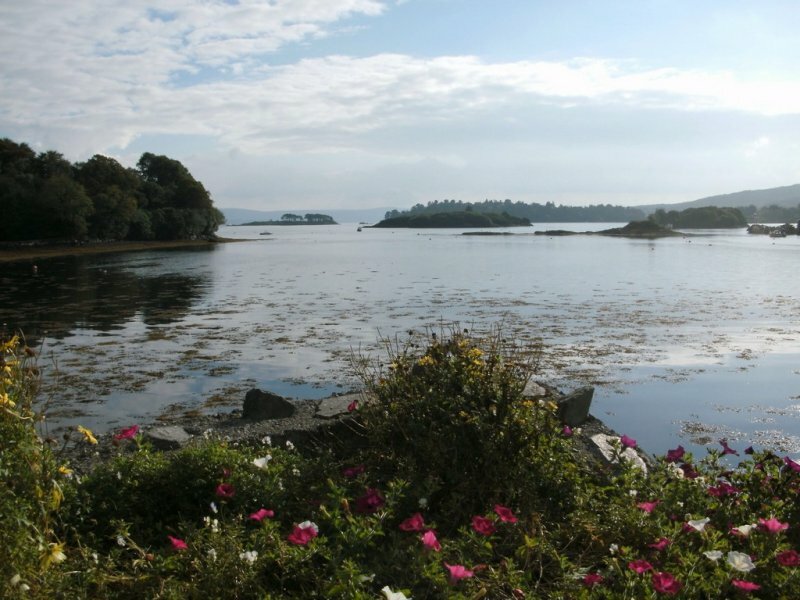 3 hours from Dublin or 30 minutes from Cork City. 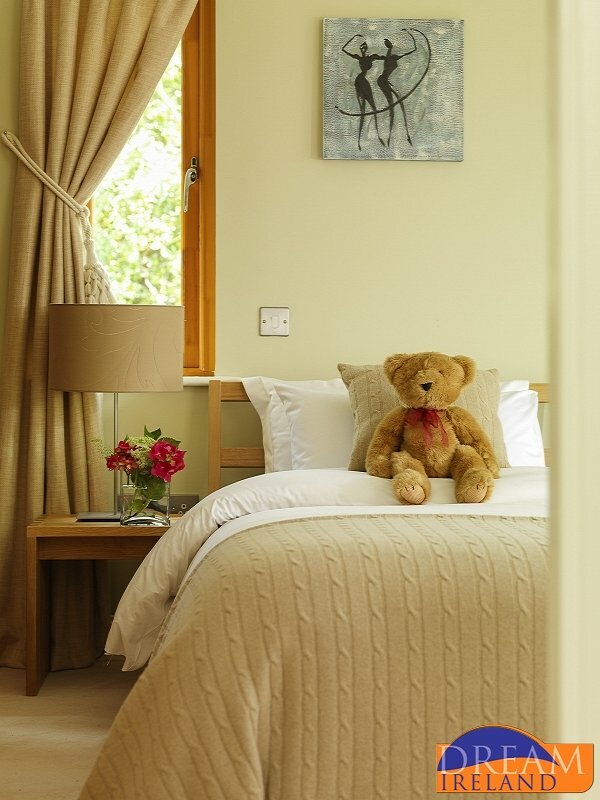 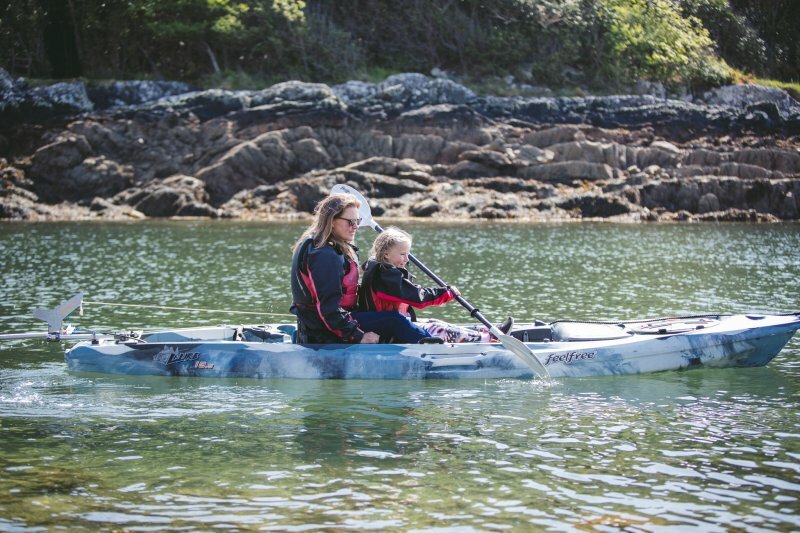 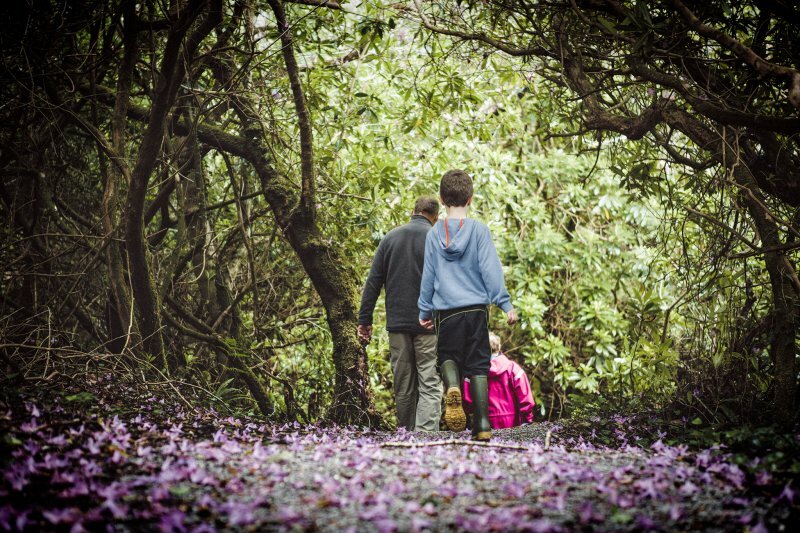 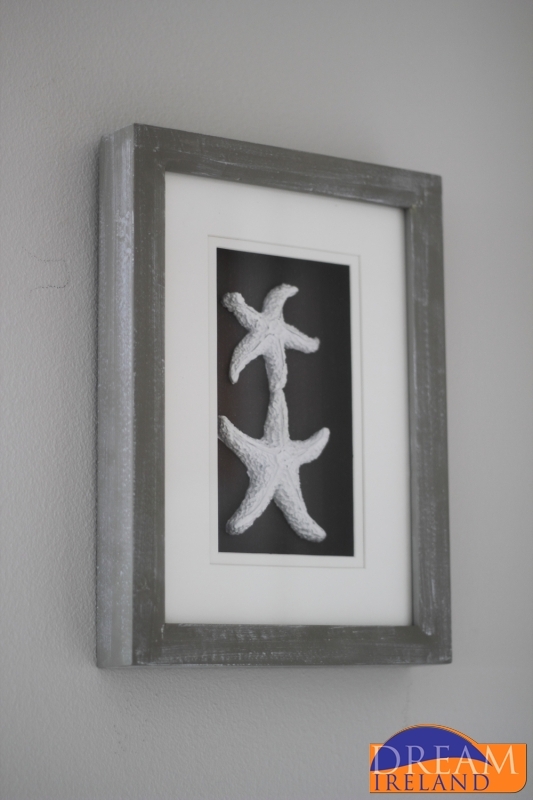 Lodges can accommodate a maximum of 4 adults and one child. 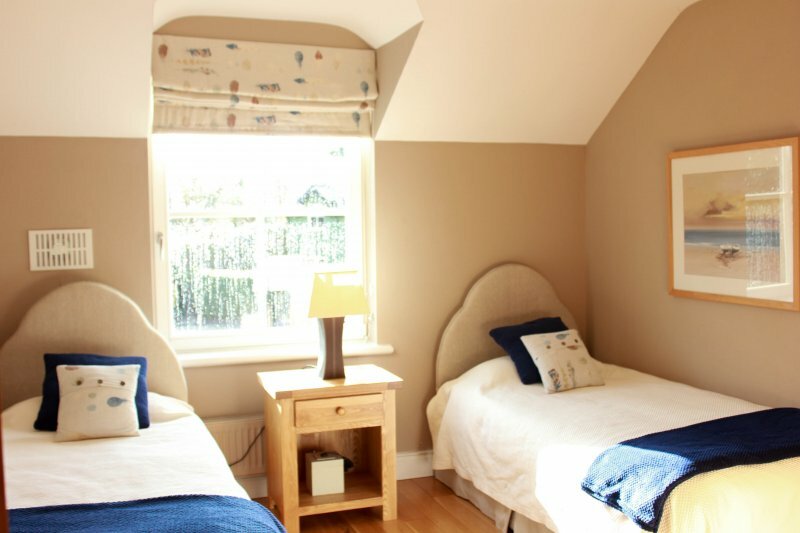 Prices are for up to 4 people. 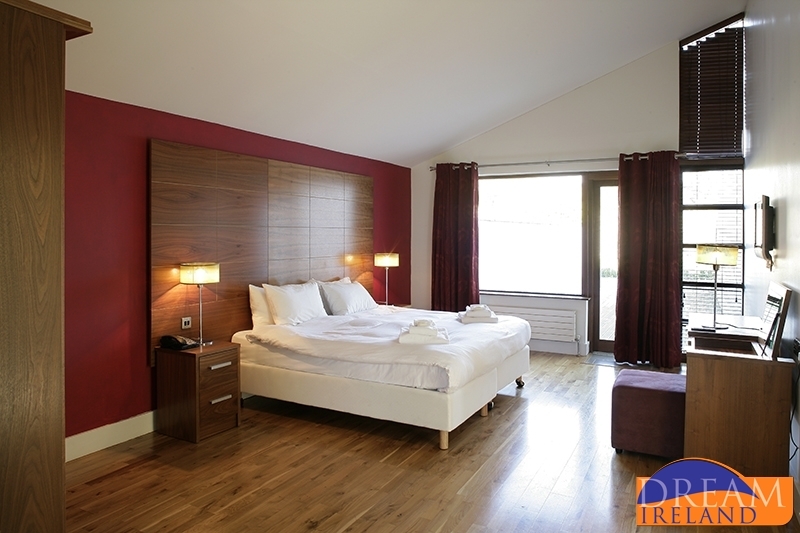 An extra charge of €25 applies should you require an extra bed for a child. 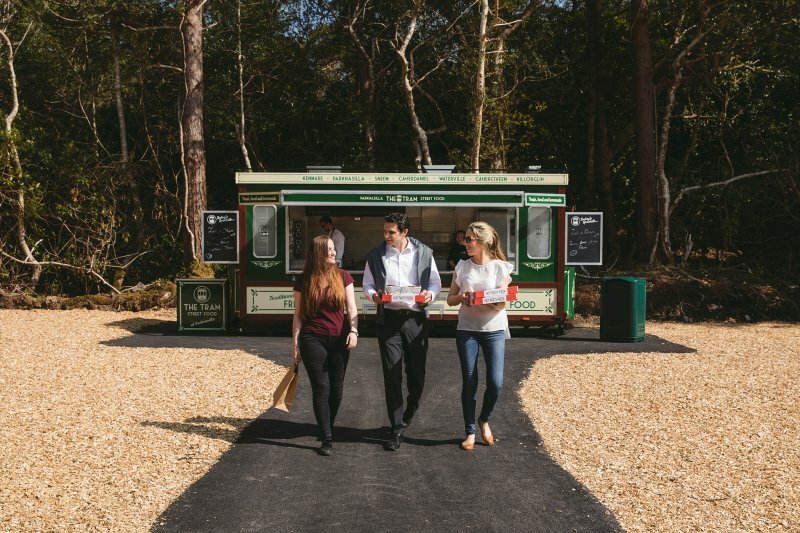 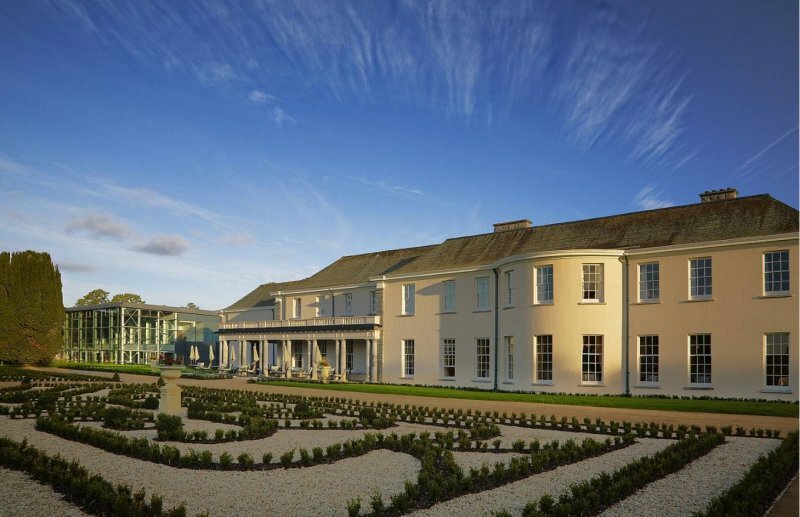 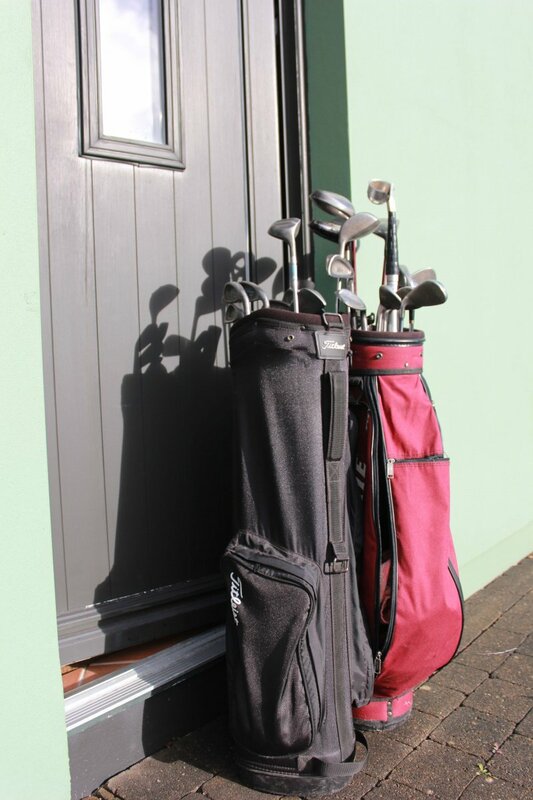 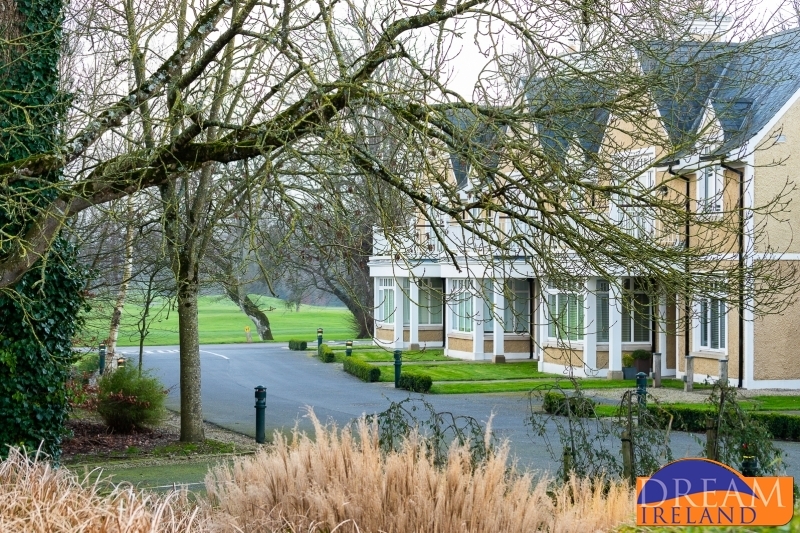 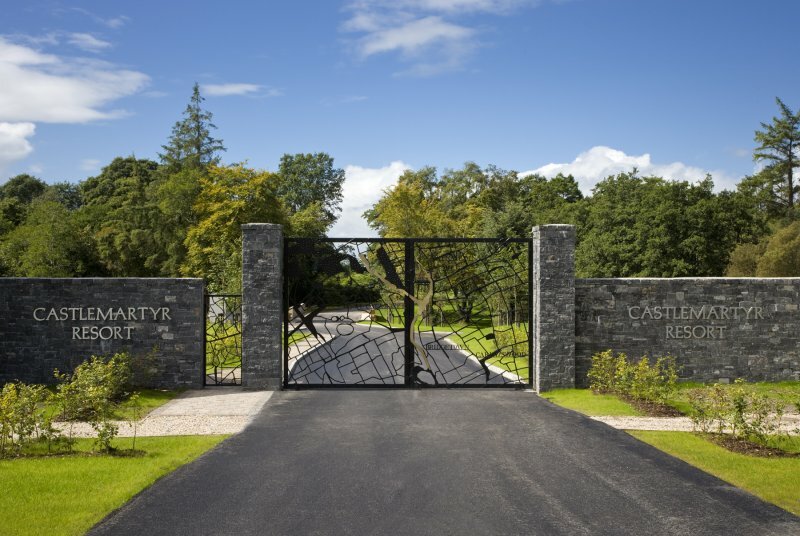 Heron’s Reach Gate Lodges are located at the entrance to Castlemartyr Resort right at the bottom of the long sweeping drive that leads up to the Hotel. 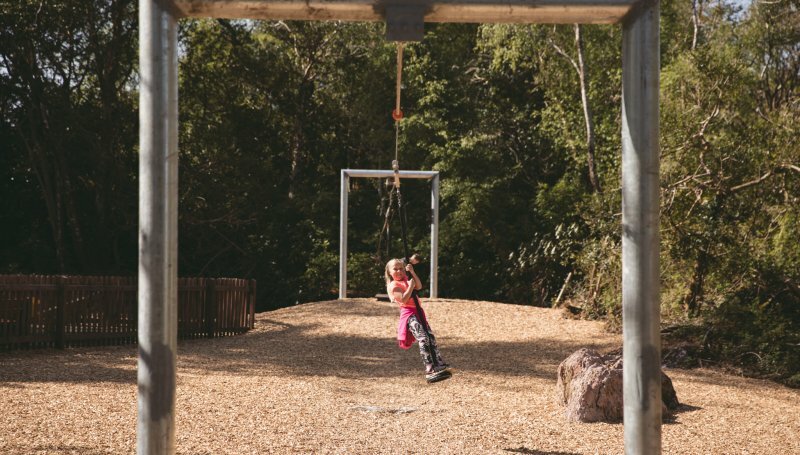 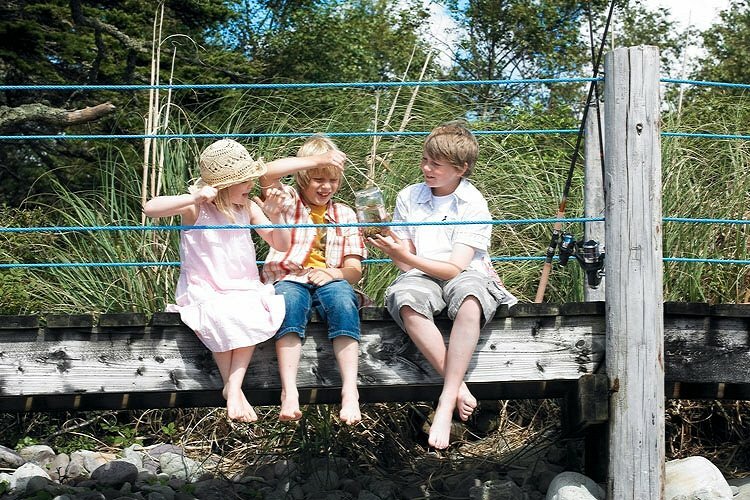 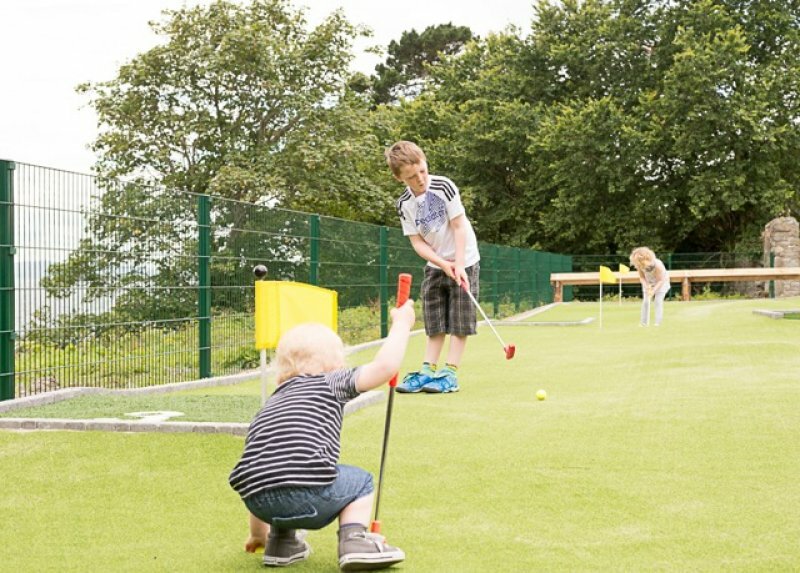 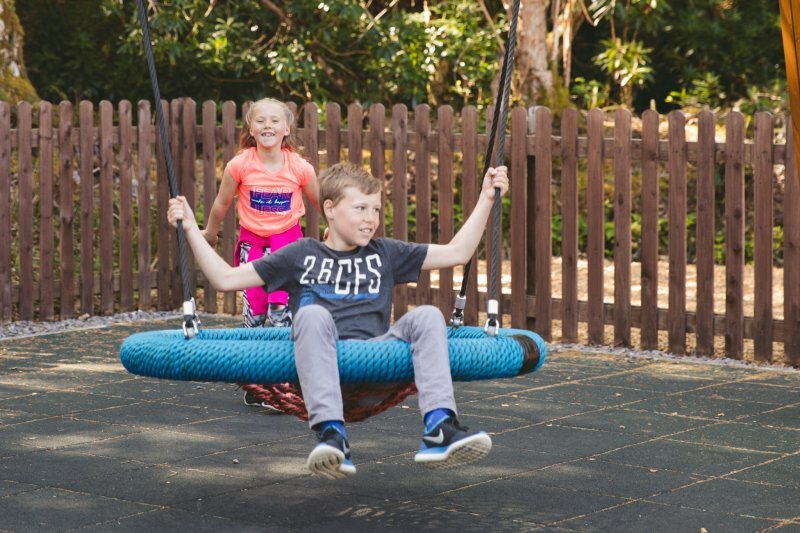 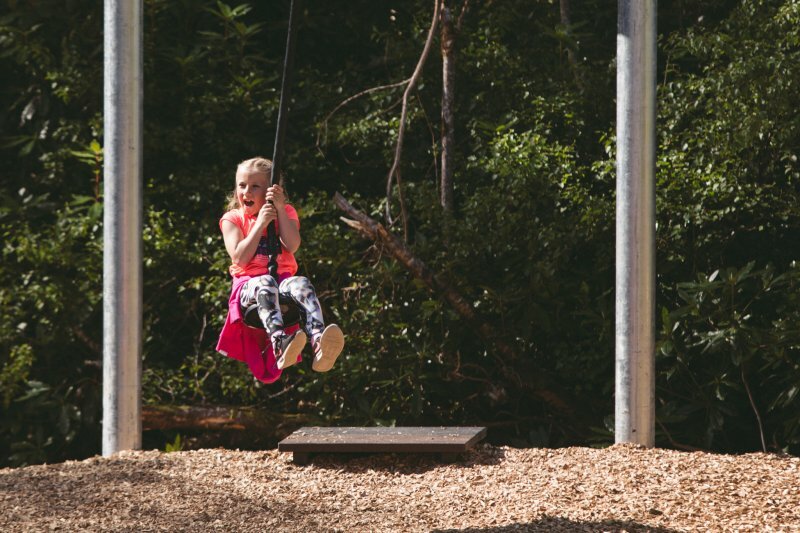 PLEASE NOTE that due to their location at the entrance to the Resort, Heron's Reach are best suited to families with children older than 11 years of age. 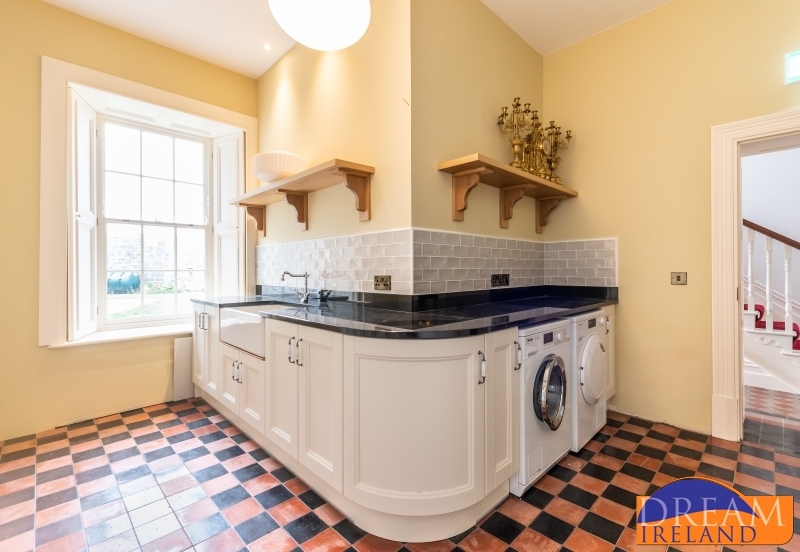 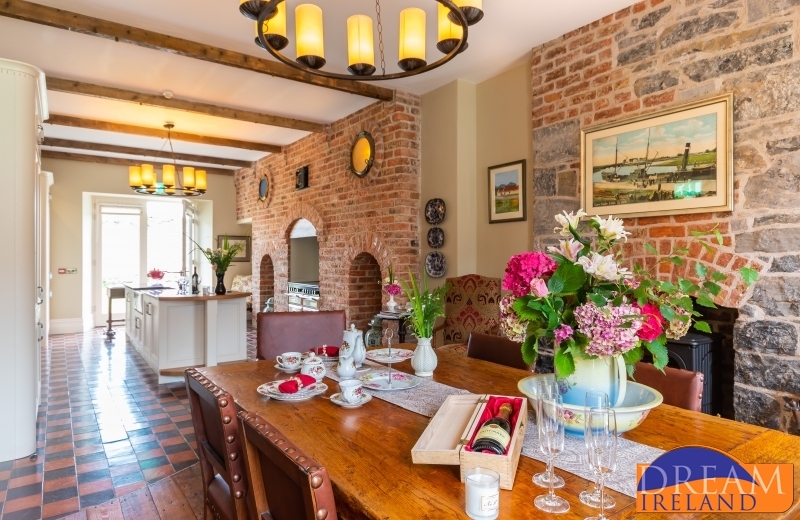 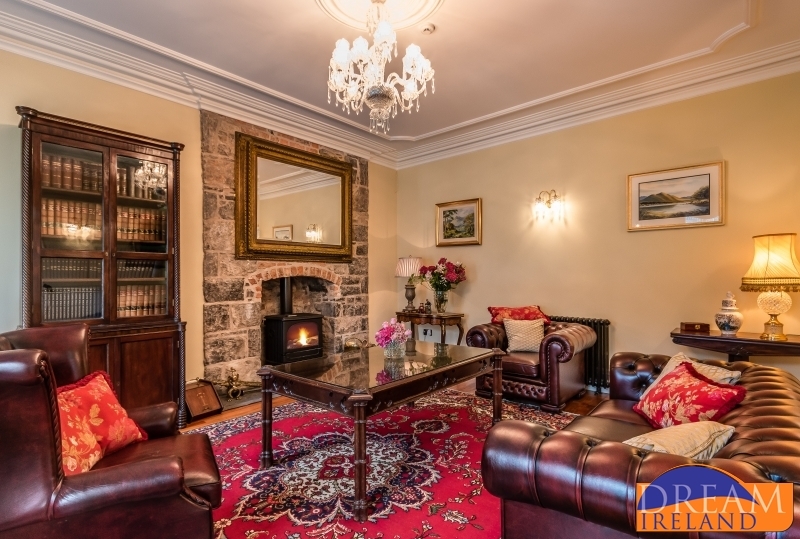 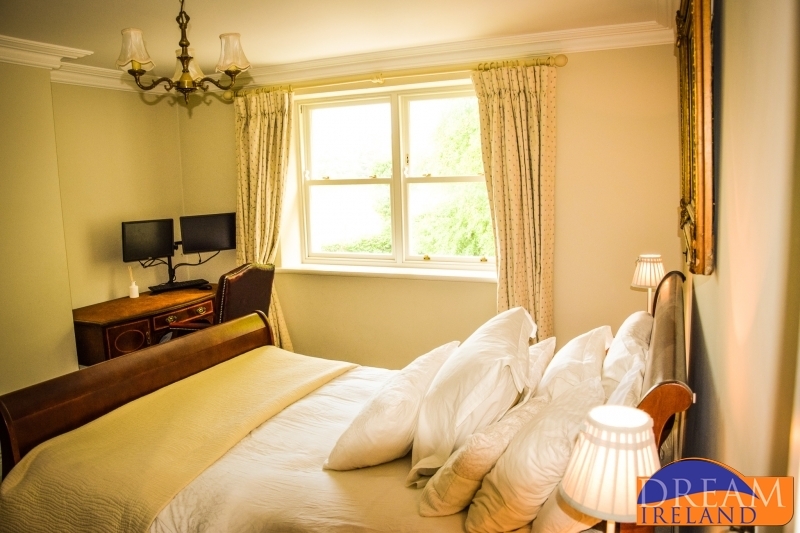 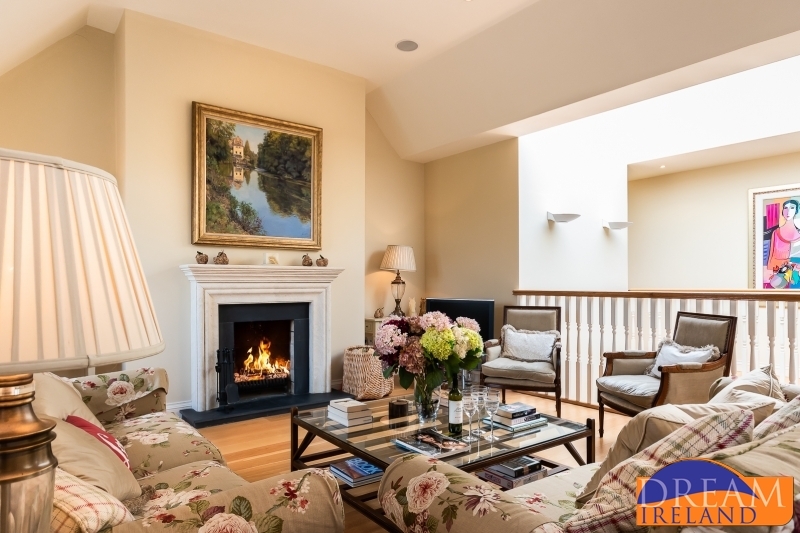 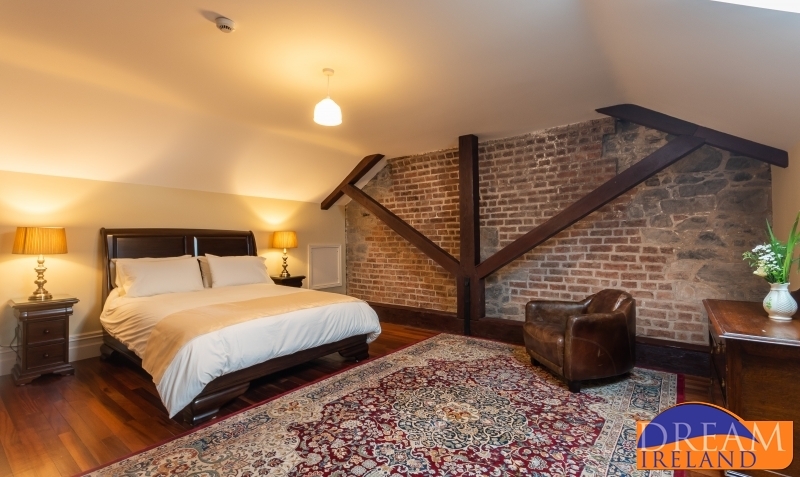 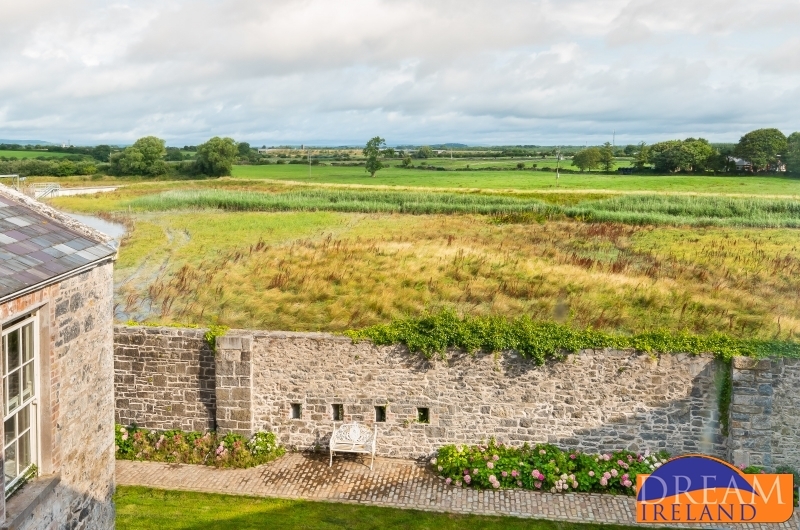 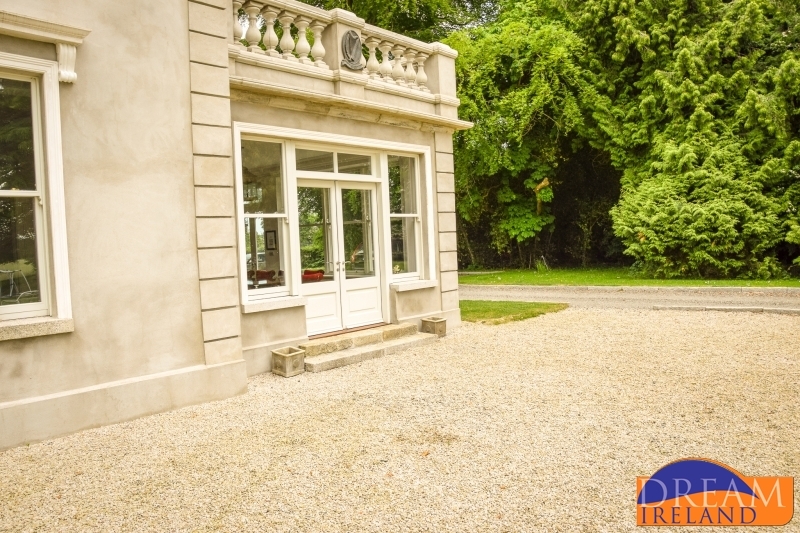 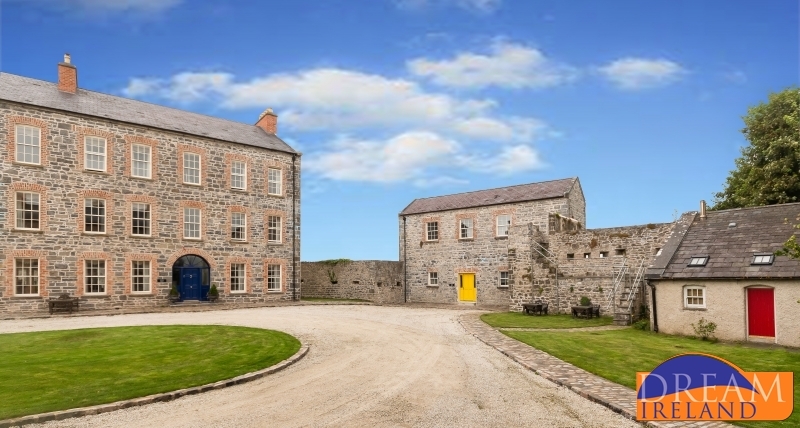 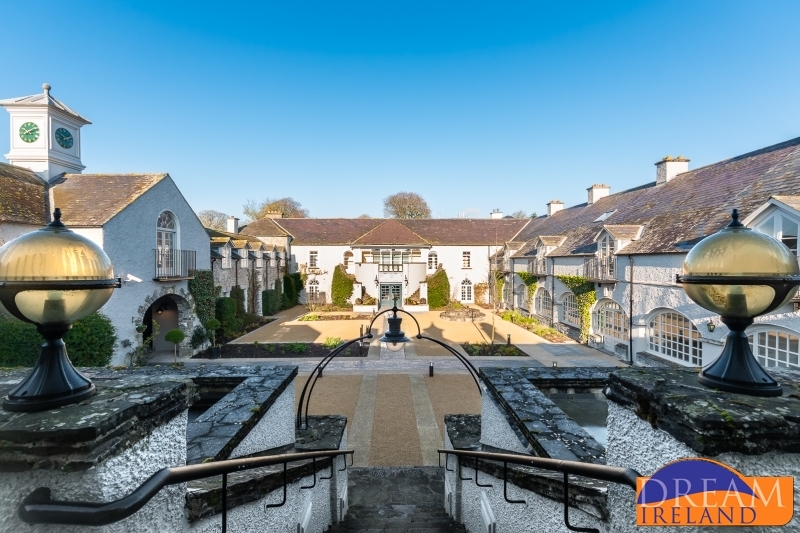 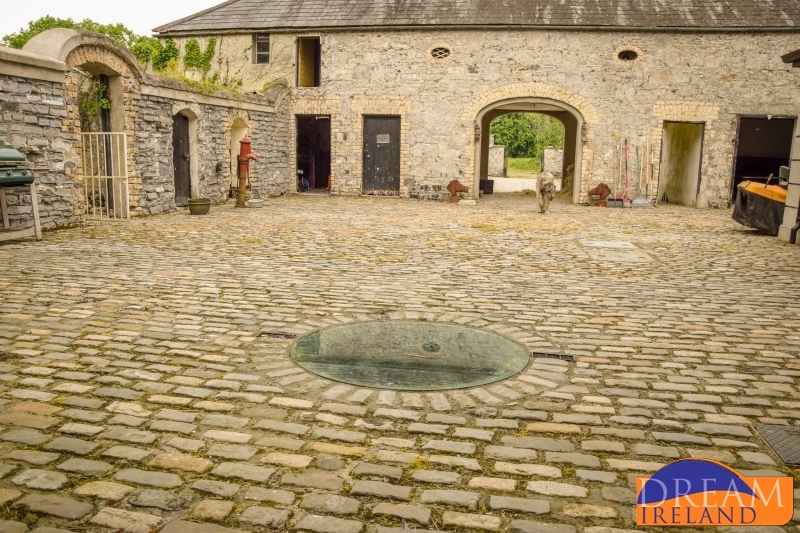 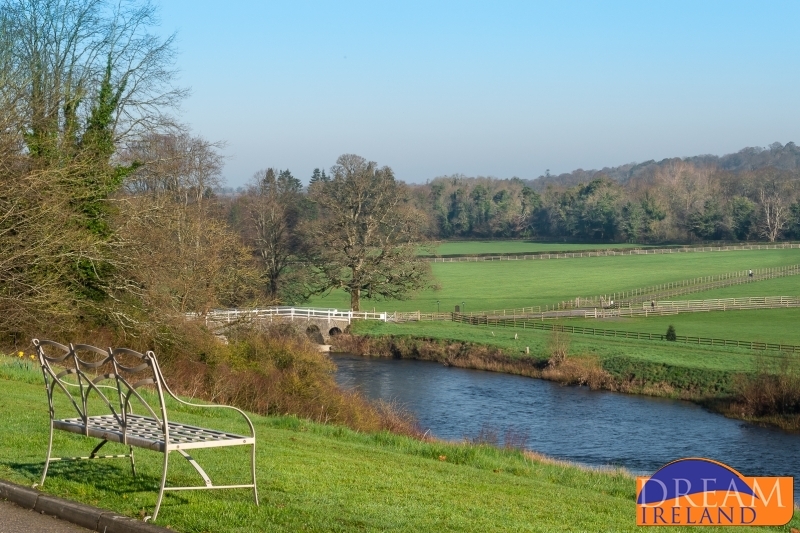 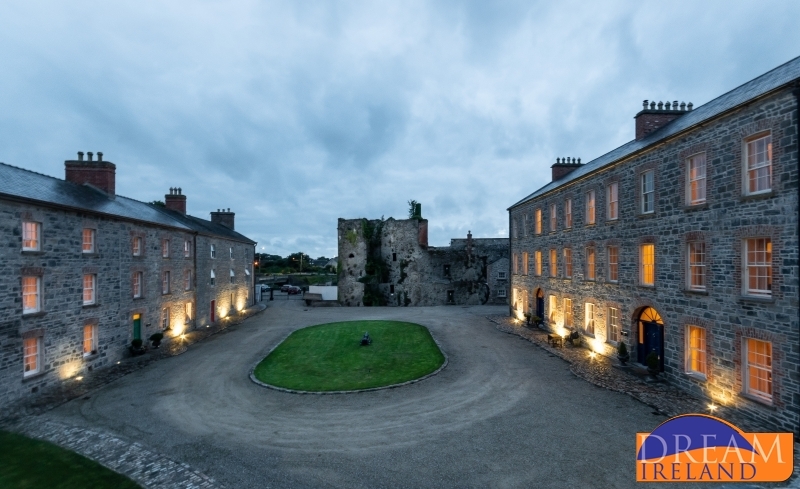 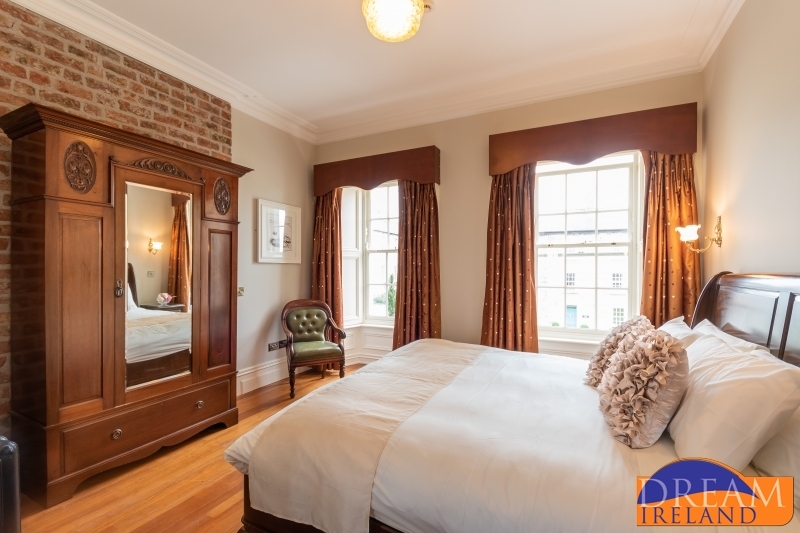 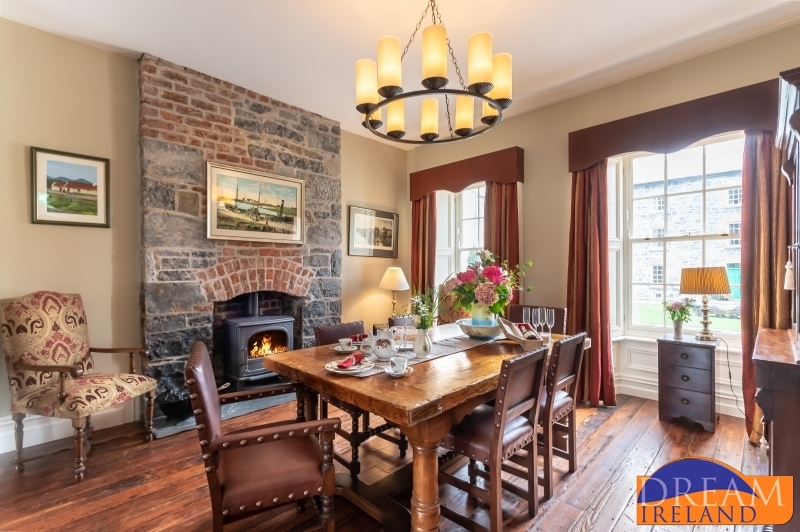 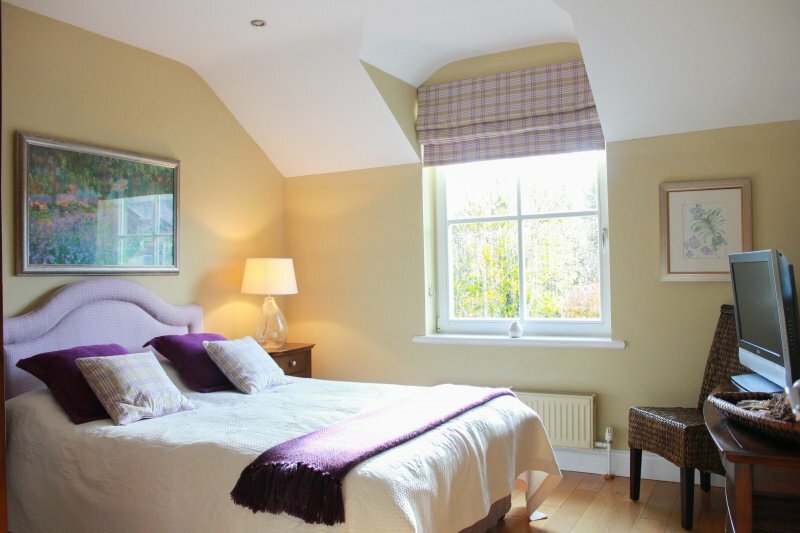 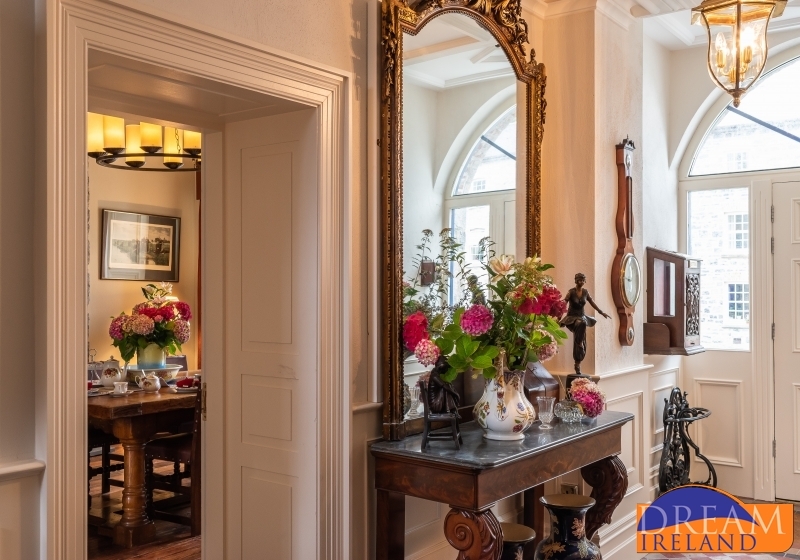 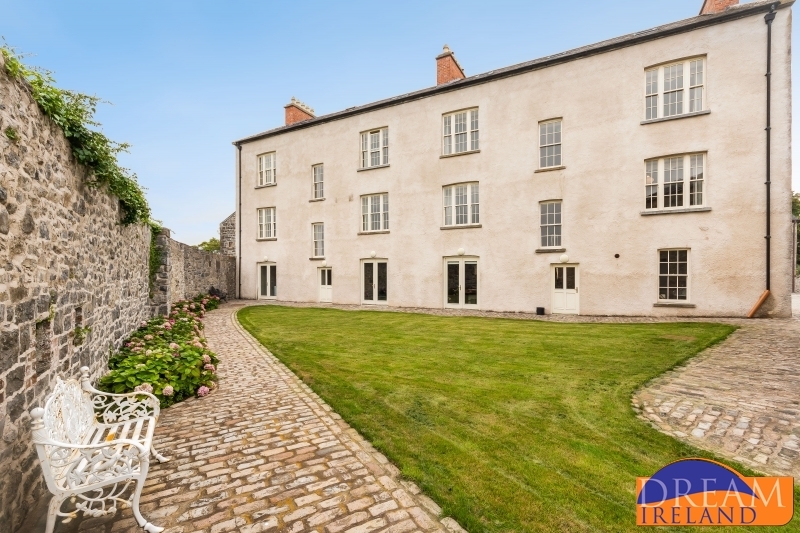 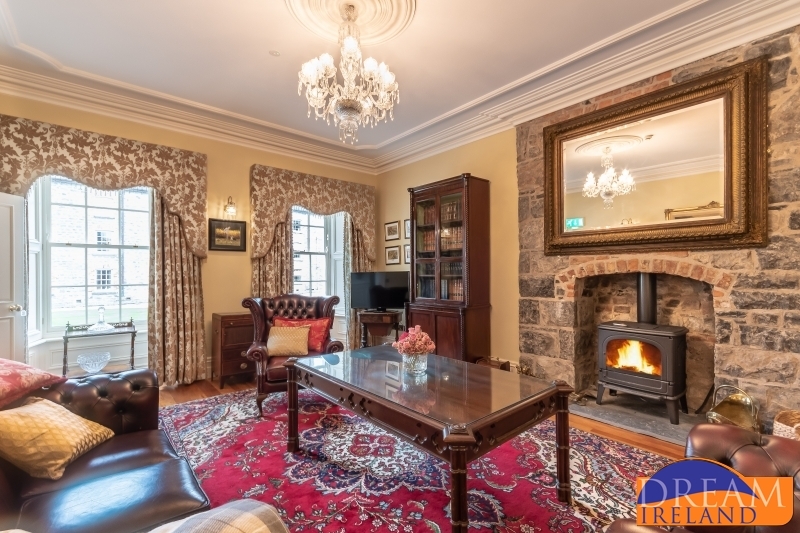 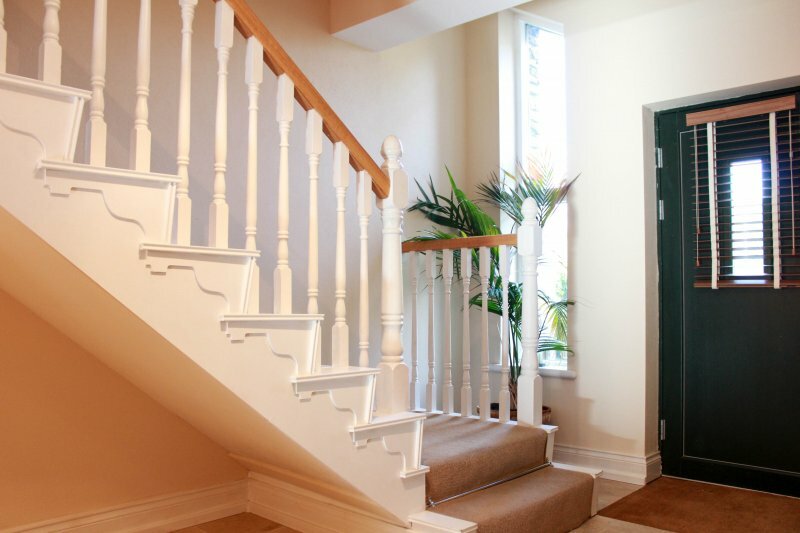 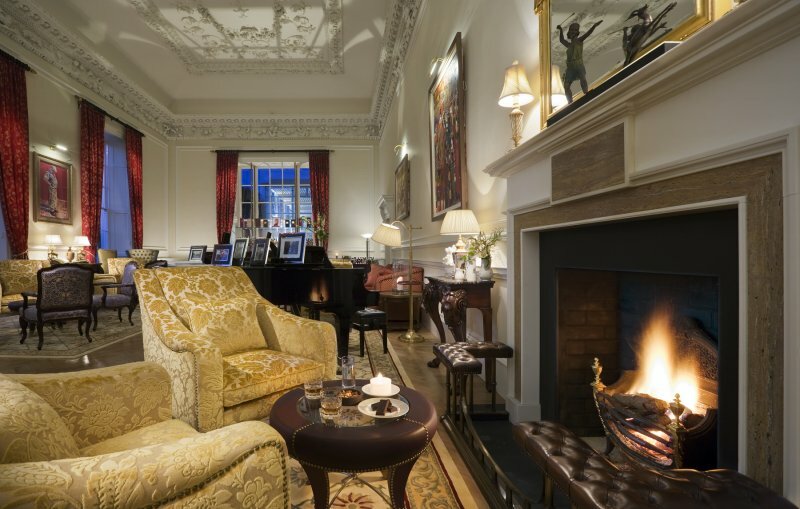 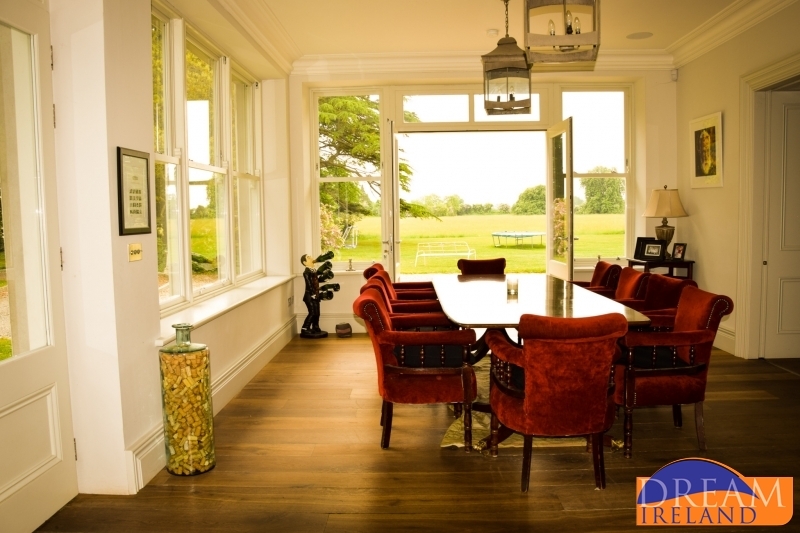 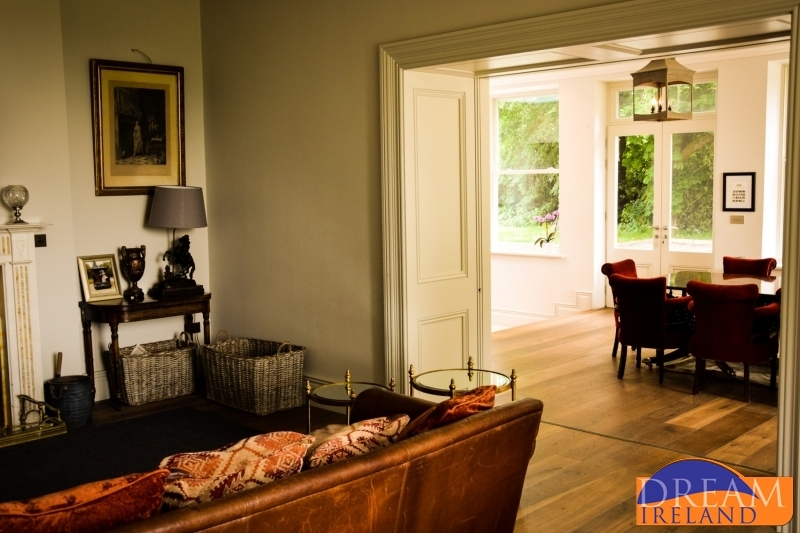 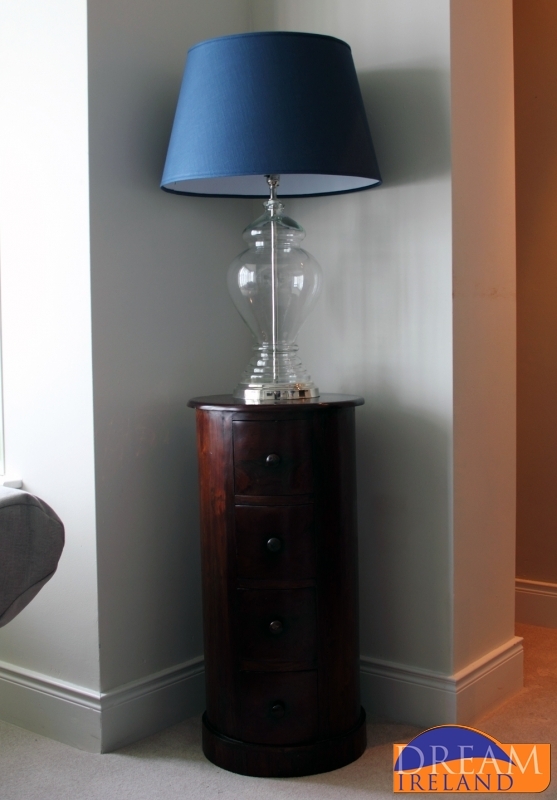 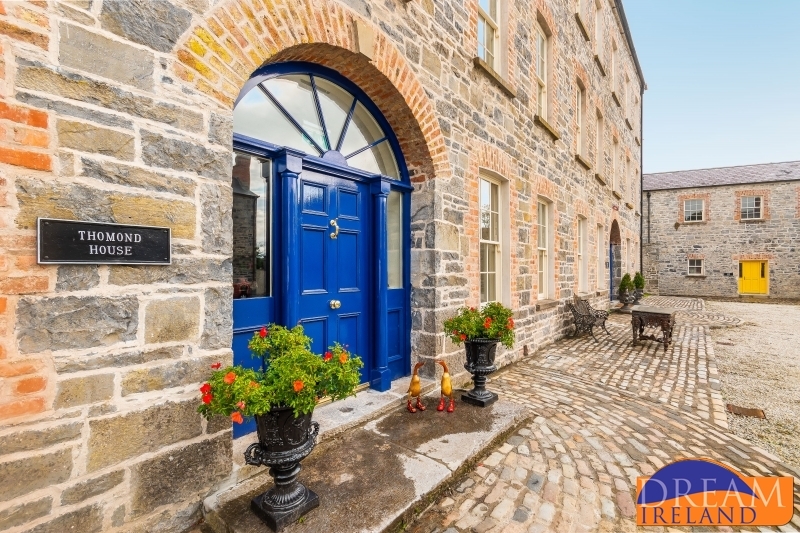 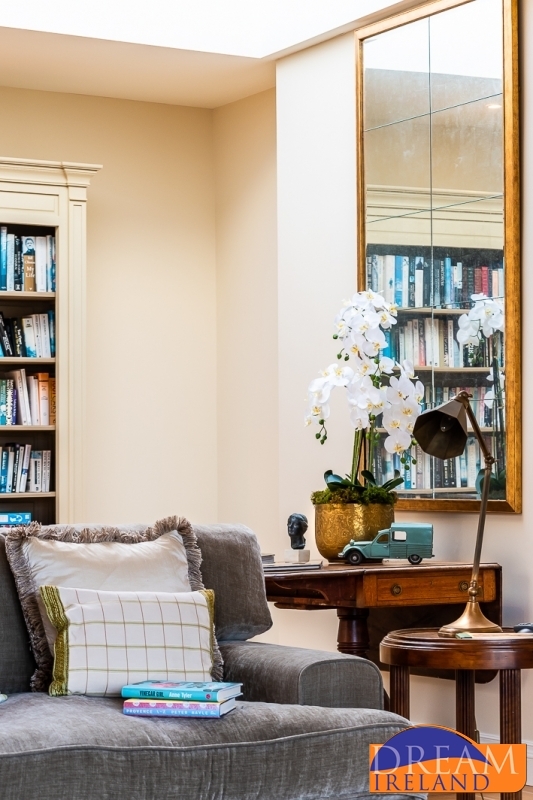 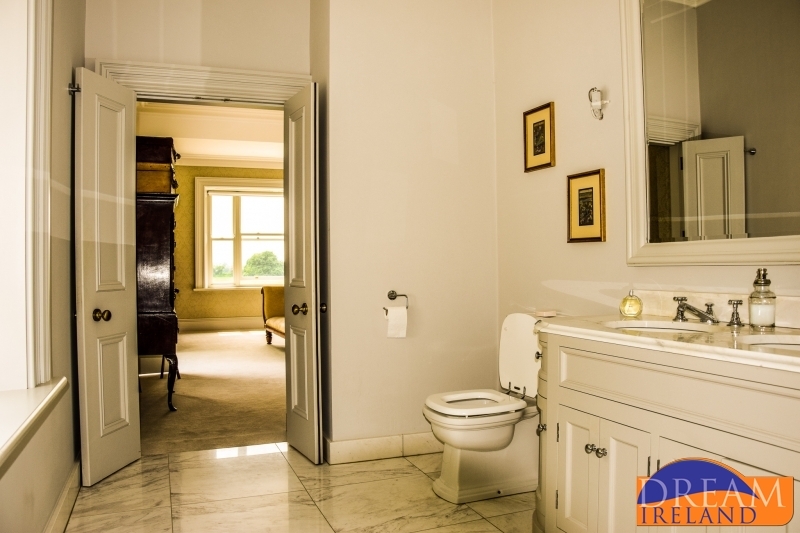 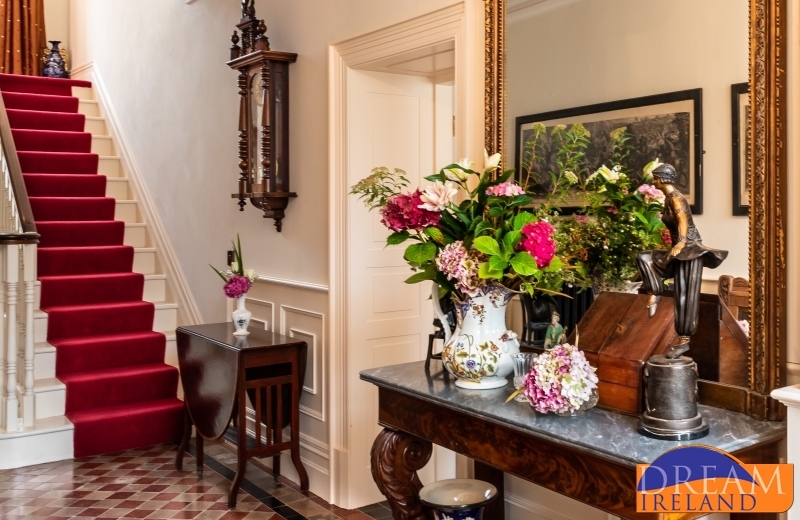 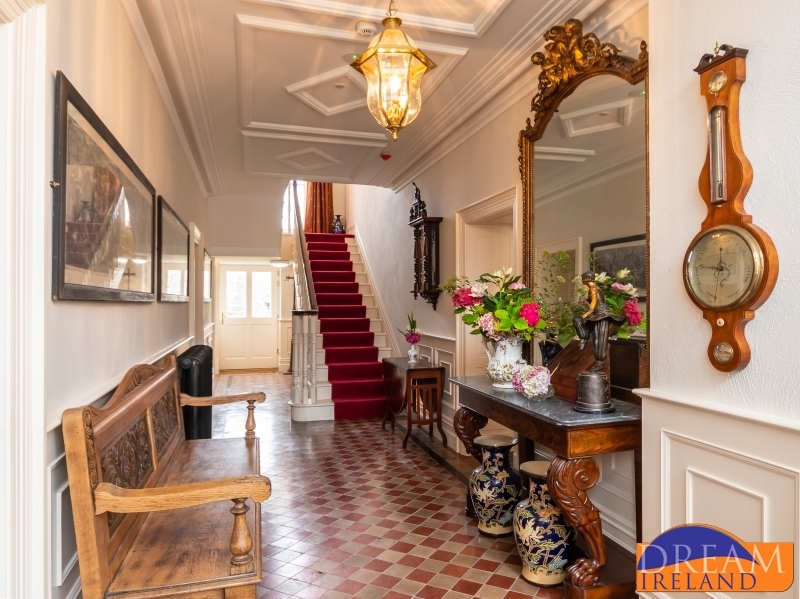 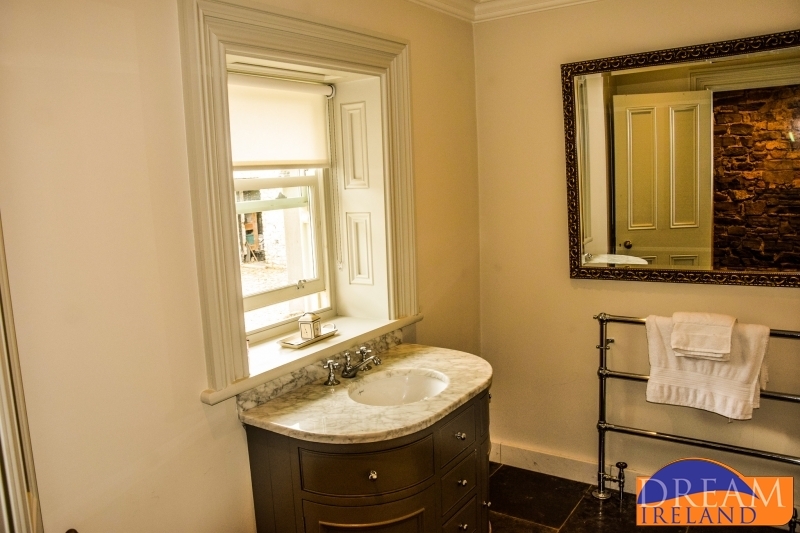 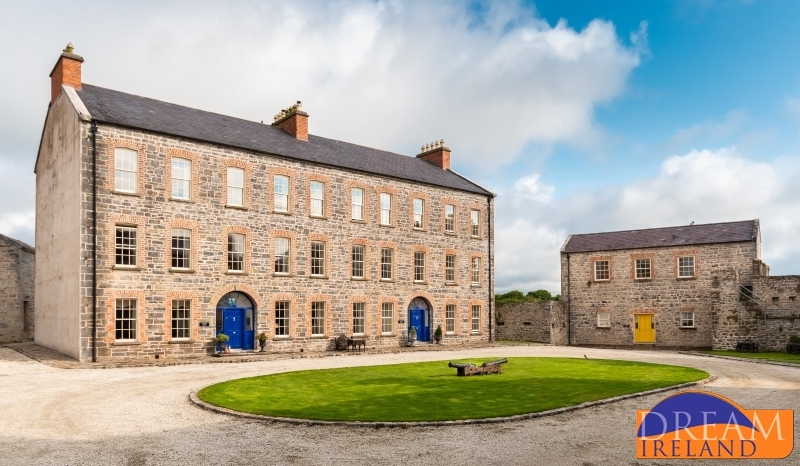 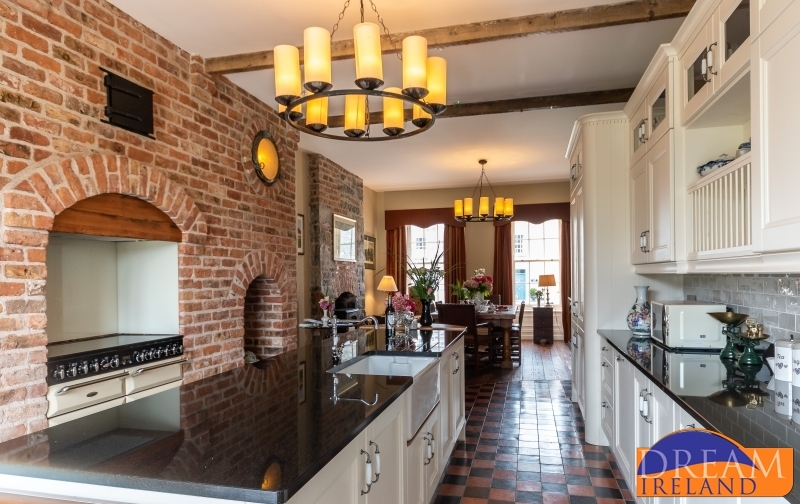 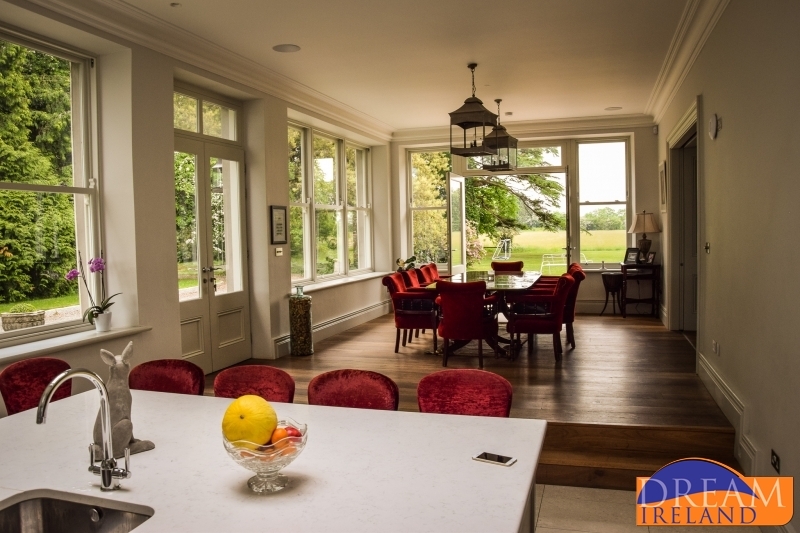 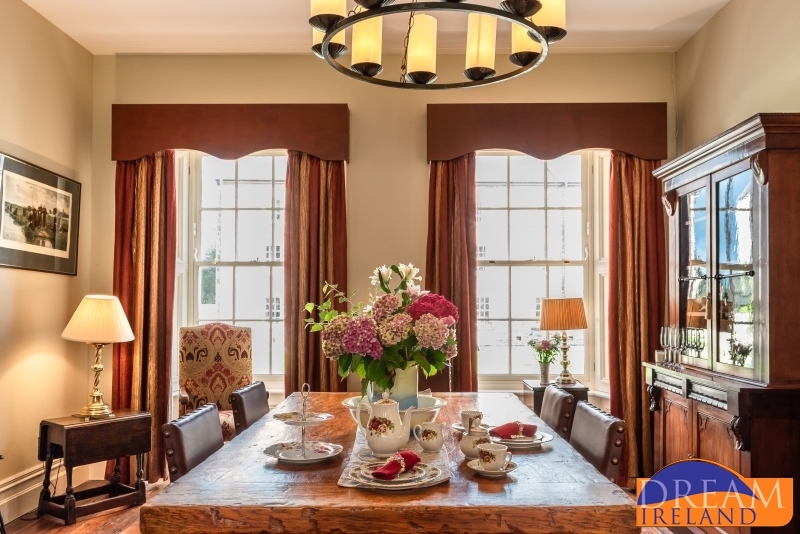 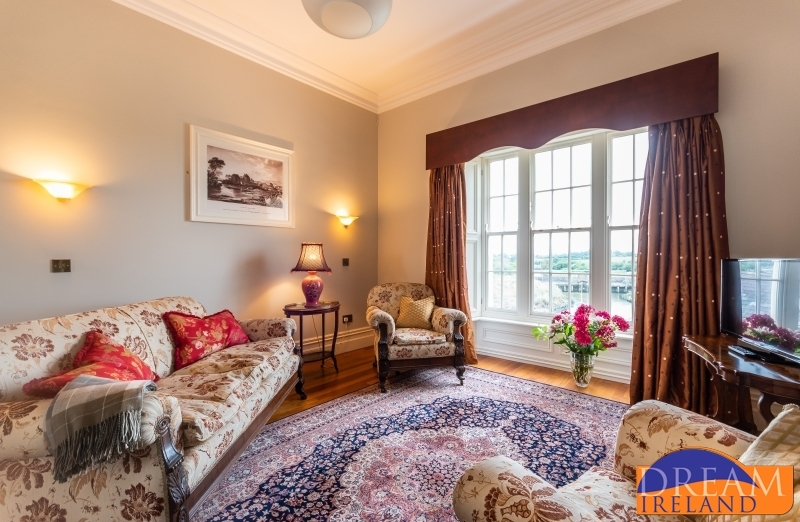 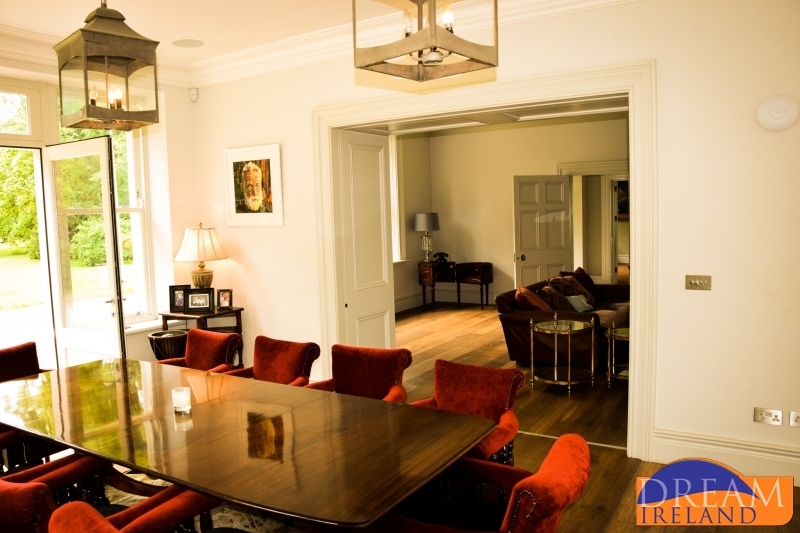 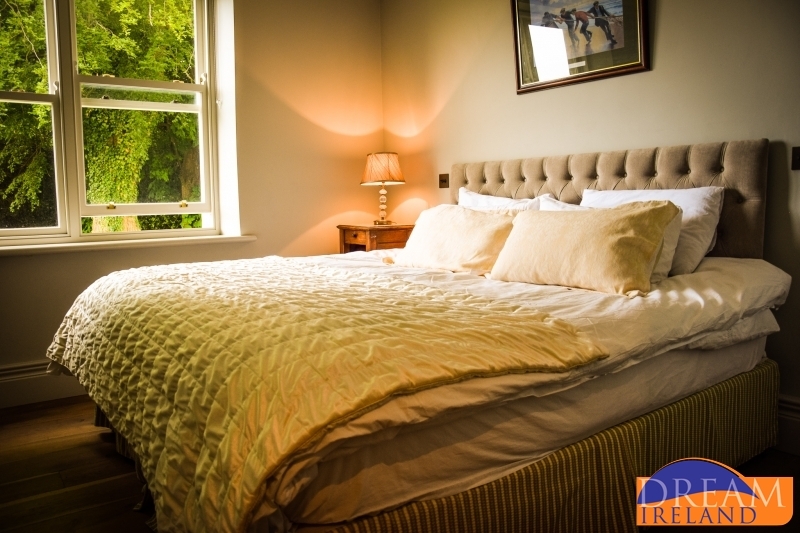 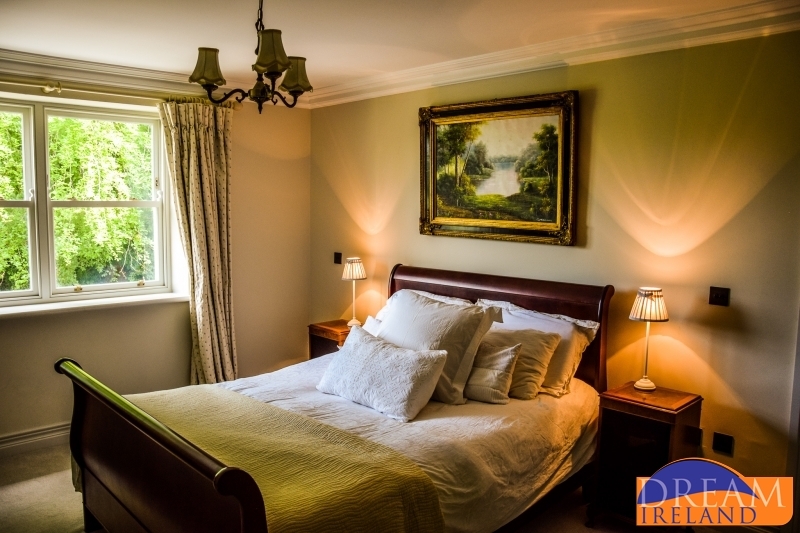 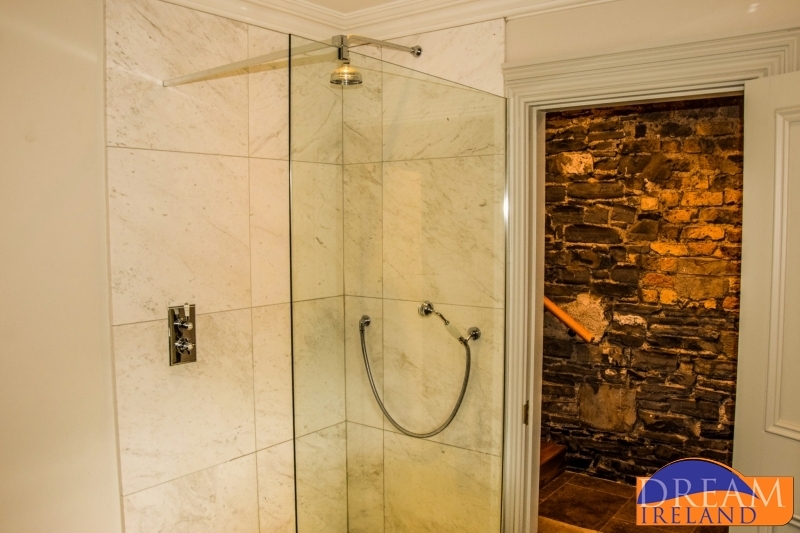 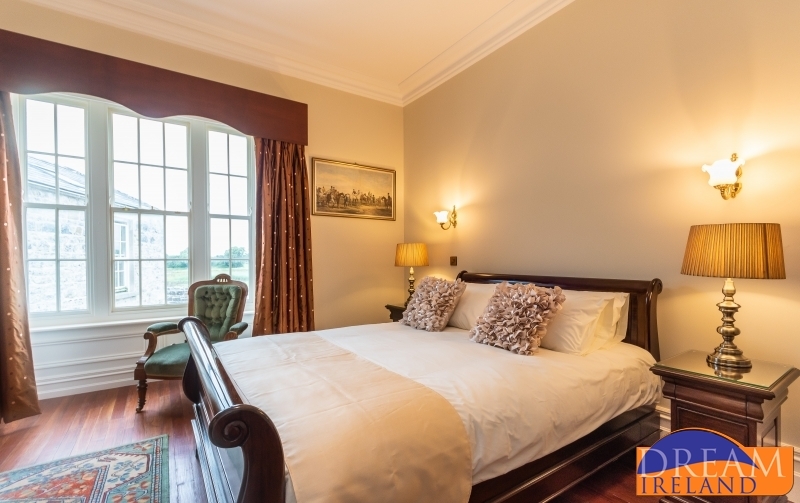 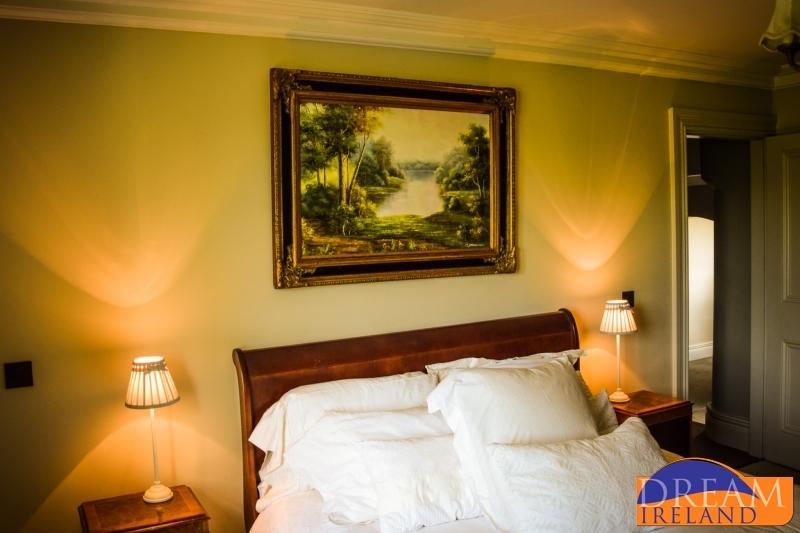 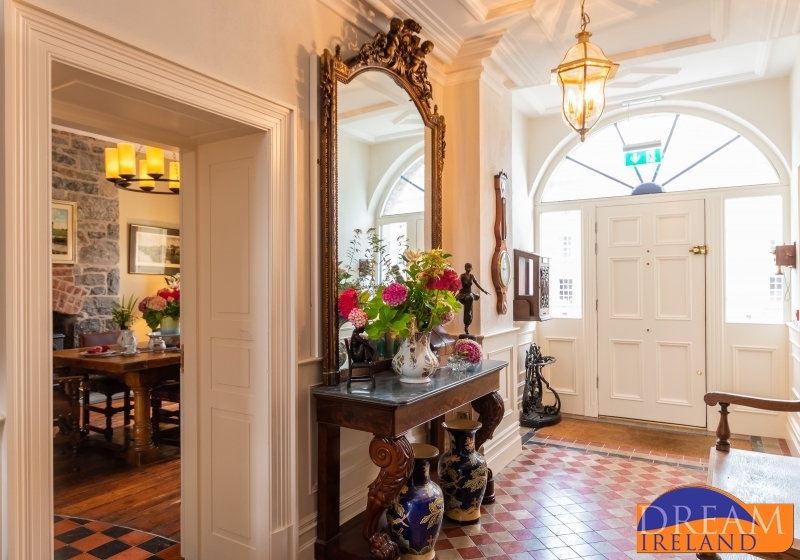 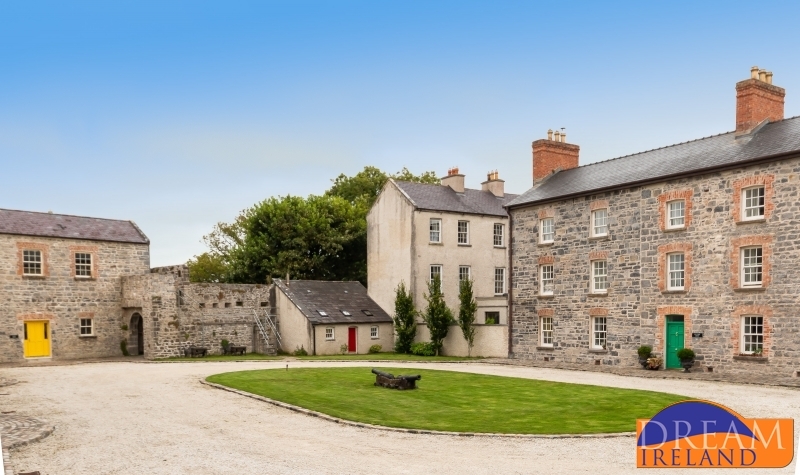 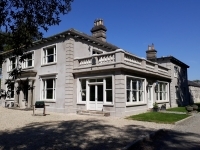 Thomond House is a lovingly restored home with a rich history dating right back to 1778. 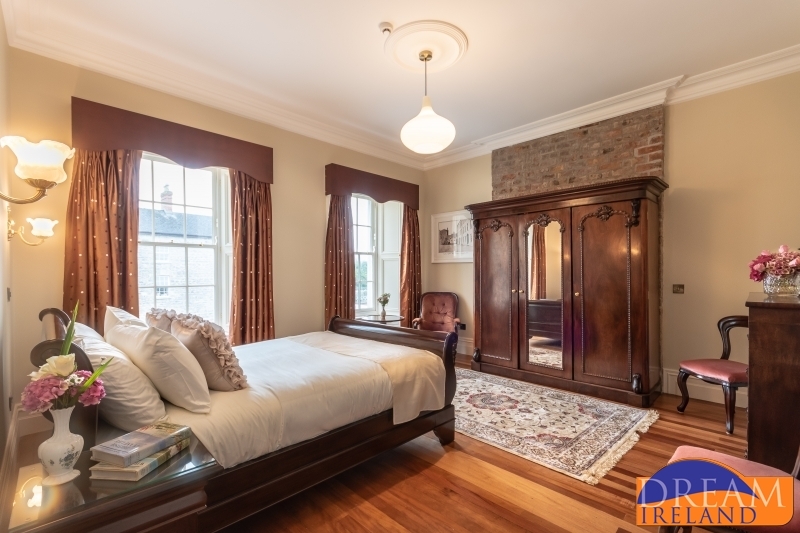 Originally a soldier’s barracks, this property has been brought back to life brick by brick by its dedicated owners, resulting in a large, luxury vacation home available now for rentals. 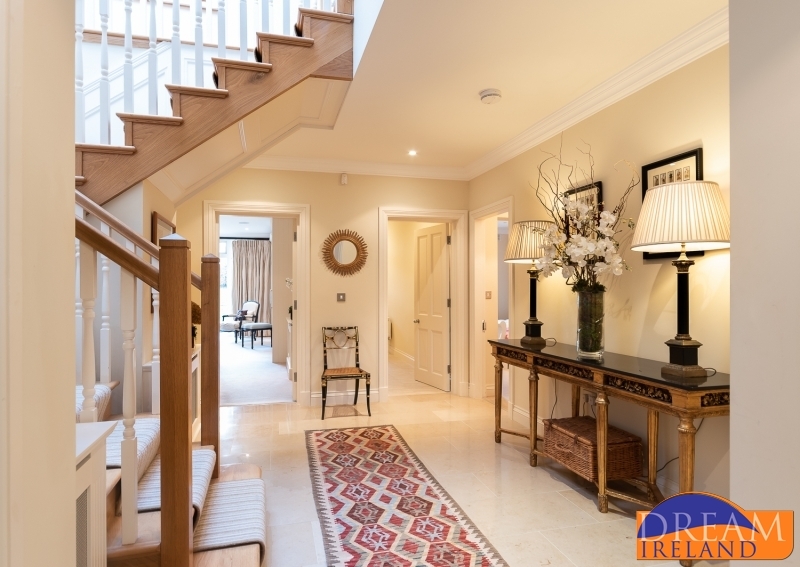 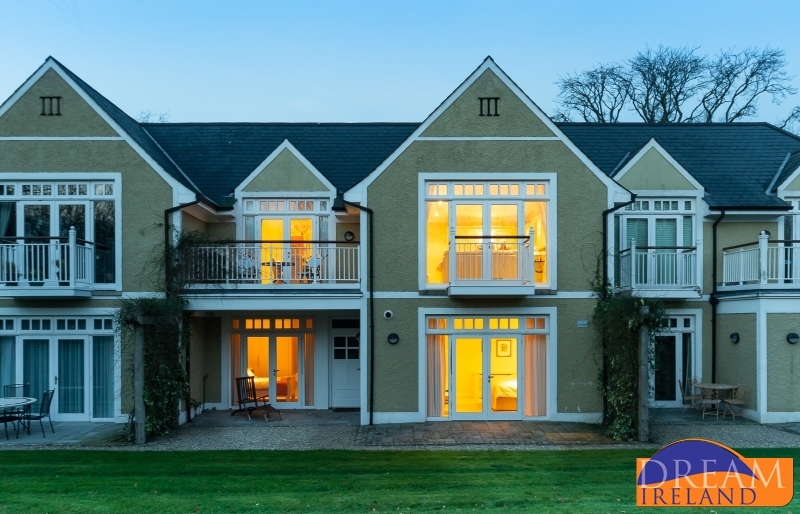 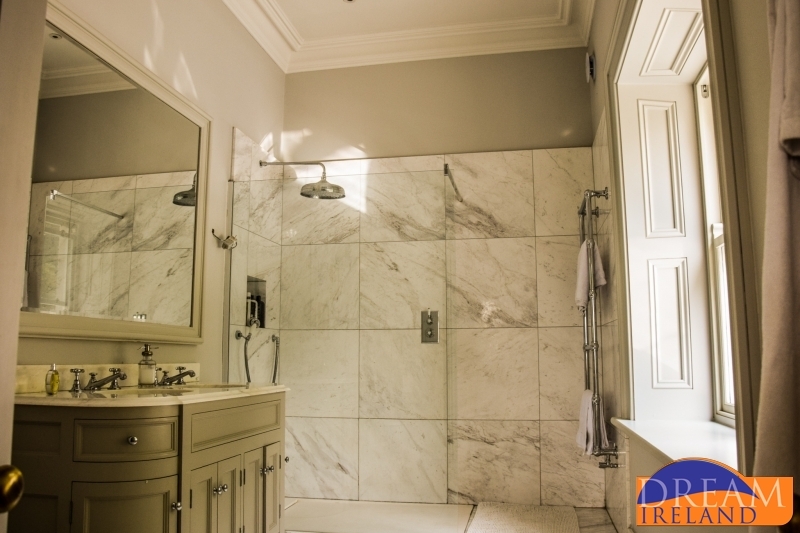 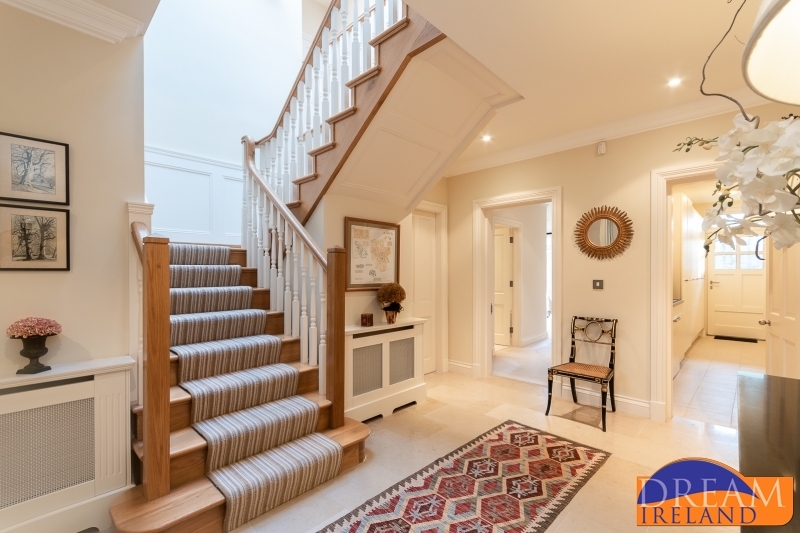 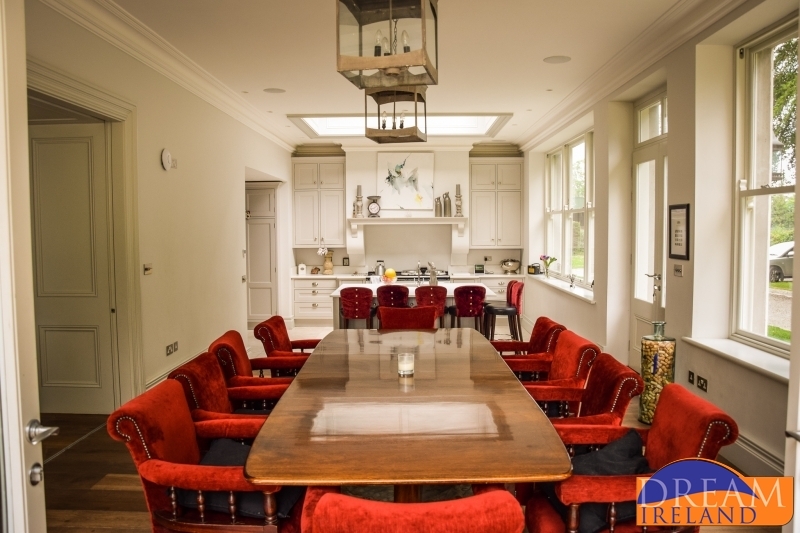 Set in the heart of the Adare Manor Estate in the beautiful village of Adare in Co Limerick, The Villa at the Manor is one of just ten privately owned luxury residences within the exclusive Demesne at Adare Manor. 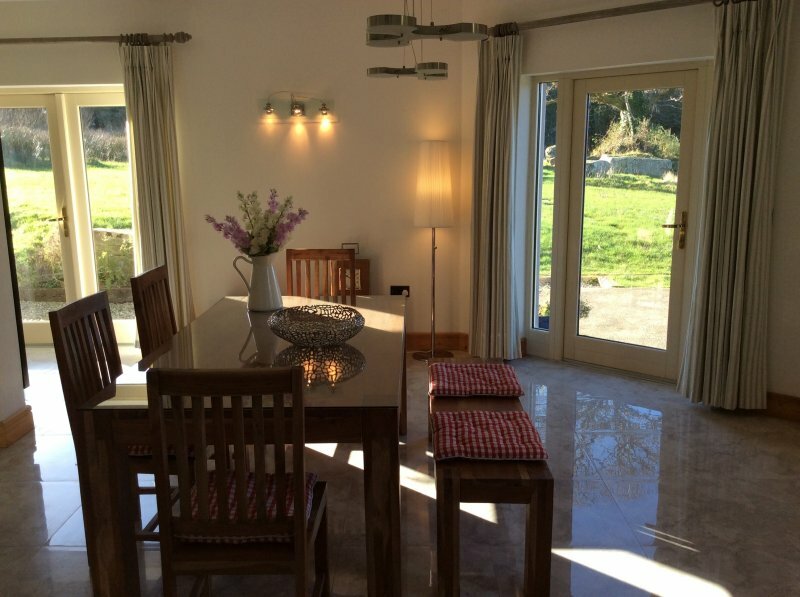 This is a very large detached Villa with a garden to the front and the rear. 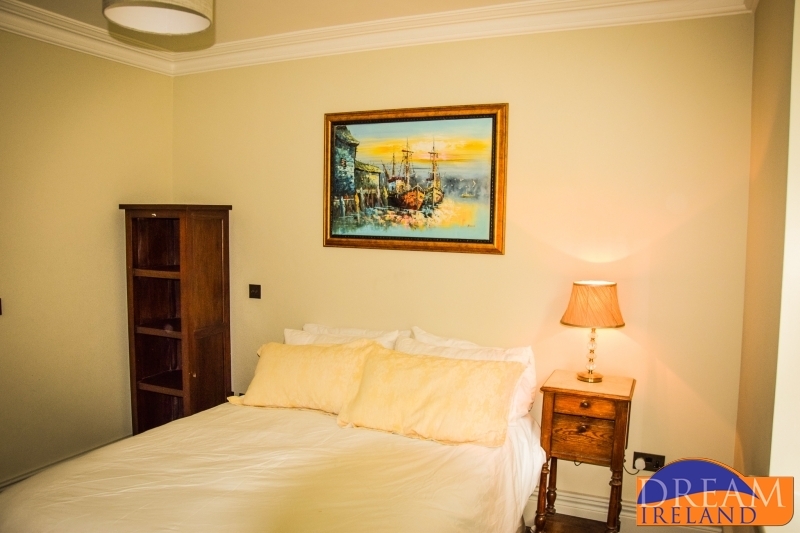 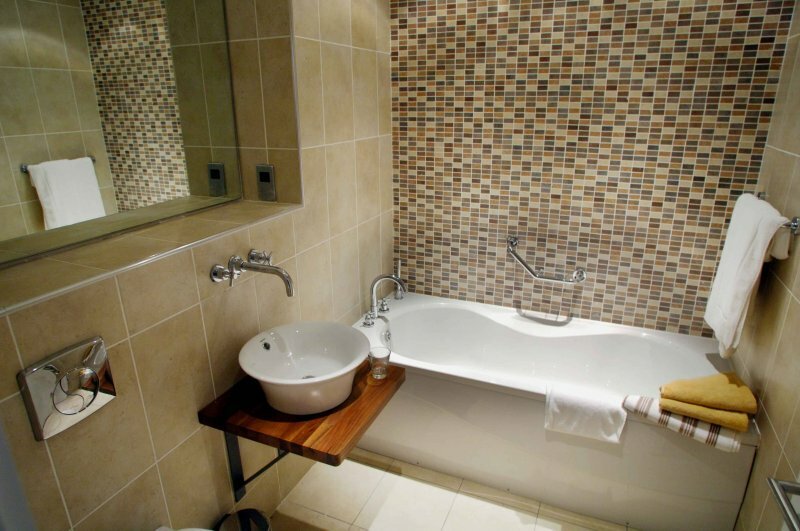 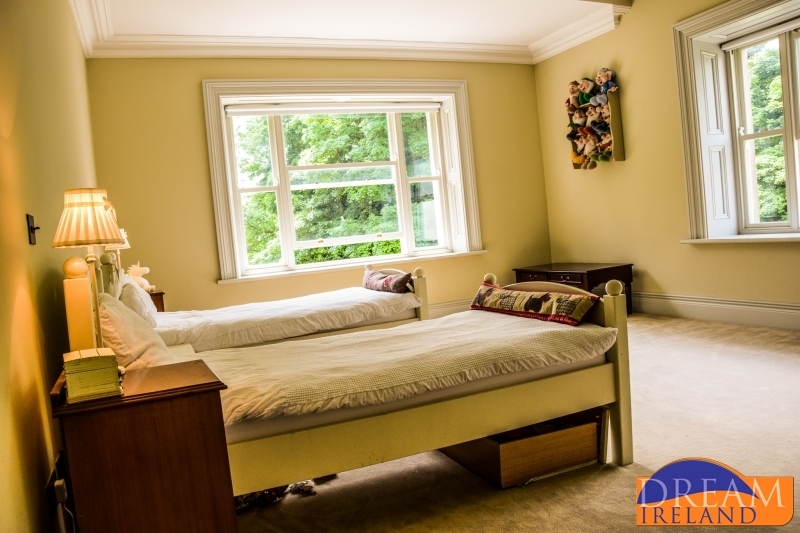 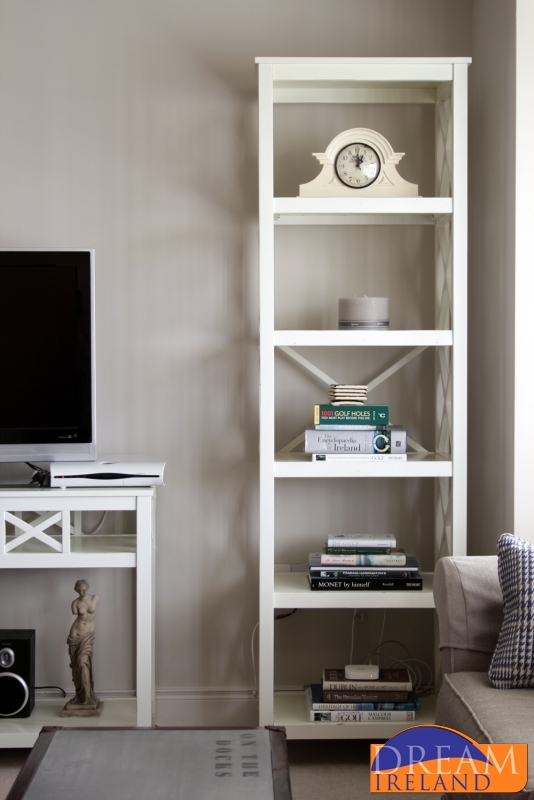 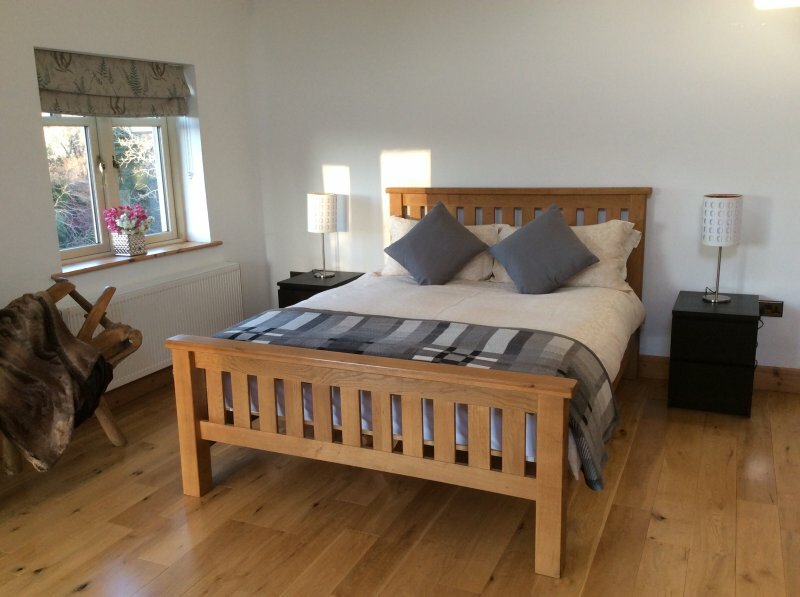 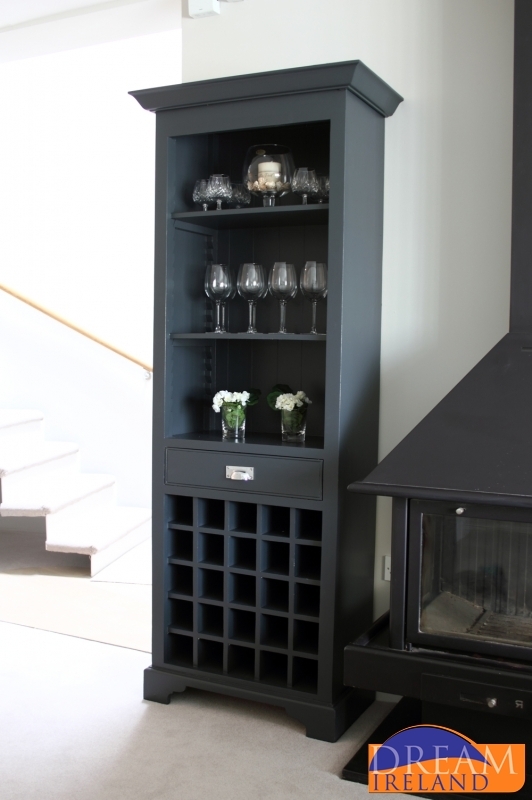 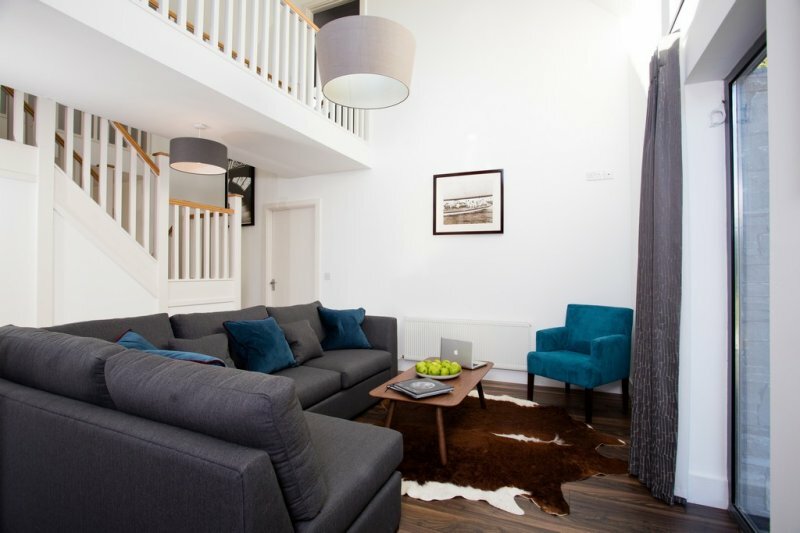 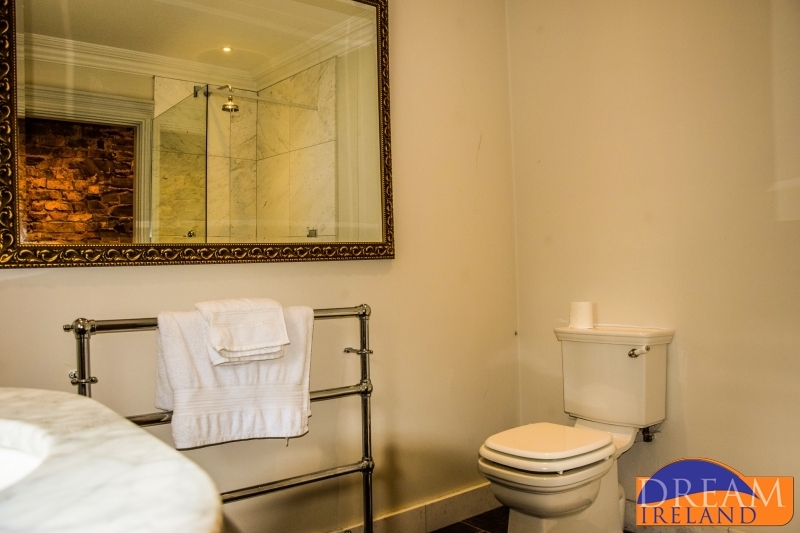 It has six bedrooms and can very comfortably accommodate up to 14 people. 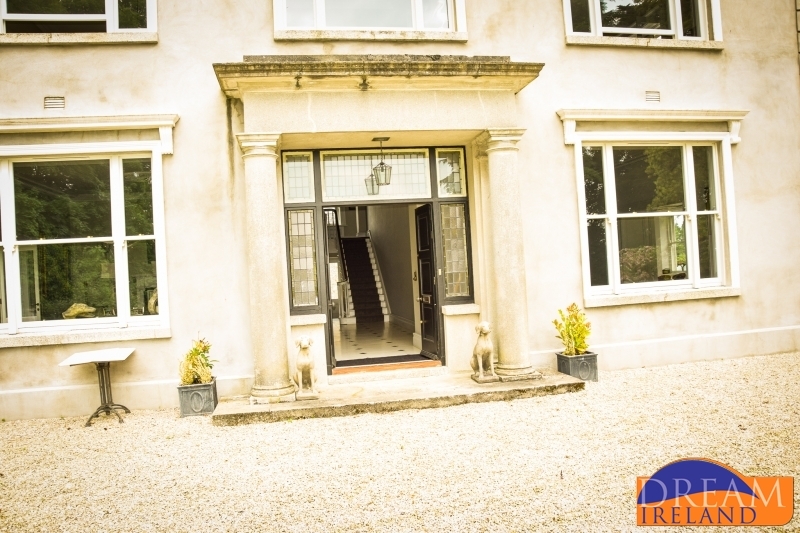 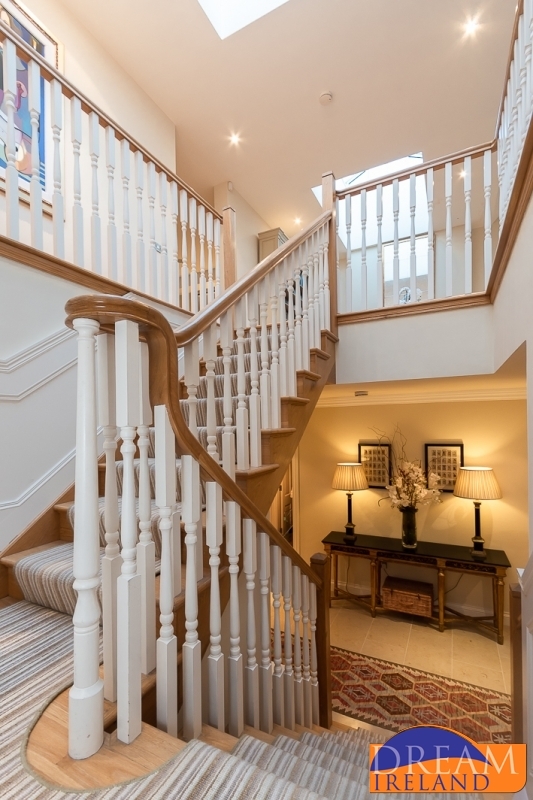 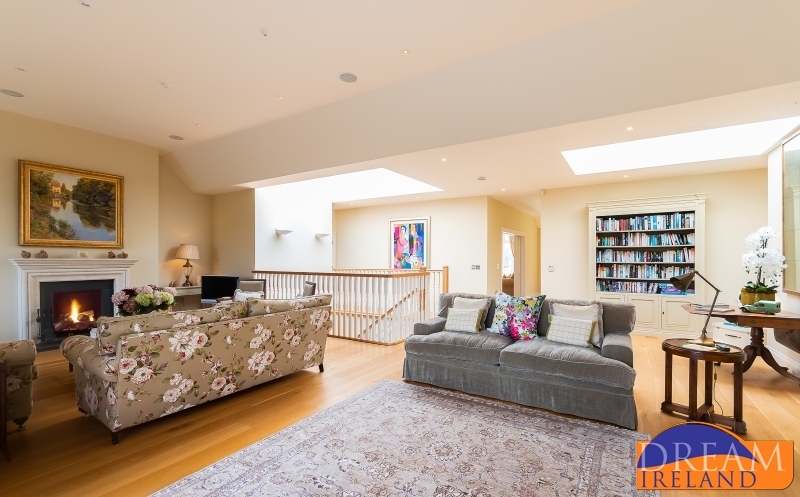 This home comes with its own private indoor pool and bar so you need never leave the gates should you wish not to!